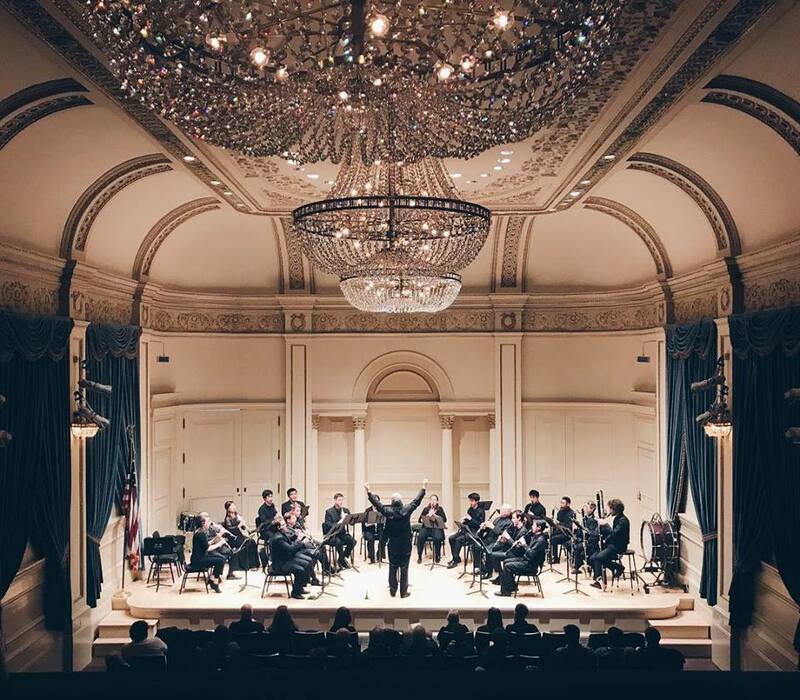 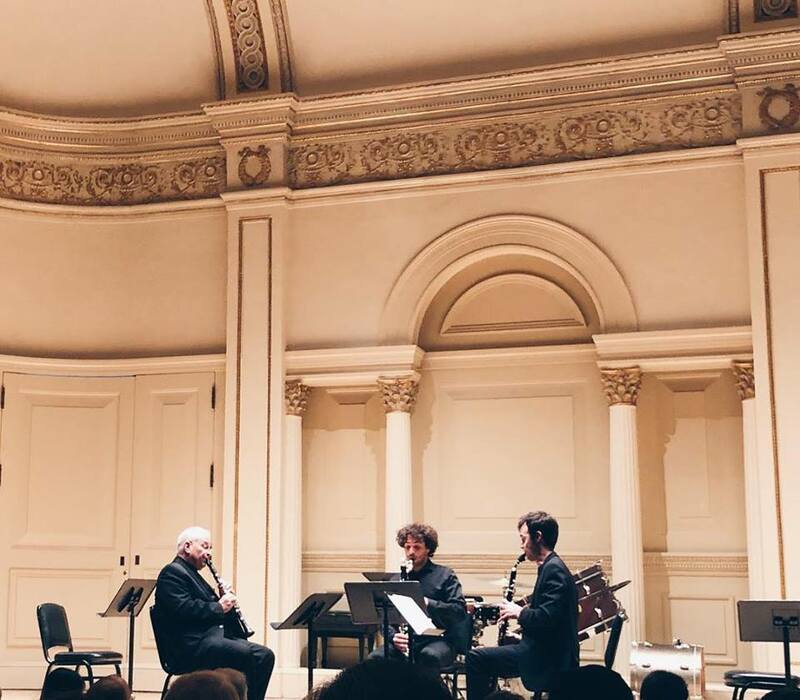 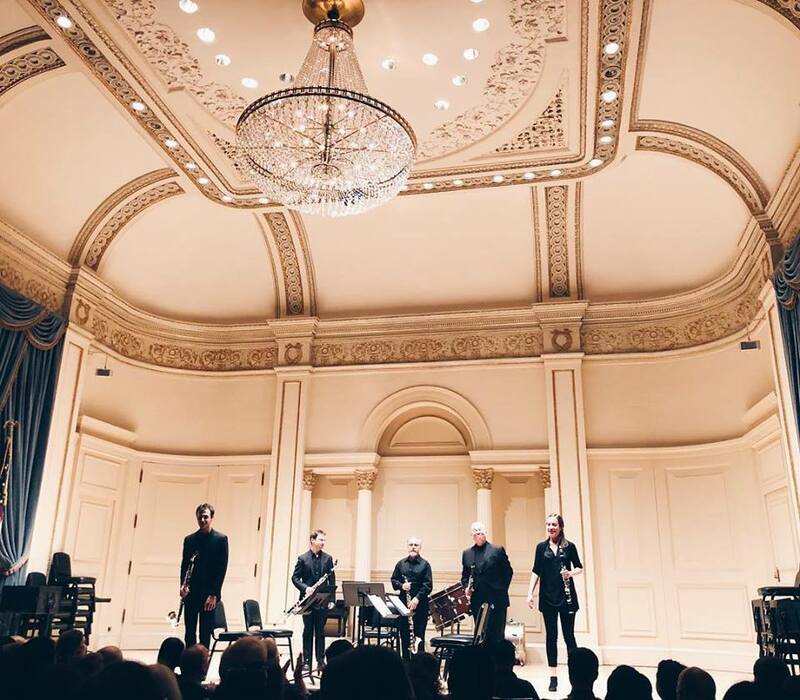 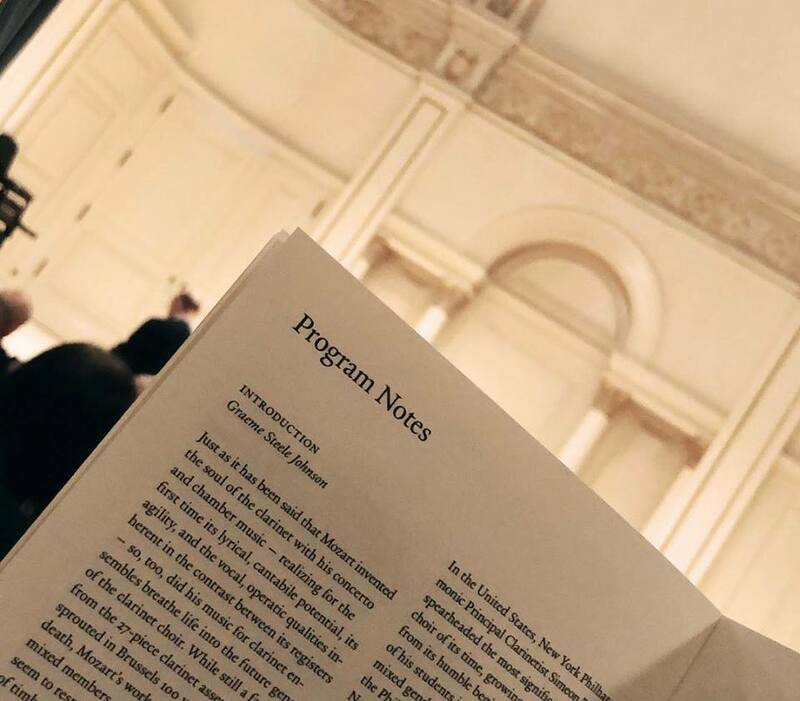 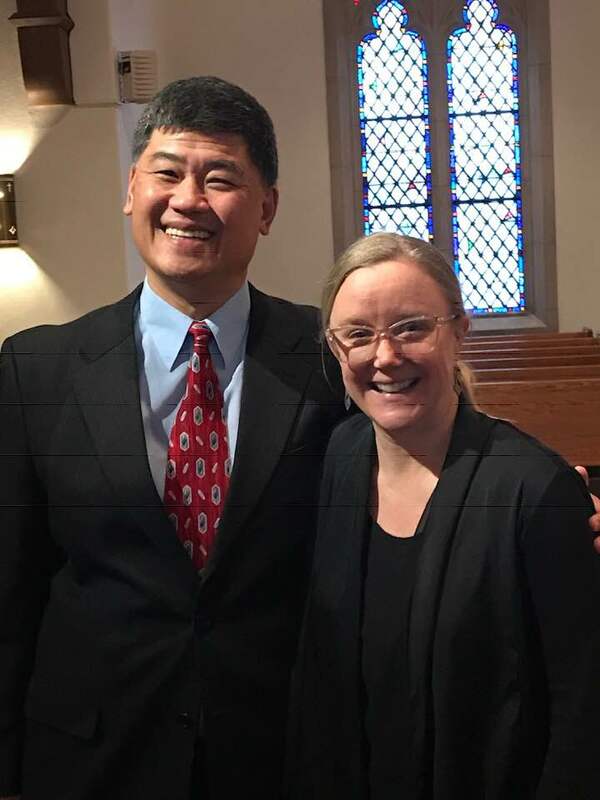 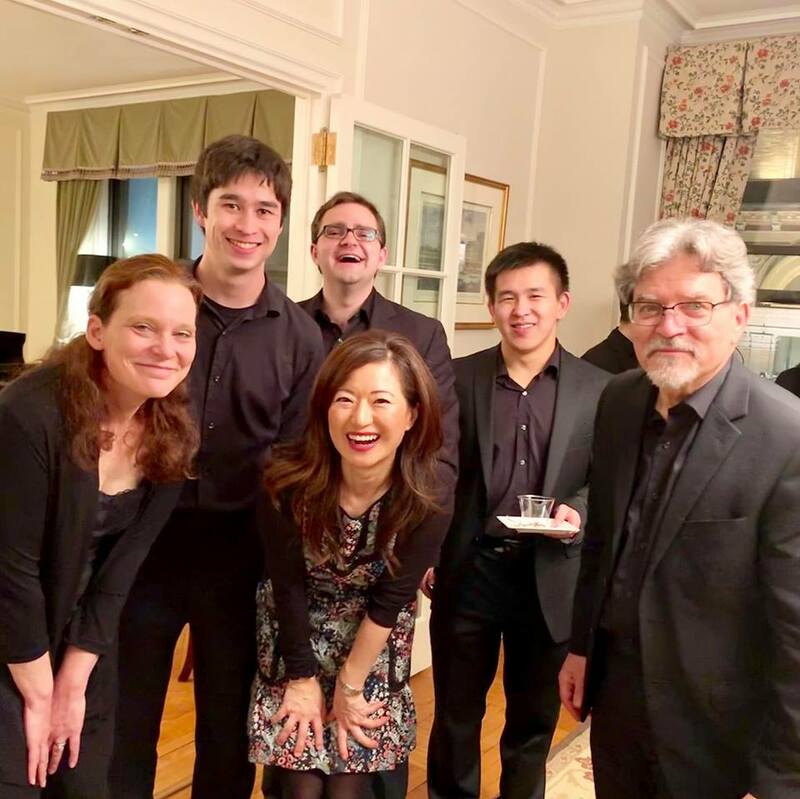 New York’s intimate and impeccable Wa Concert Series continued its standard of excellence, while opening ears and hearts with a beautiful program of historically informed performances helmed by the veteran violinist Cynthia Roberts. 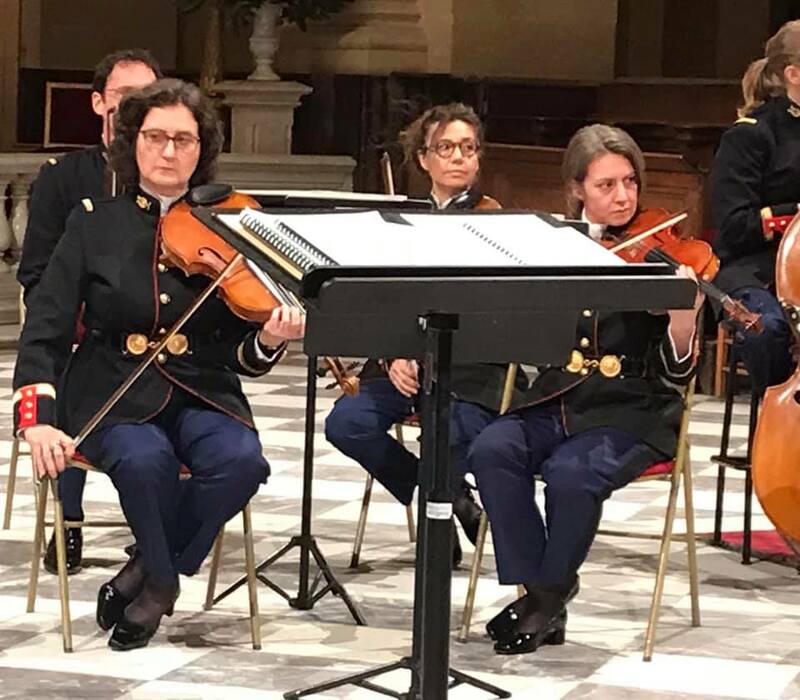 All the musicians speak the grammar of the Classical (or Baroque) period perfectly, yet they never sound like they are giving you a dry lesson on the music. 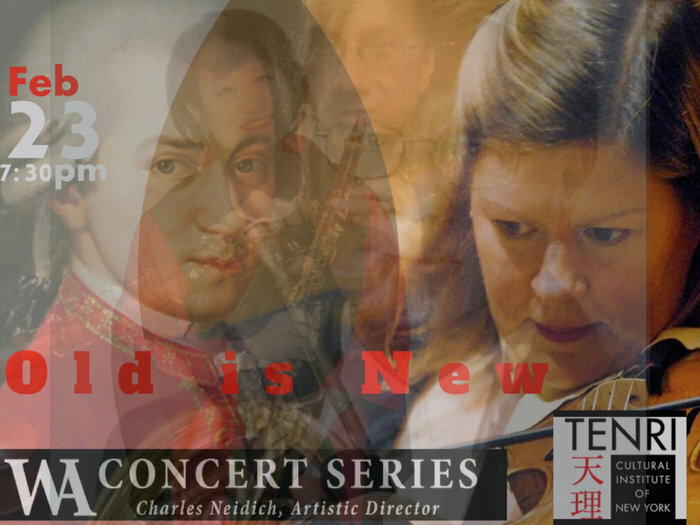 Each piece is lived anew, hence the “new.” Phrasing, articulation, transparency of sonority, sensitivity to harmonic change and chord weight, and flexibility: all were delectable. 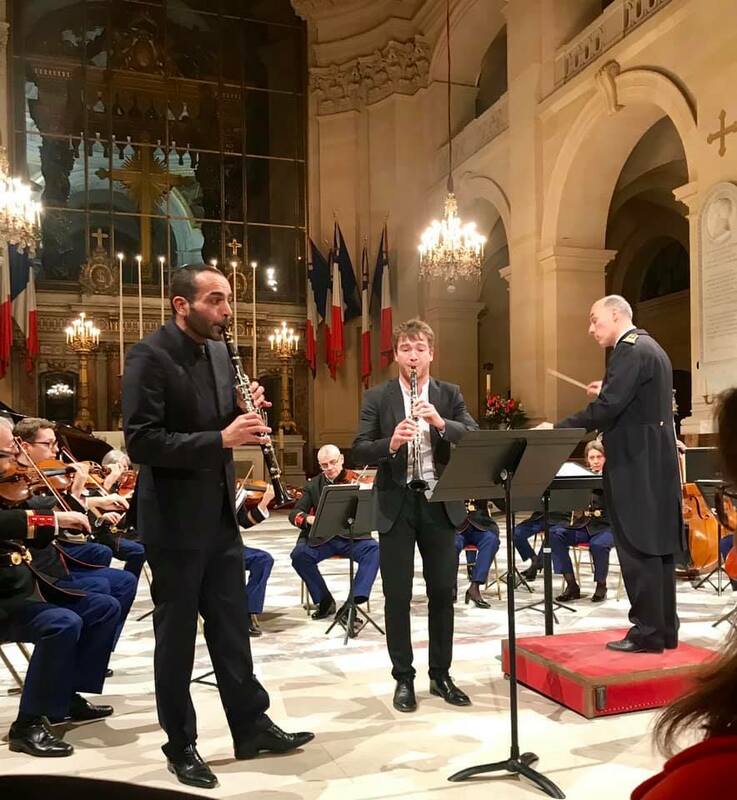 The evening opened with the Overture in D Major for two clarinets and French horn, HWV 424, one of the earliest uses of the clarinet, by G.F. Handel, no less. 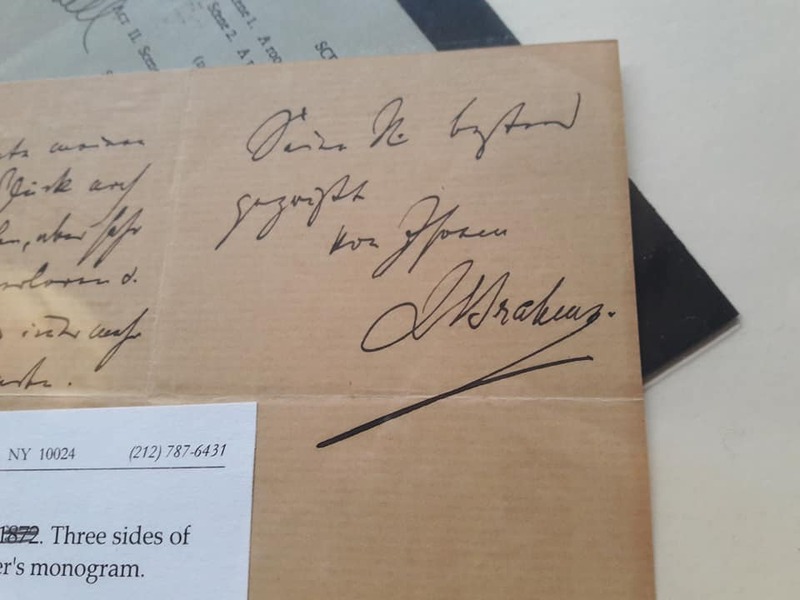 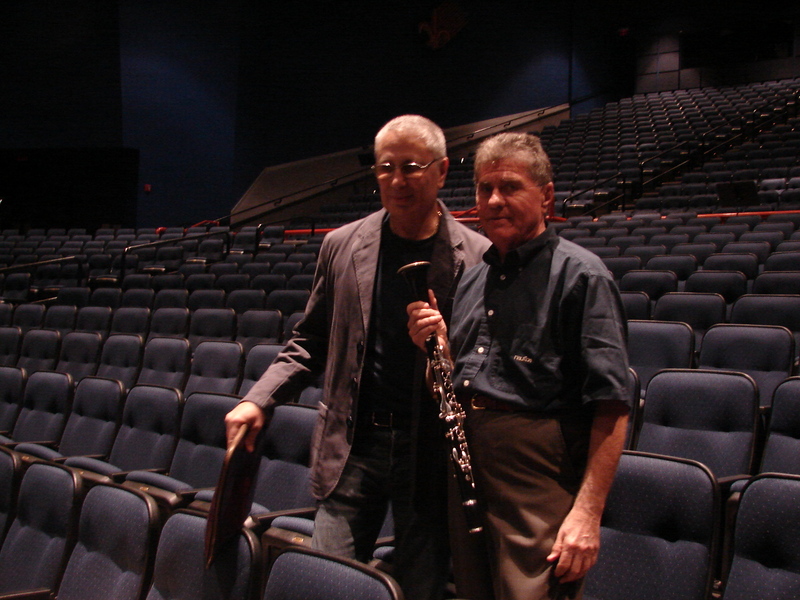 Apparently he knew an itinerant clarinetist in England, one Mr. Charles. 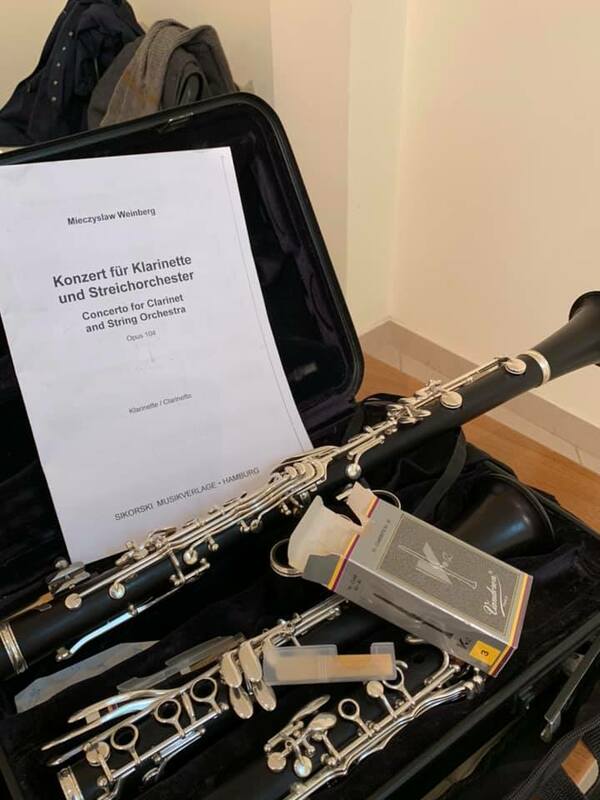 This should give lie to those who maintain that Mozart’s re-orchestration of Messiah, with added clarinets, is a blasphemy. 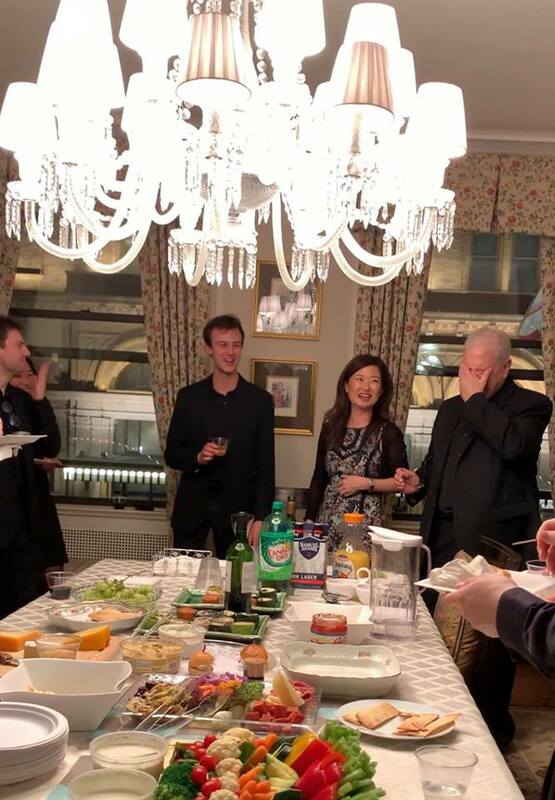 In this generally open-spirited Overture (not the prelude to something else, nor the double-dotted grandeur of the French overture), the sequence of movements was pleasant, with beautifully traded-off lines among the three players: Charles Neidich, his talented wife (and every concert’s dinner chef) Ayako Oshima, and natural-horn player William Purvis. 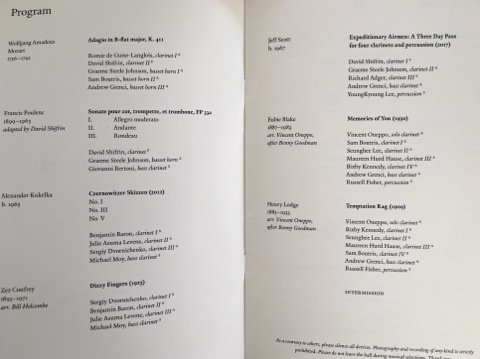 The softness of the sonorities made this occasional music convincing, and Mr. Purvis formed every single note with his lips and/or his hand in the bell of the horn, a frightening proposition (just try it). 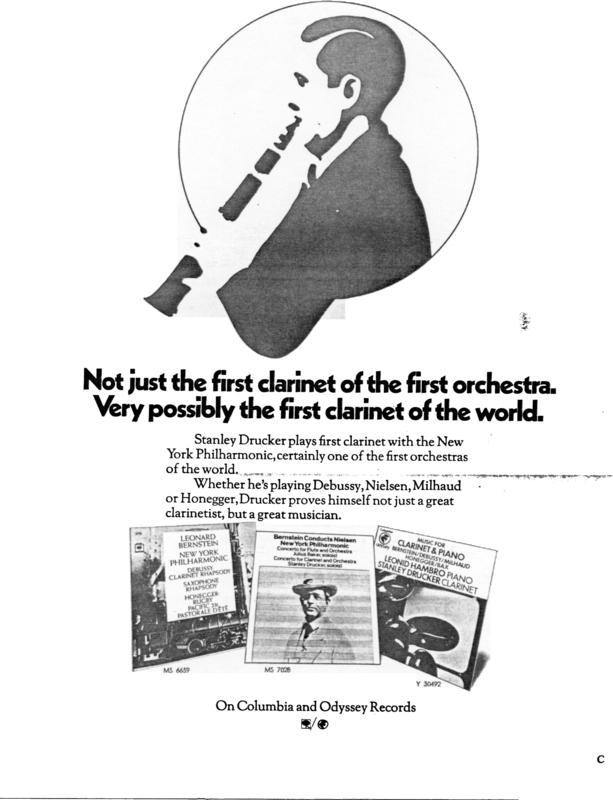 One could imagine open fields and non-threatening military type calls. 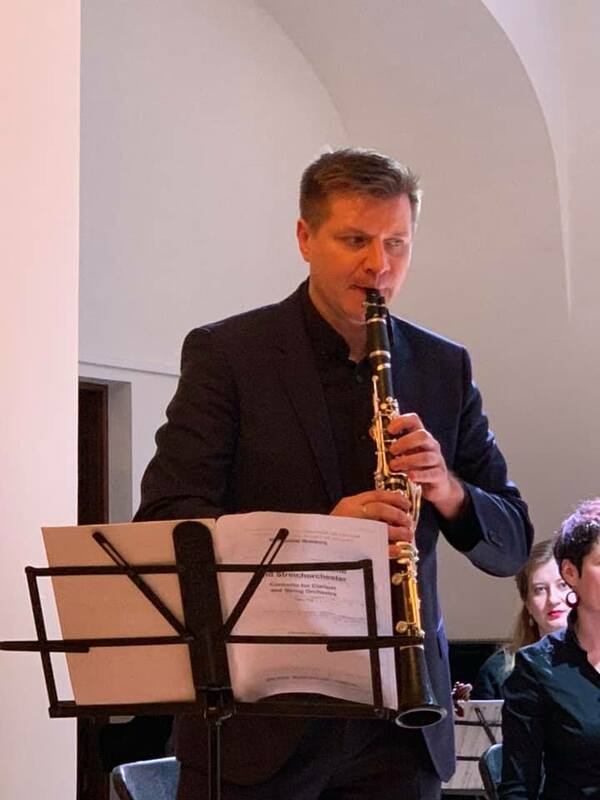 Then came a curiosity, a quartet for clarinet and string trio by the Finnish-born clarinet virtuoso, Bernhard Crusell (1775-1838), an early proponent of Mozart’s music in Scandinavia. 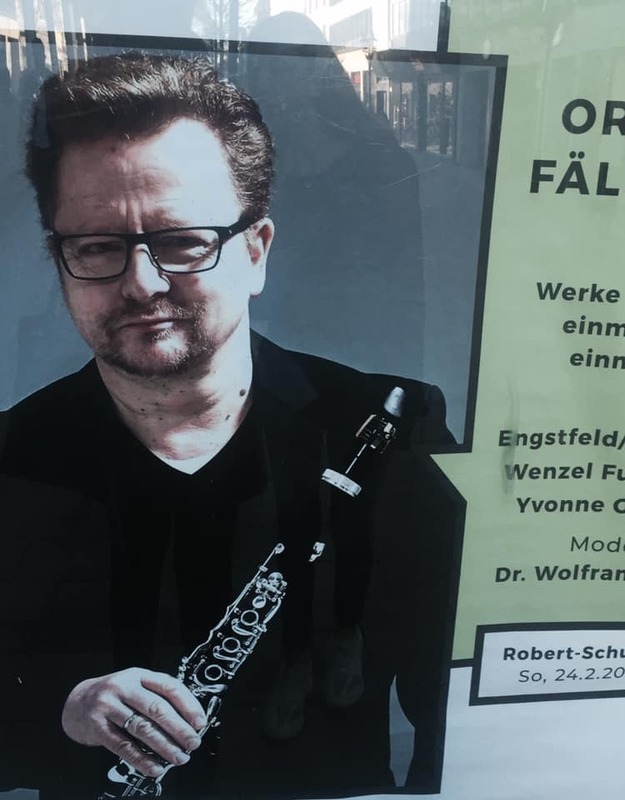 Unless you were at this concert, or are a clarinet student or fanatic, you have probably never heard a note of Crusell, which is a shame, for his work abounds in proportional elegance, abundant opportunity for display, and once in a while some startling or mysterious chromaticism, and at times it sounds a “bit” Mozartean. 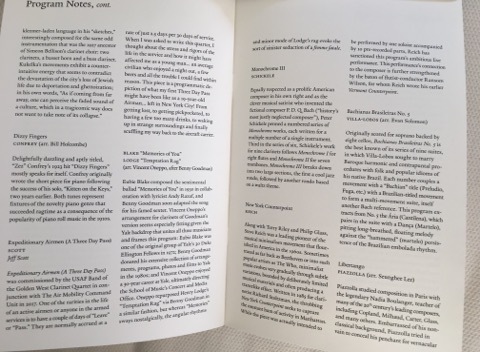 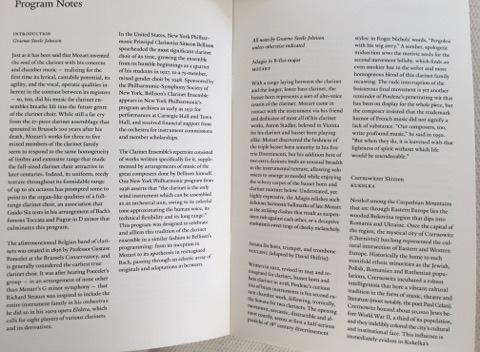 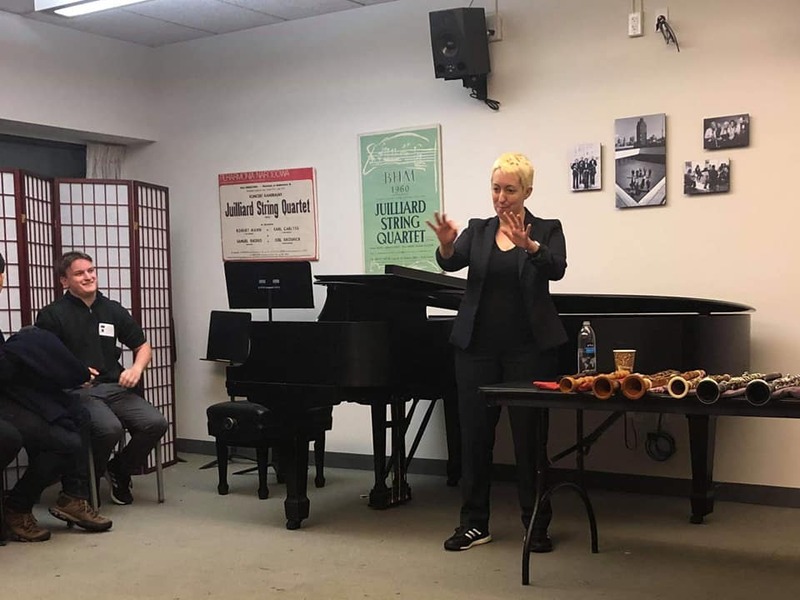 The four movement work was given agile life, especially in the alert communication skills of the three strings: Cynthia Roberts, Edson Scheid, and Madeleine Bouissou. 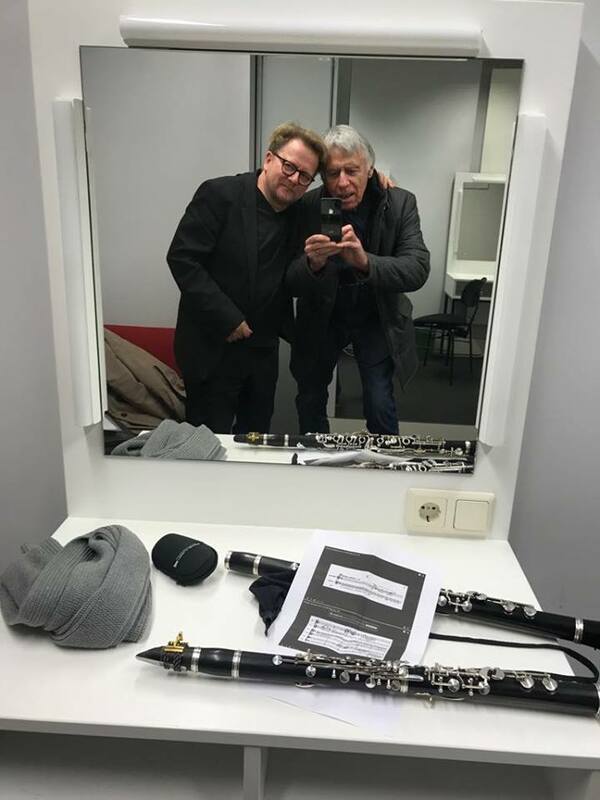 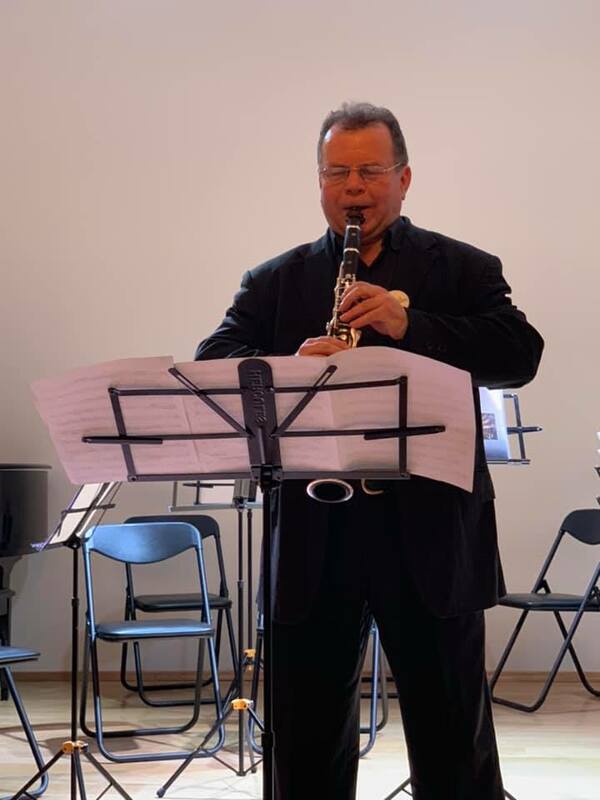 As for Maestro Neidich, I run out of superlatives: he extracts every bit of shifting color from his instrument, always truly singing, even during the most fiendishly show-offy passagework. 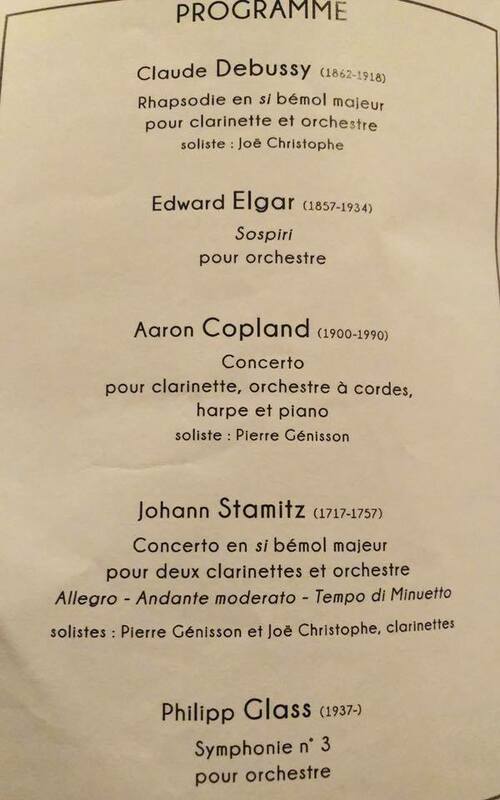 After intermission came the sublime Mozart Clarinet Quintet, K. 581, a late work whose profundity always astonishes. 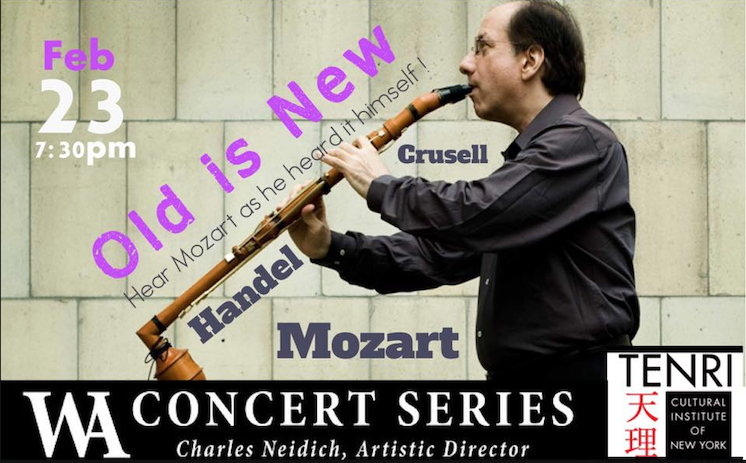 Mr. Neidich here played the (strange-looking) clarinet that was intended, and used by Stadler, Mozart’s close friend and inveterate money-“borrower.” This large clarinet has a bell that faces inward, at a right angle to the body, and its range is enormous, especially in the deep low register: the octave transpositions that modern clarinet players deface the score with are unnecessary with it. 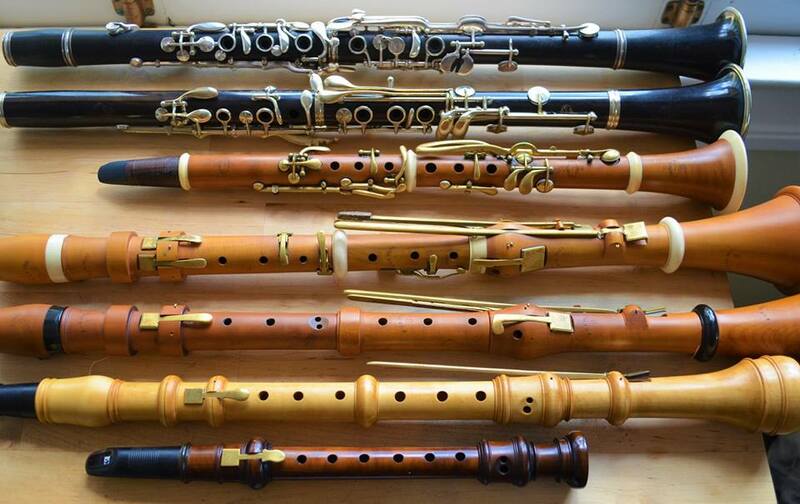 One realizes how perilous these instruments can be, there was a false start just at the very beginning, but it didn’t phase anyone. 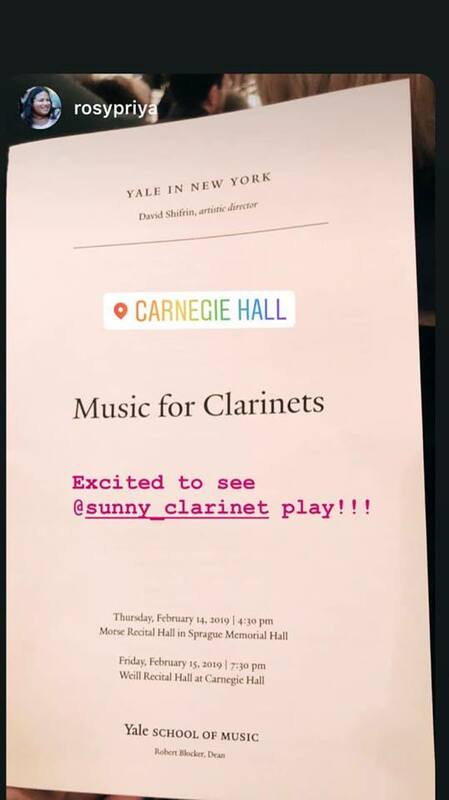 With the addition to the previous string trio of Chloe Fedor on second violin, the quartet of strings was perfectly in sync, and the balances were utterly refreshing: one was allowed to hear the collegiality of the work, rather than a “diva” statement from either clarinet or first violin, especially with the pleasure these players took in producing the magical aura this piece creates, a radiant smile from Mr. Scheid across the ensemble to Ms. Roberts, for example. 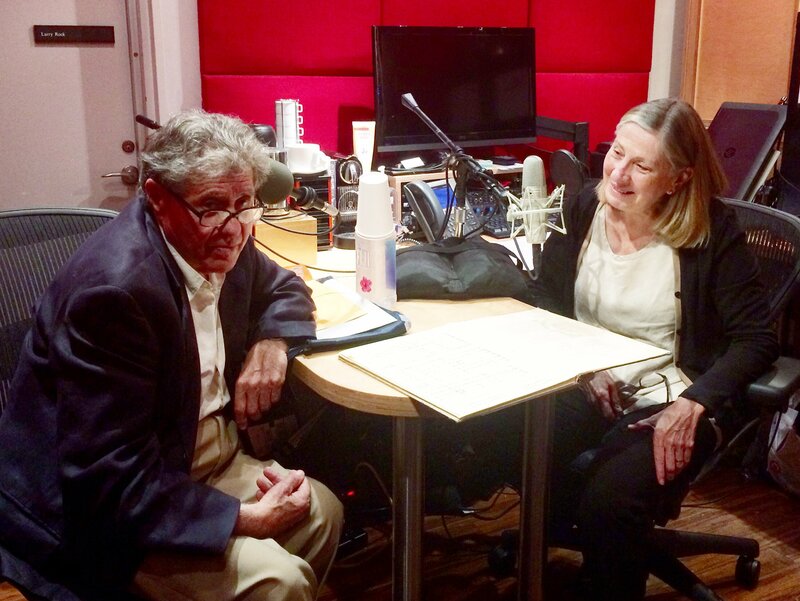 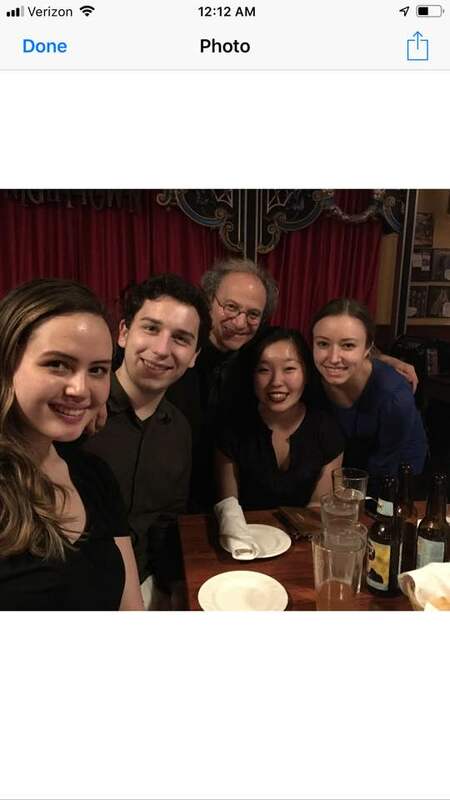 Cellist Madeleine Bouissou’s total involvement with the inner life of the lowest voice was a consistent pleasure. 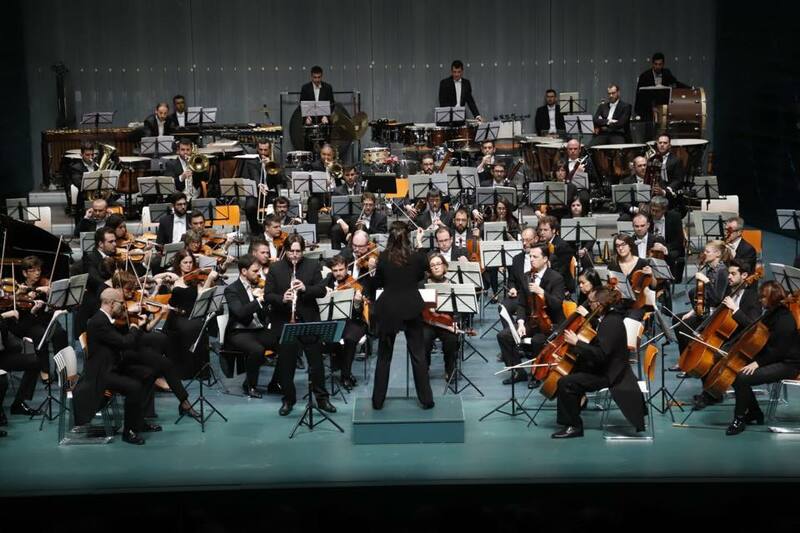 The work is in A major, but it is the shifts to minor mode that stab the listener in the heart. 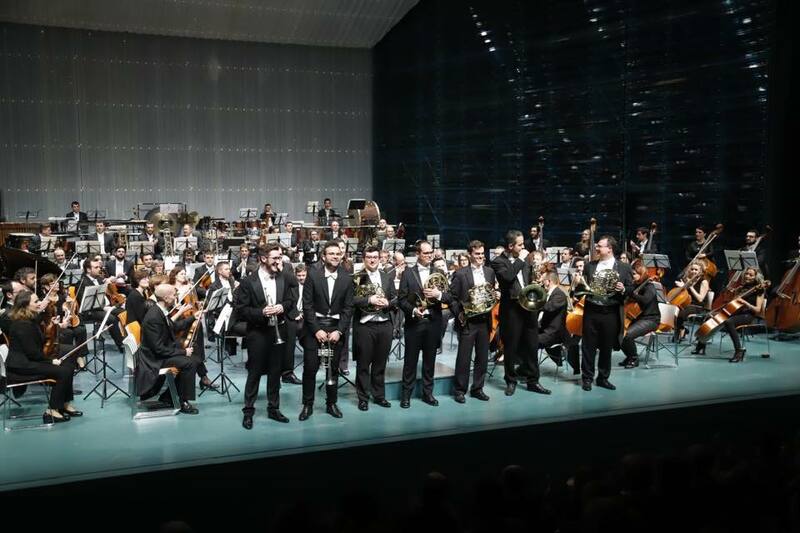 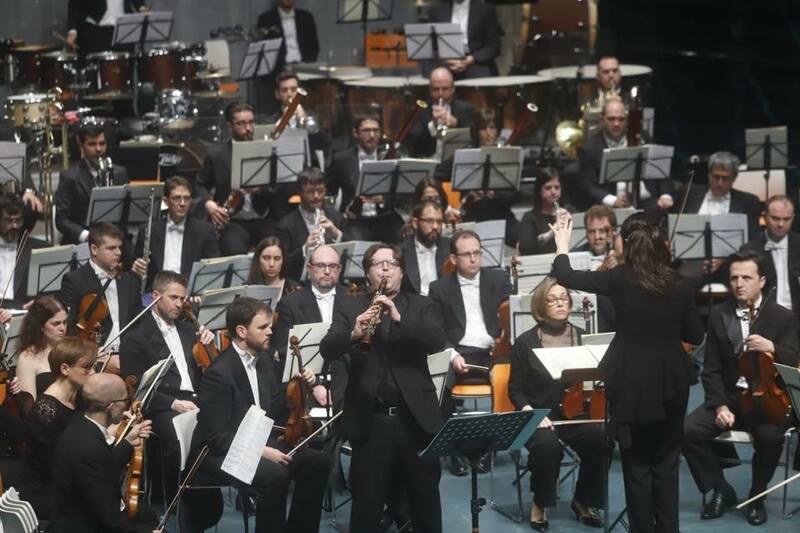 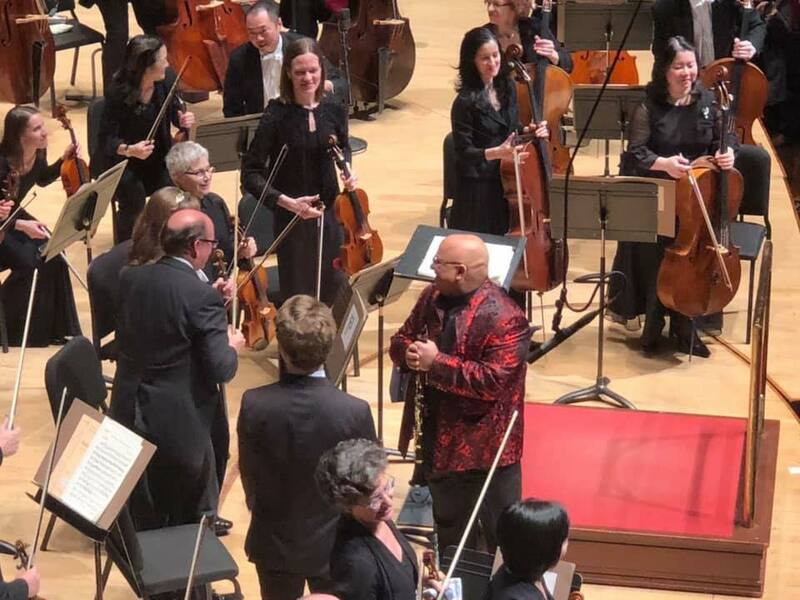 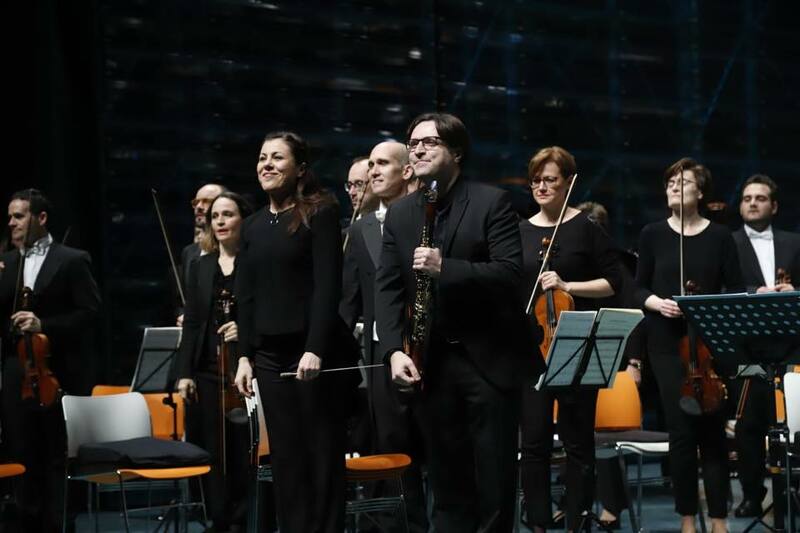 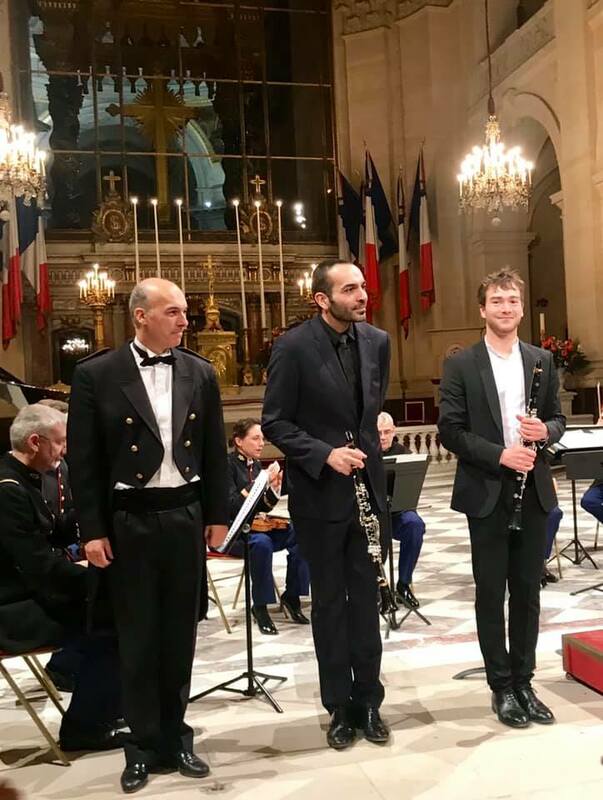 The players offered a true encore: a repeat of the Larghetto (second movement) of the Mozart, which was even more ravishing and intimate the second time. 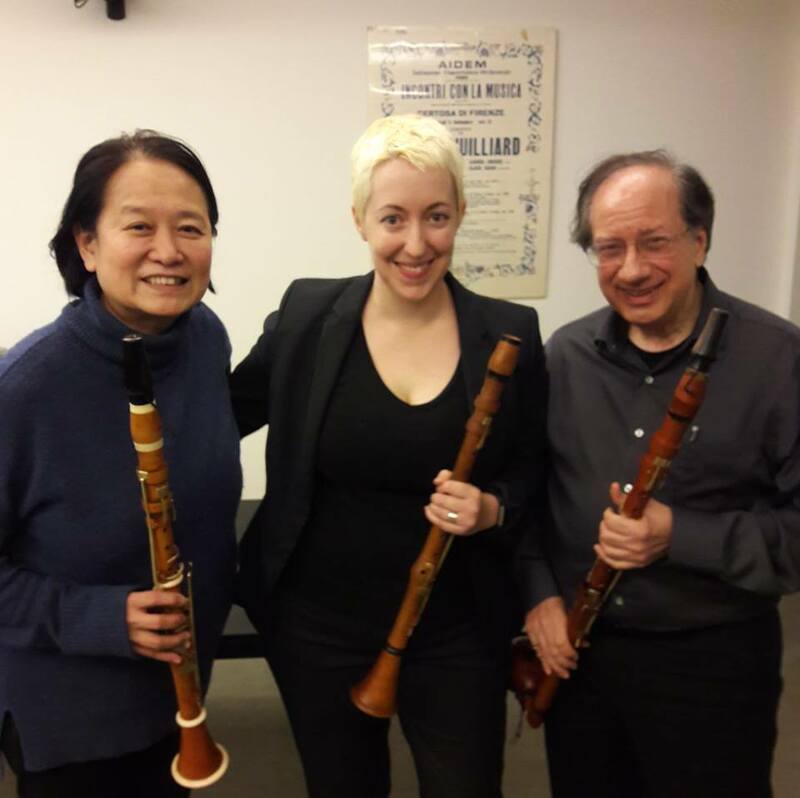 With Charles Neidich and Ayako Oshima after my historical clarinet masterclass at Juilliard! 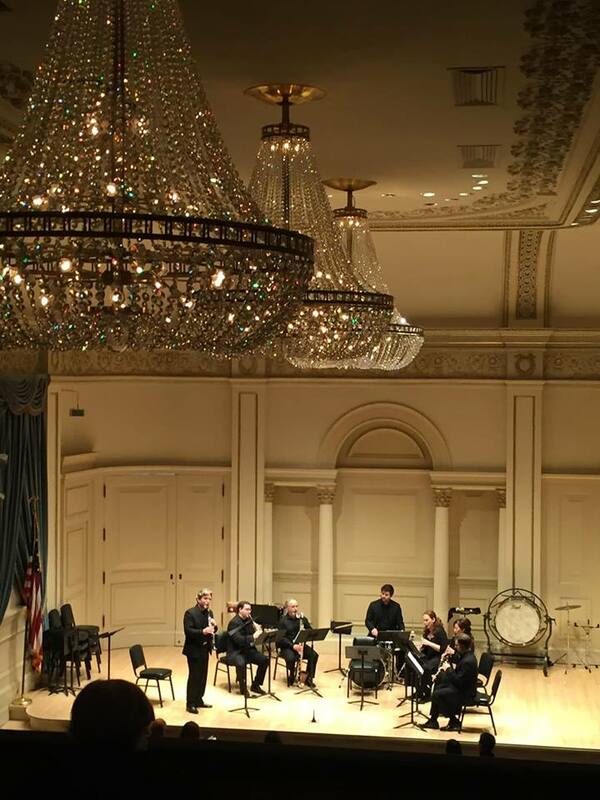 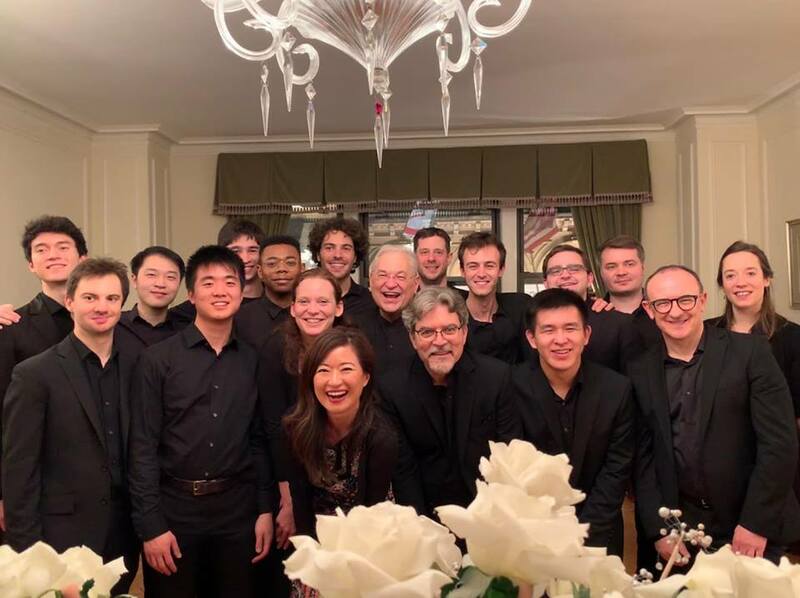 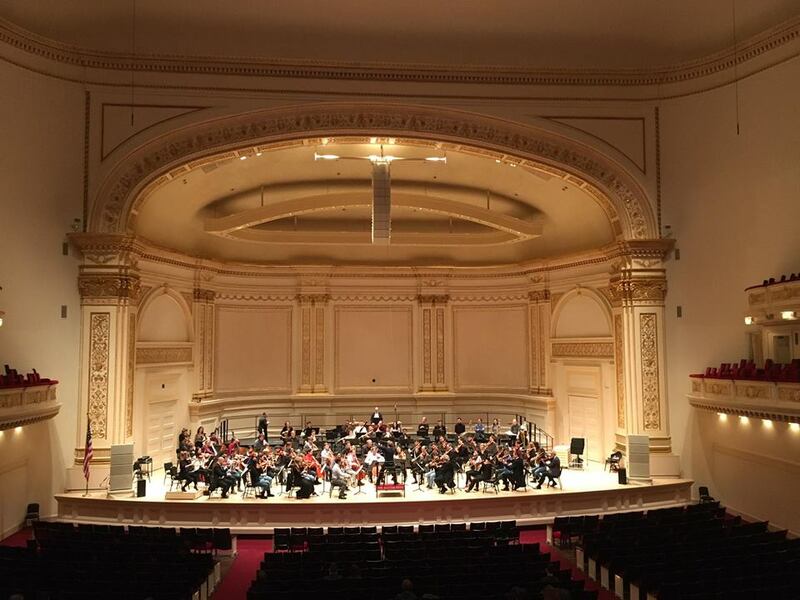 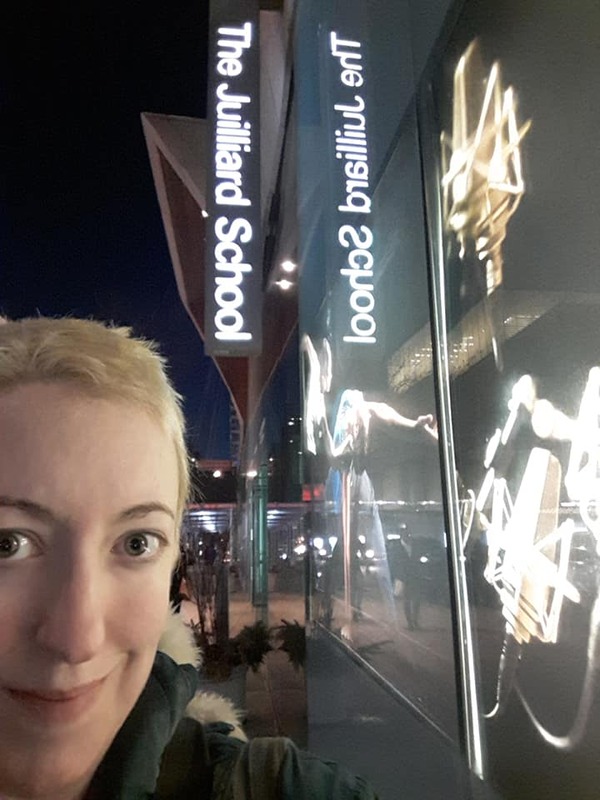 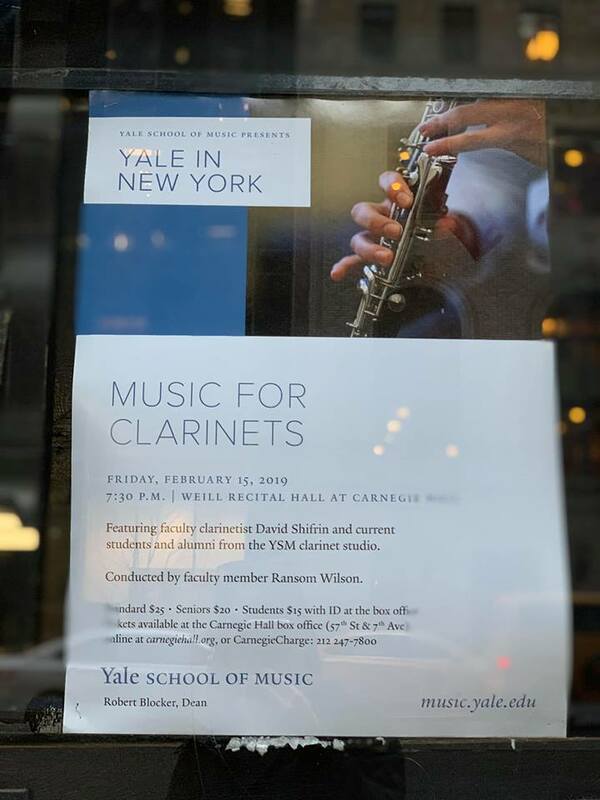 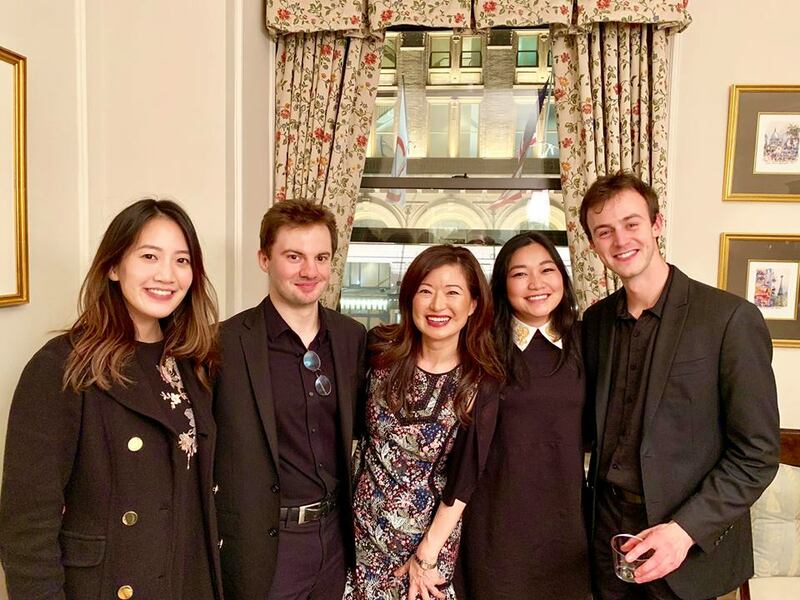 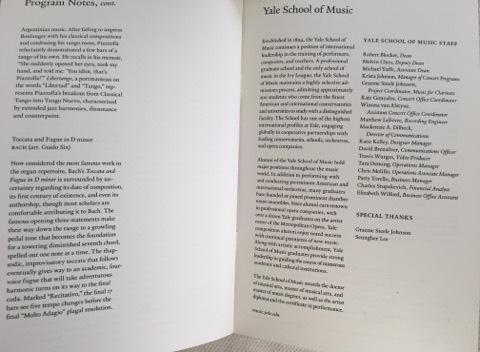 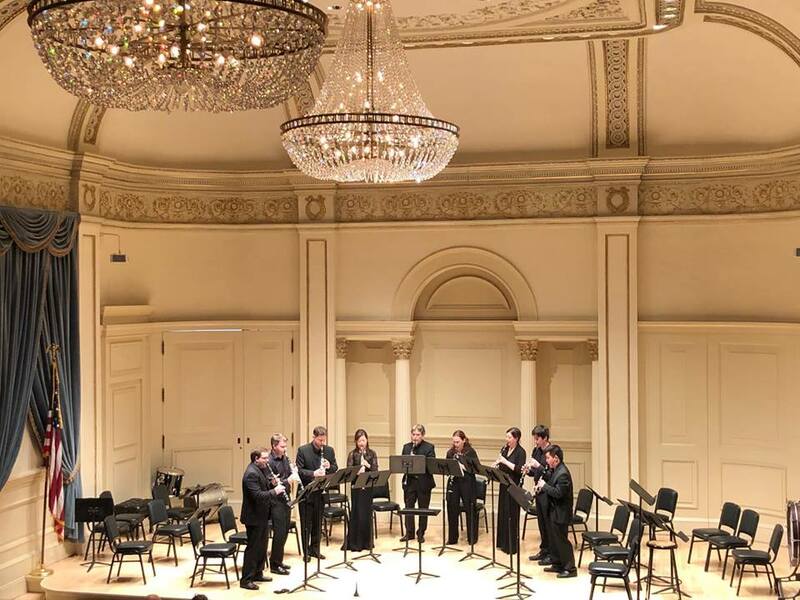 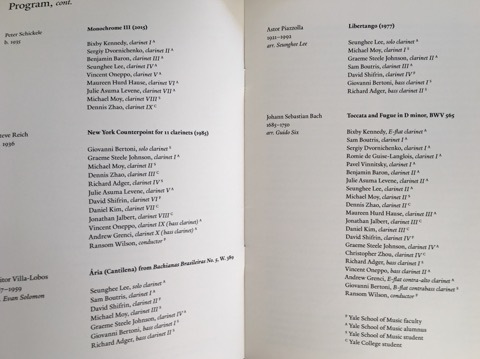 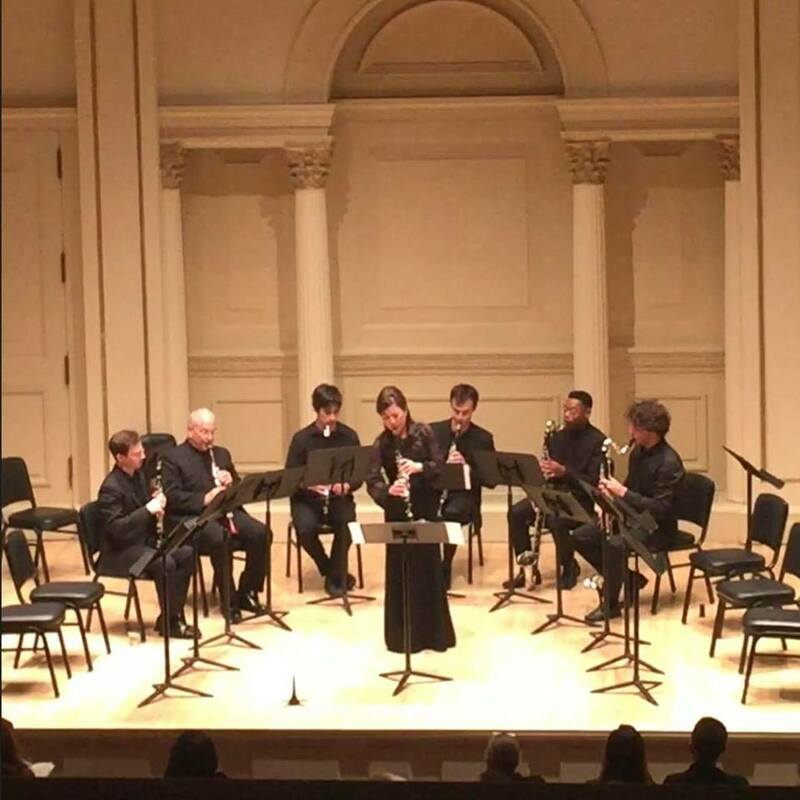 I spent over 3 hours working with their students including those who also came over from Mannes and the Manhattan School of Music, and were all so enthusiastic about historical performance. 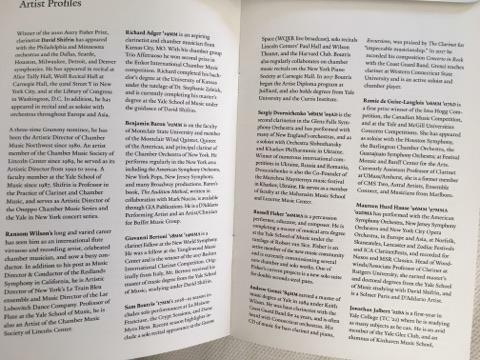 Big thank you to the Neidichs for inviting me! 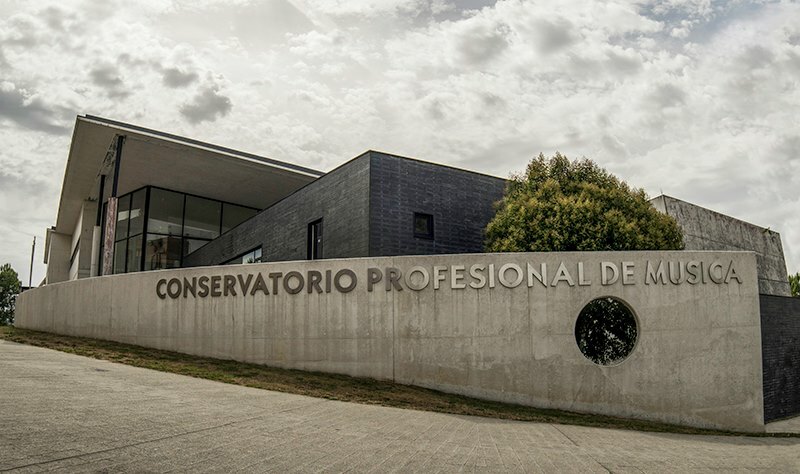 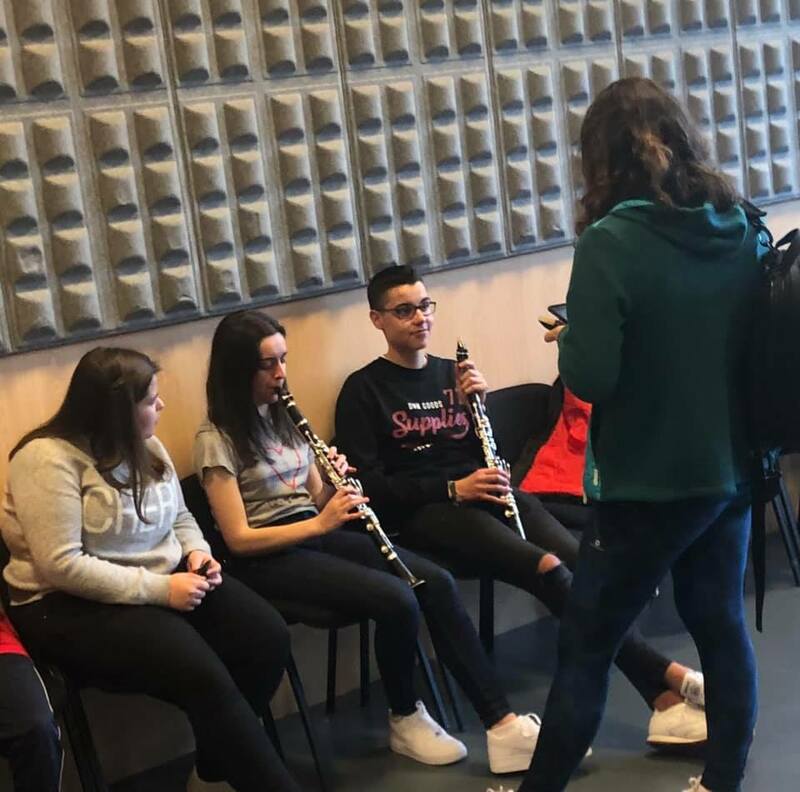 At the Conservatorio Profesional de Música de Santiago de Compostela. 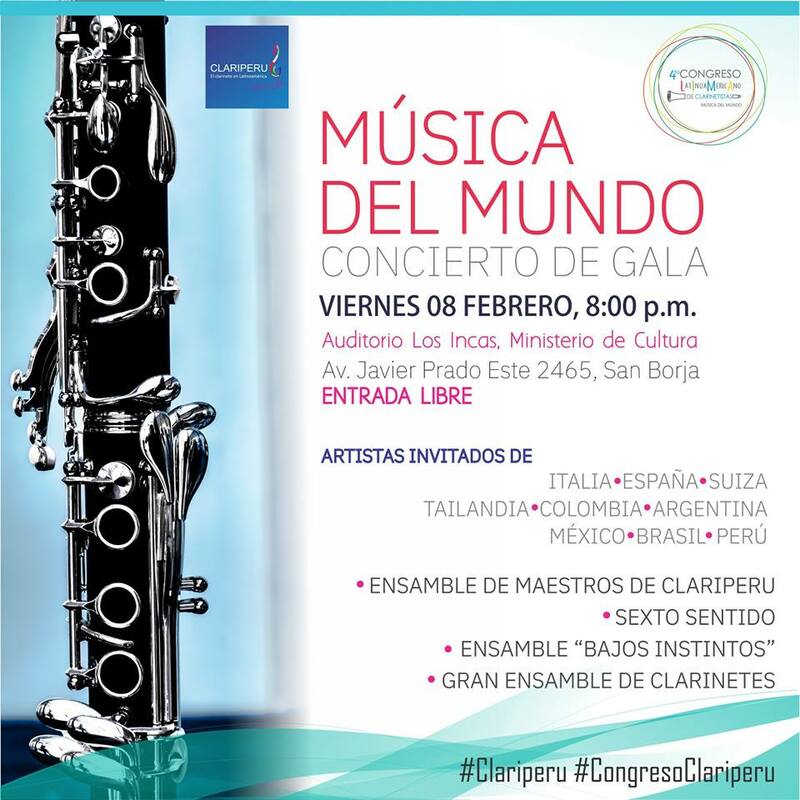 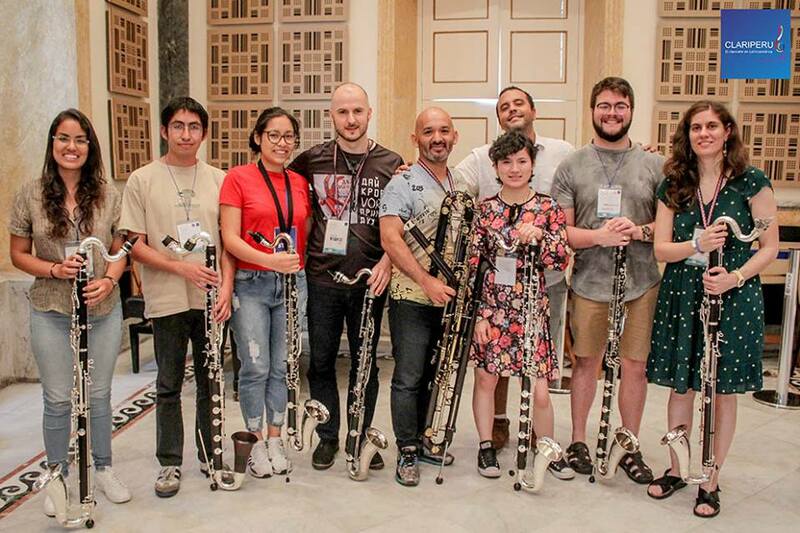 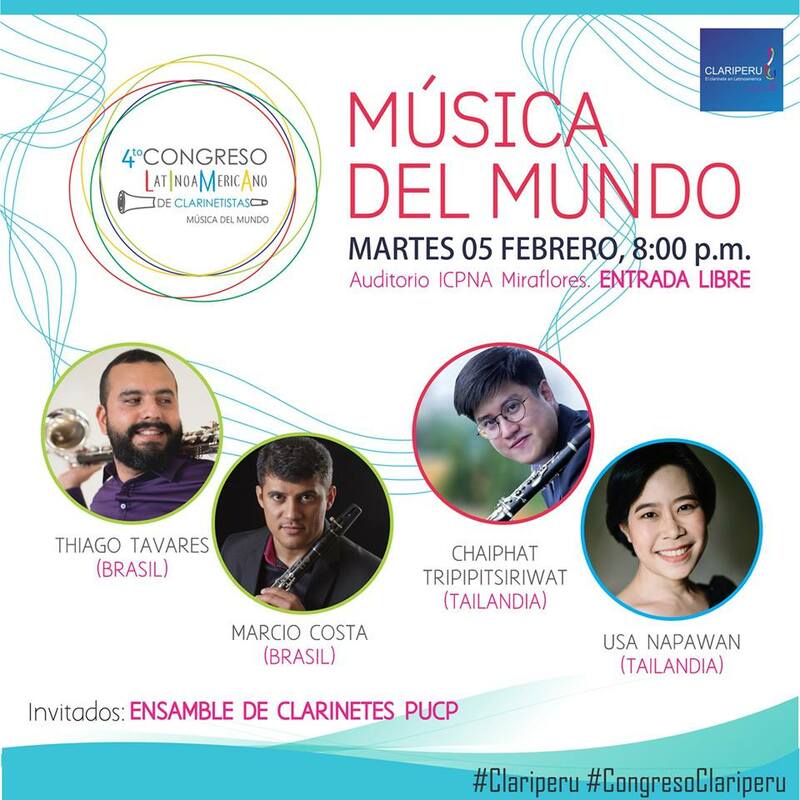 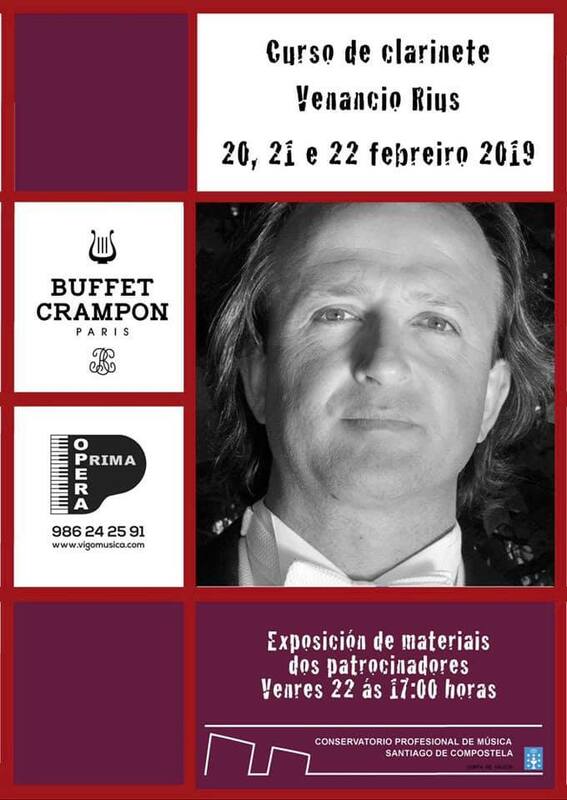 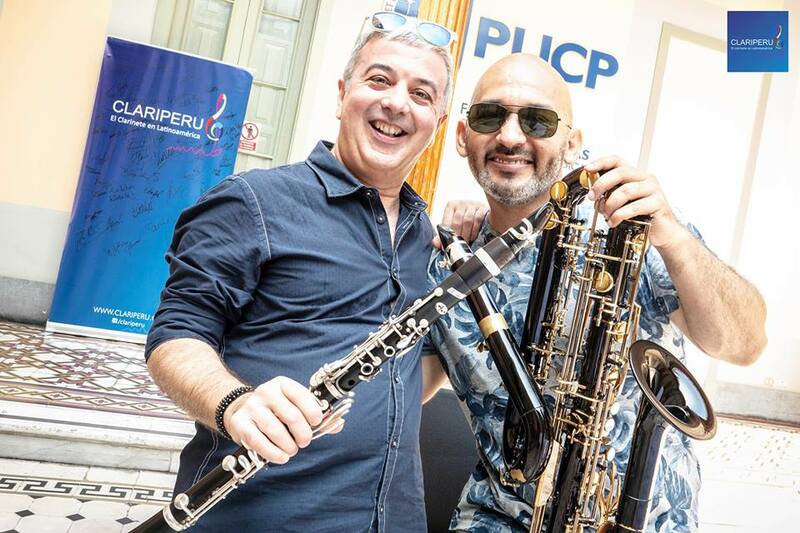 With Venancio Rius, Saúl Canosa Insua, Paula Bereijo and Buffet Crampon Wind Instruments-Buffet Crampon España & Portugal. 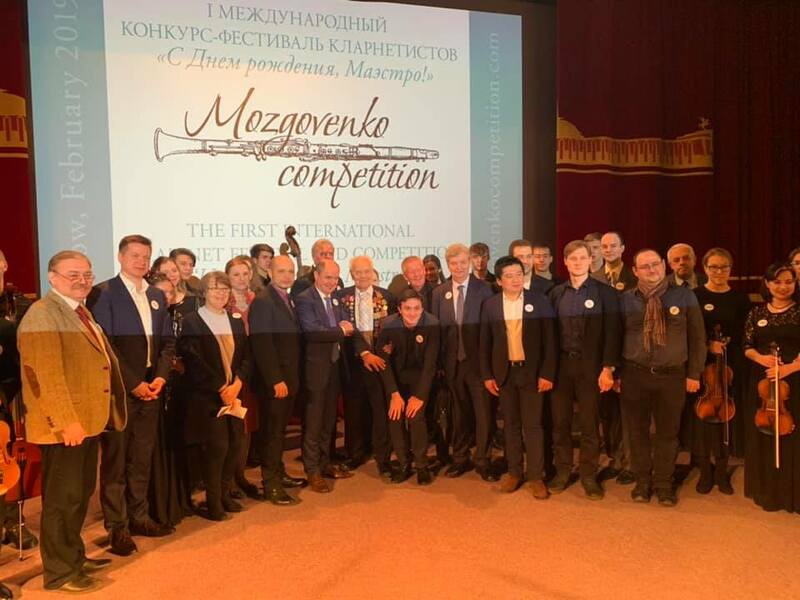 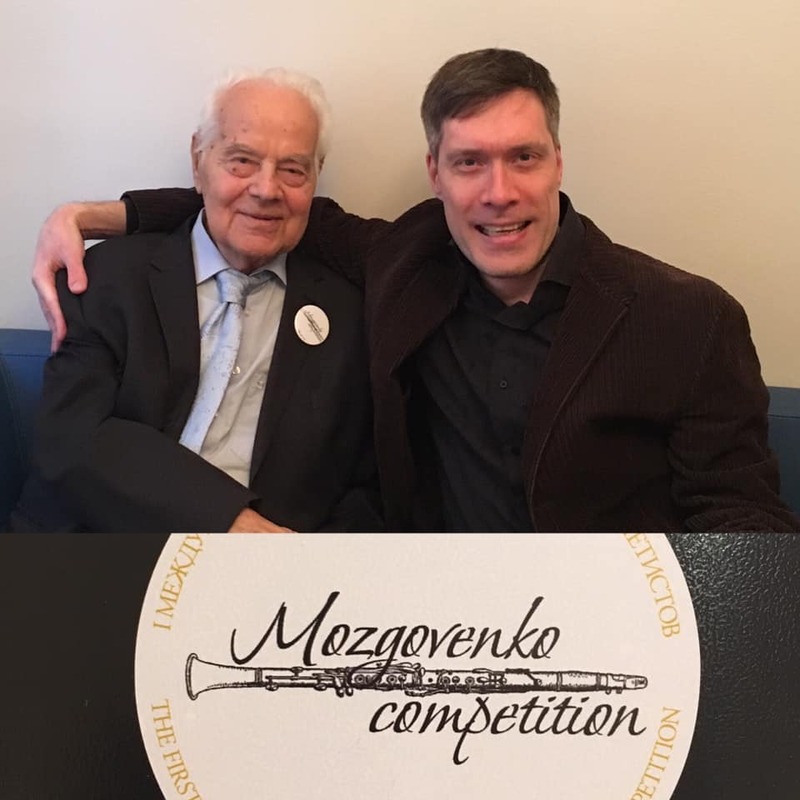 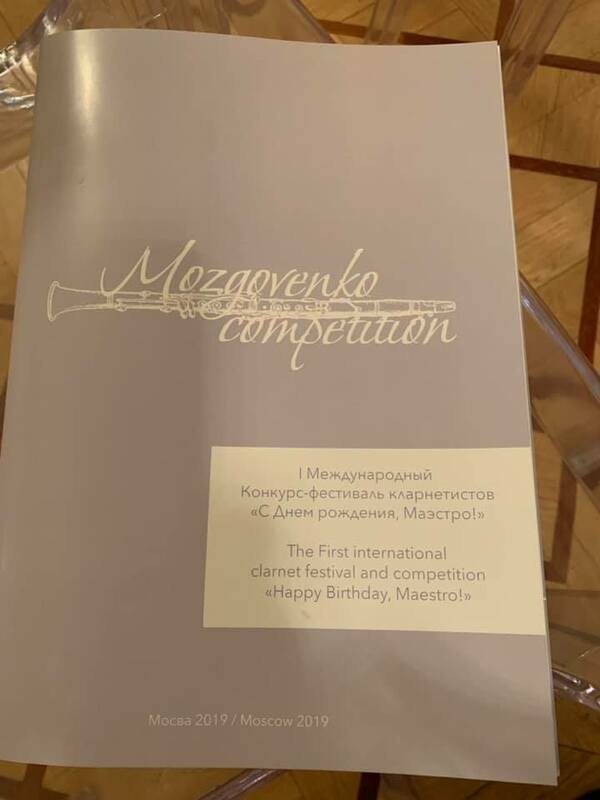 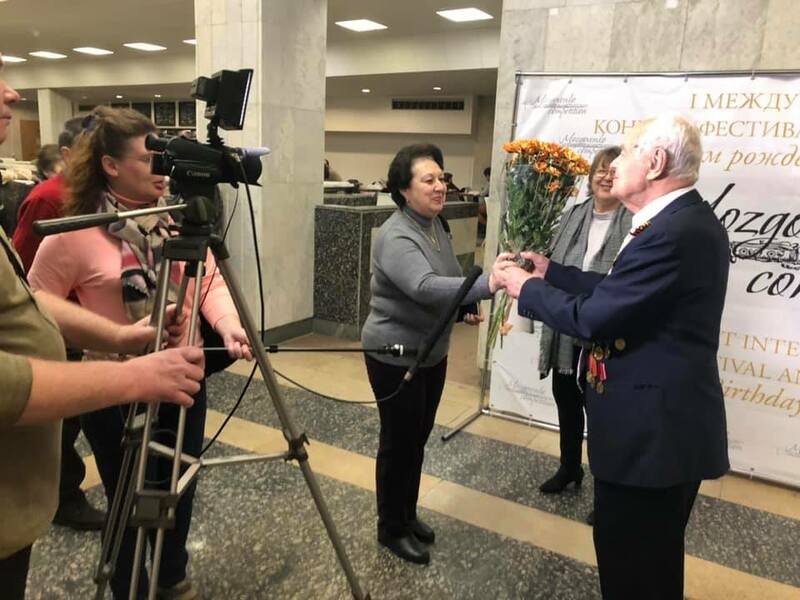 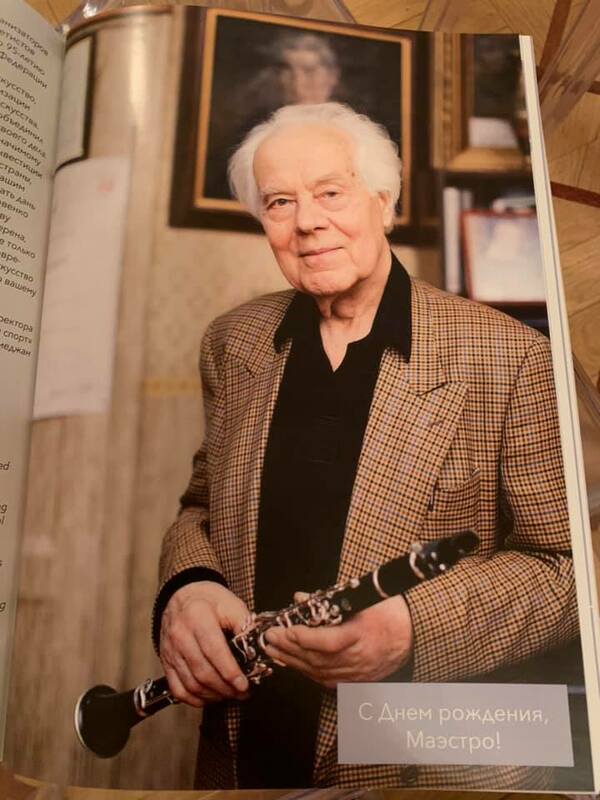 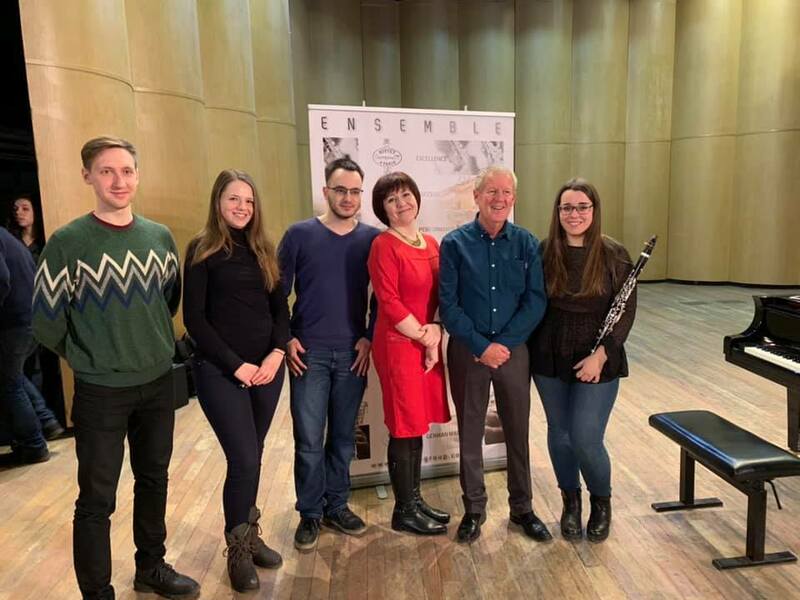 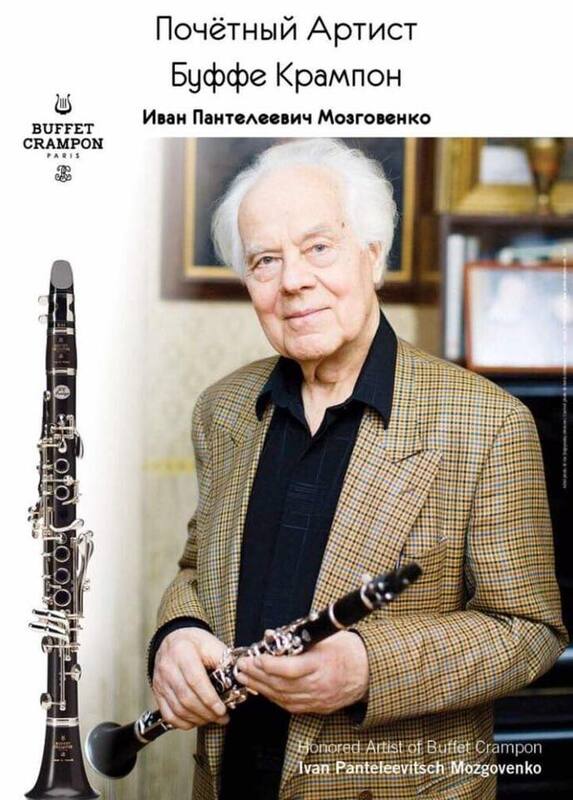 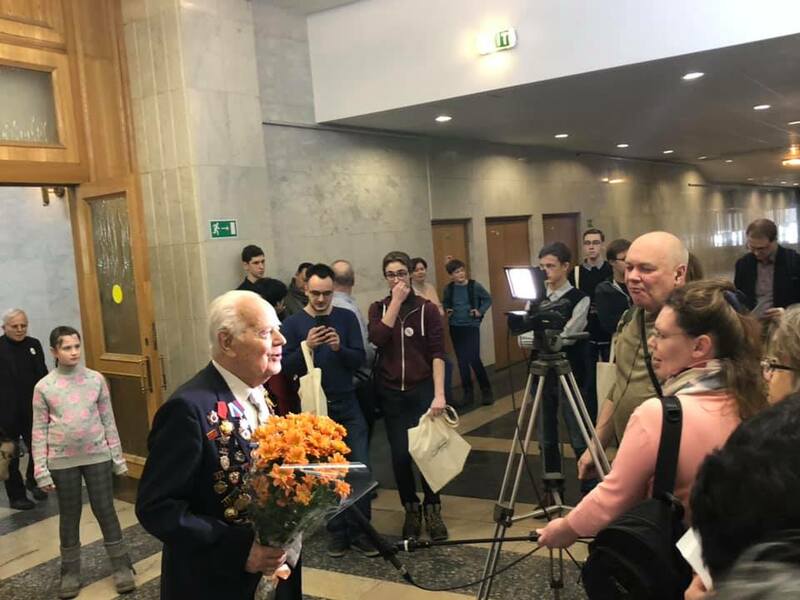 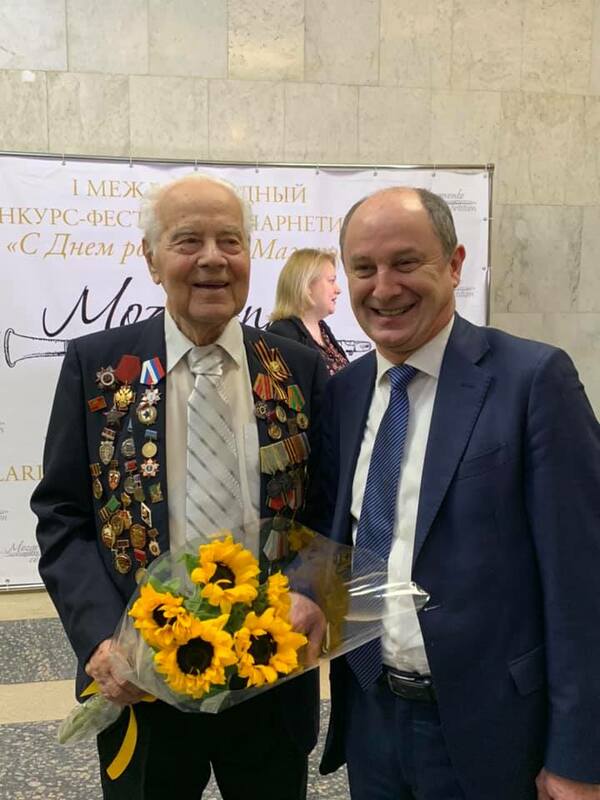 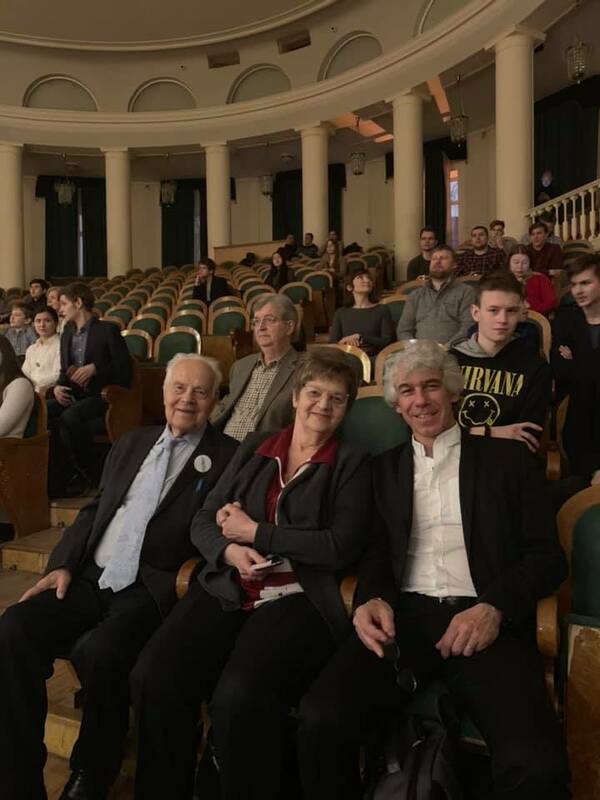 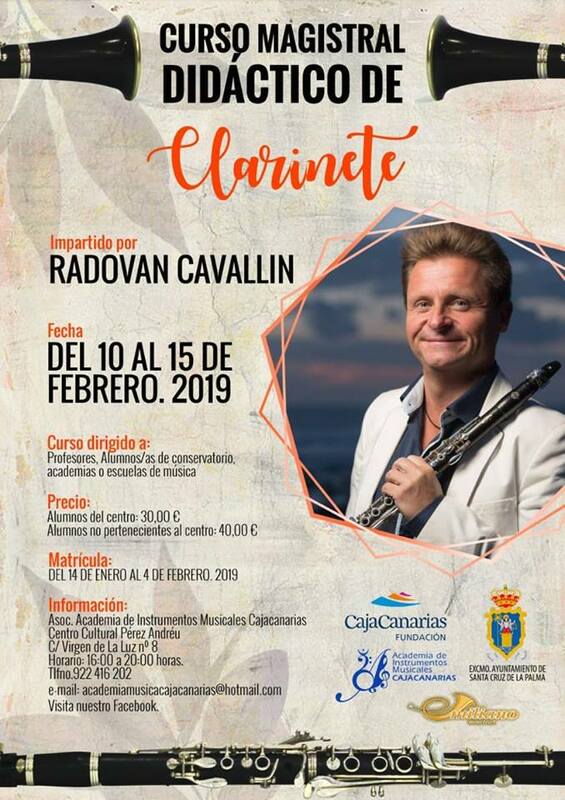 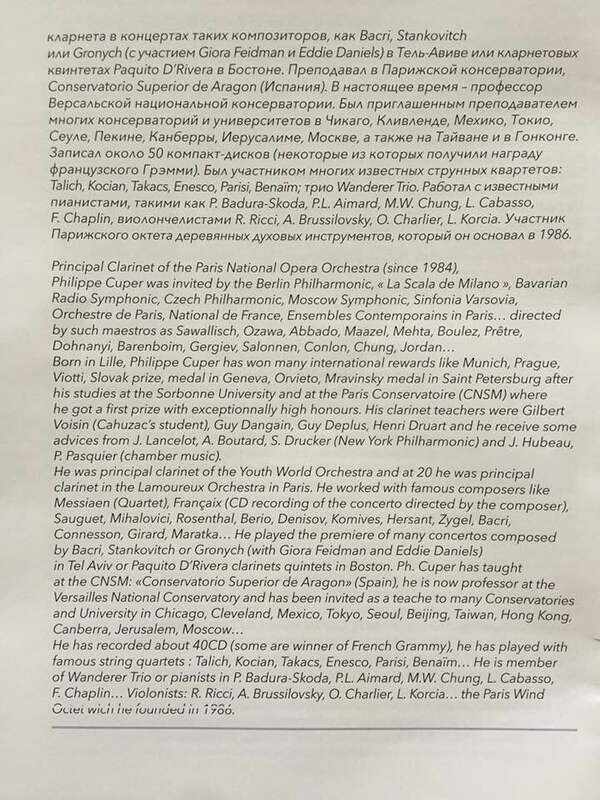 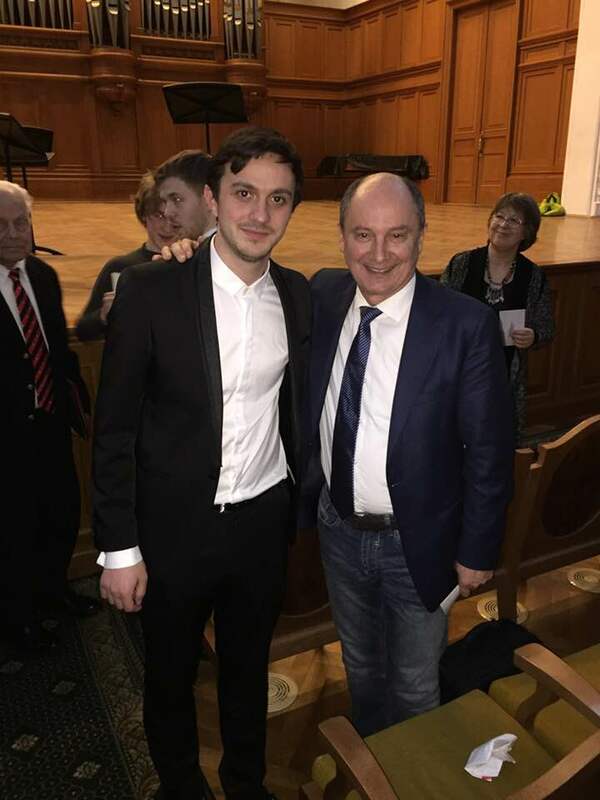 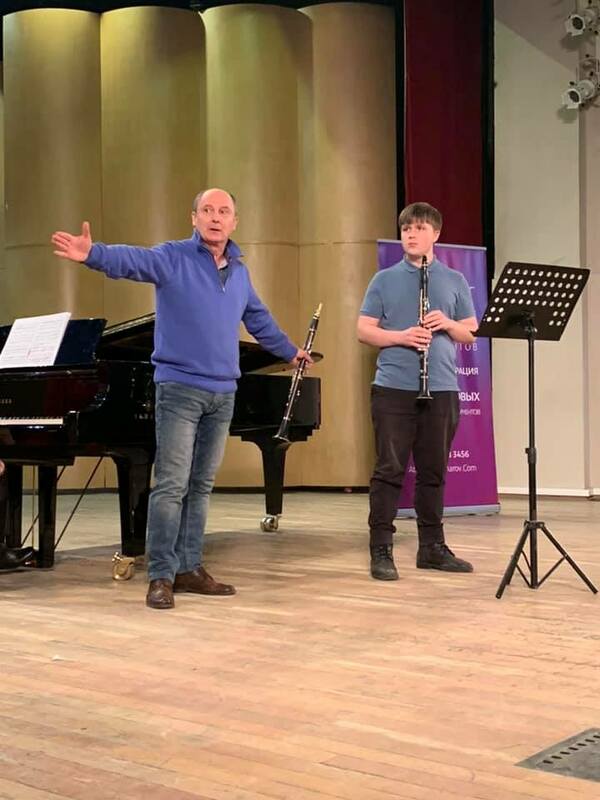 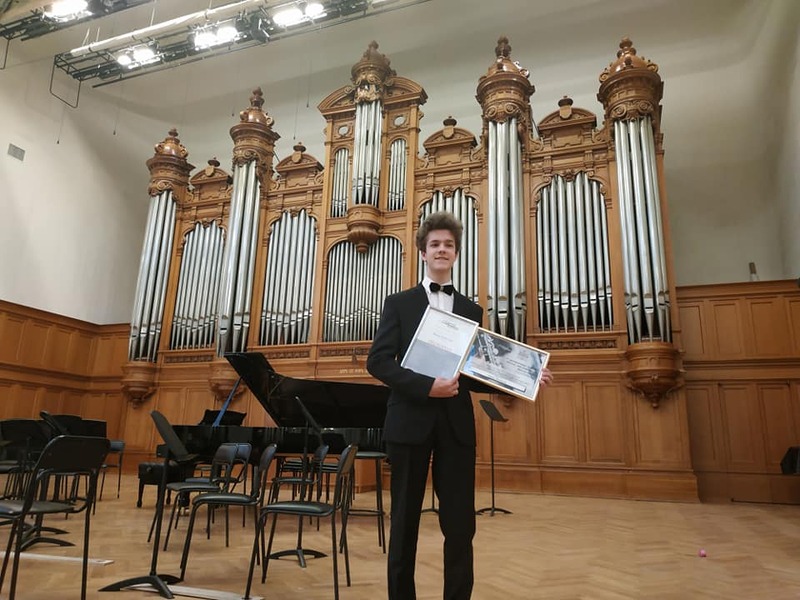 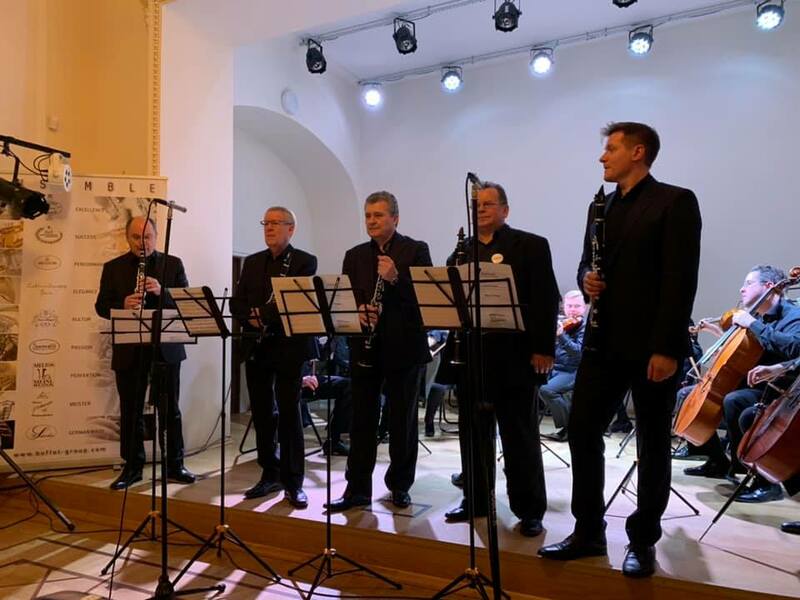 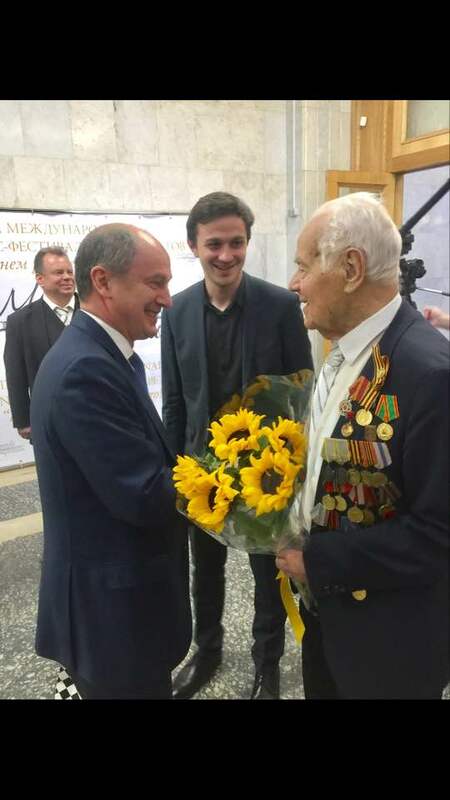 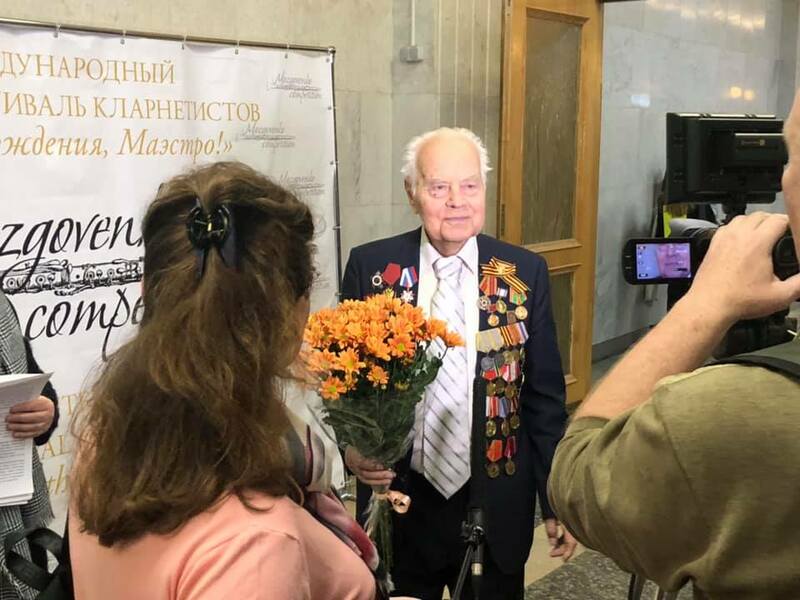 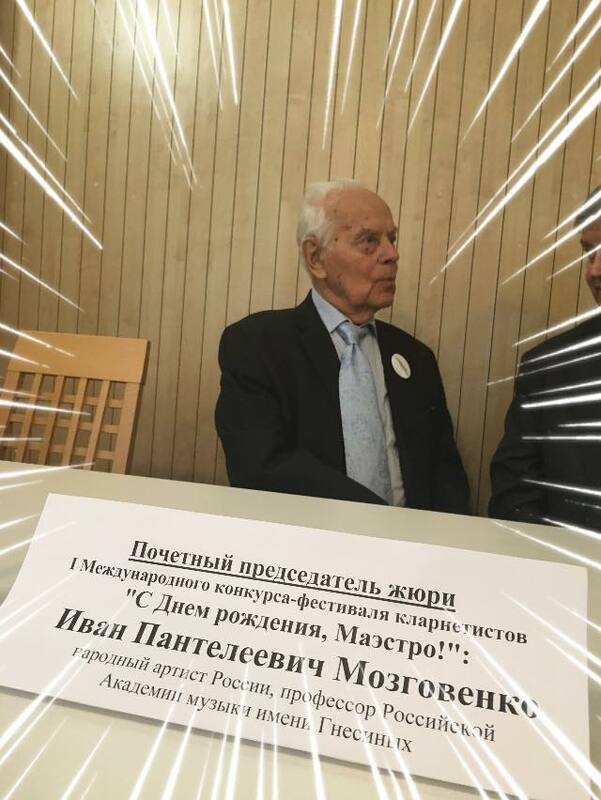 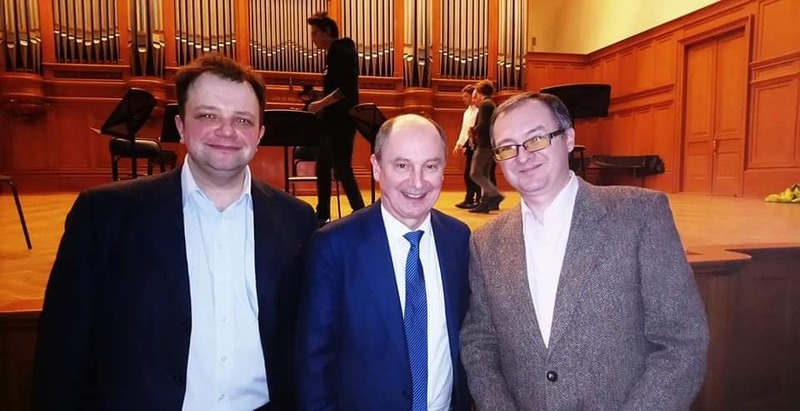 First International Clarinet competition “Happy Birthday, Maestro!” dedicated to the 95th Birthday Anniversary of Professor, People’s Artist of Russian Federation Ivan Mozgovenko. 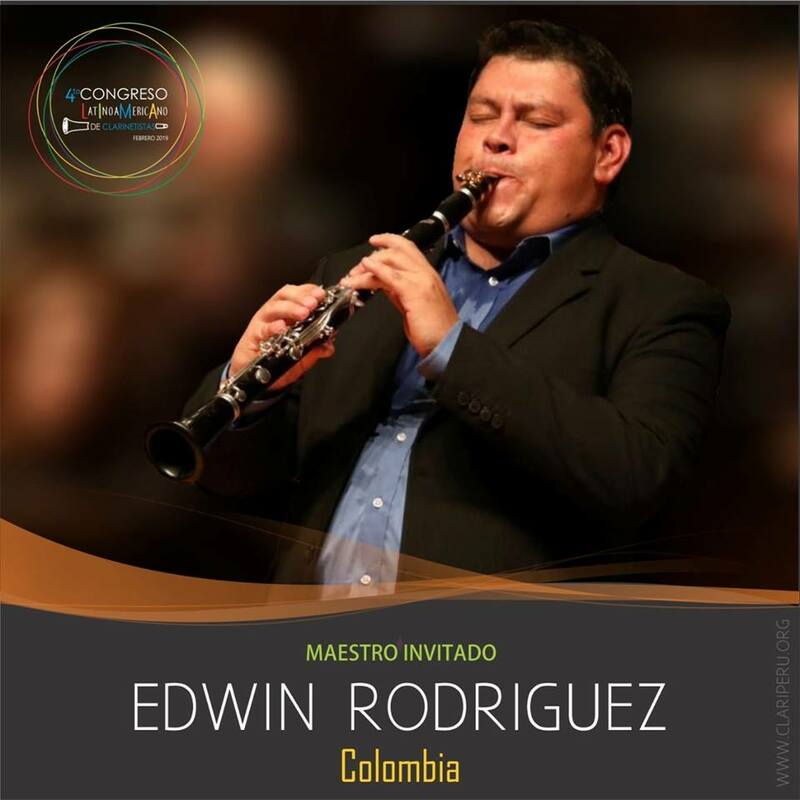 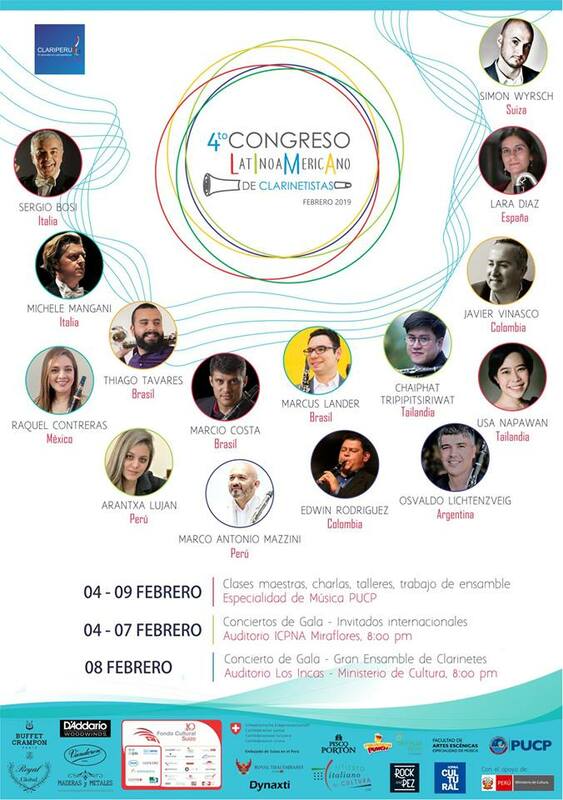 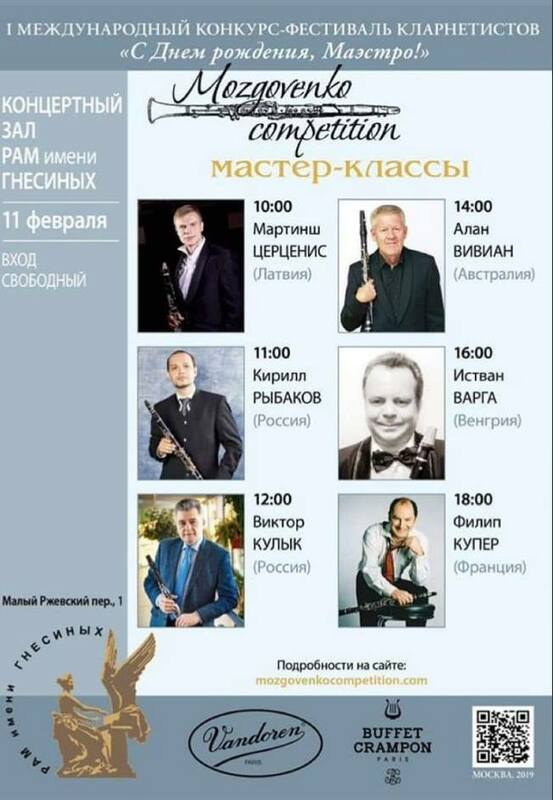 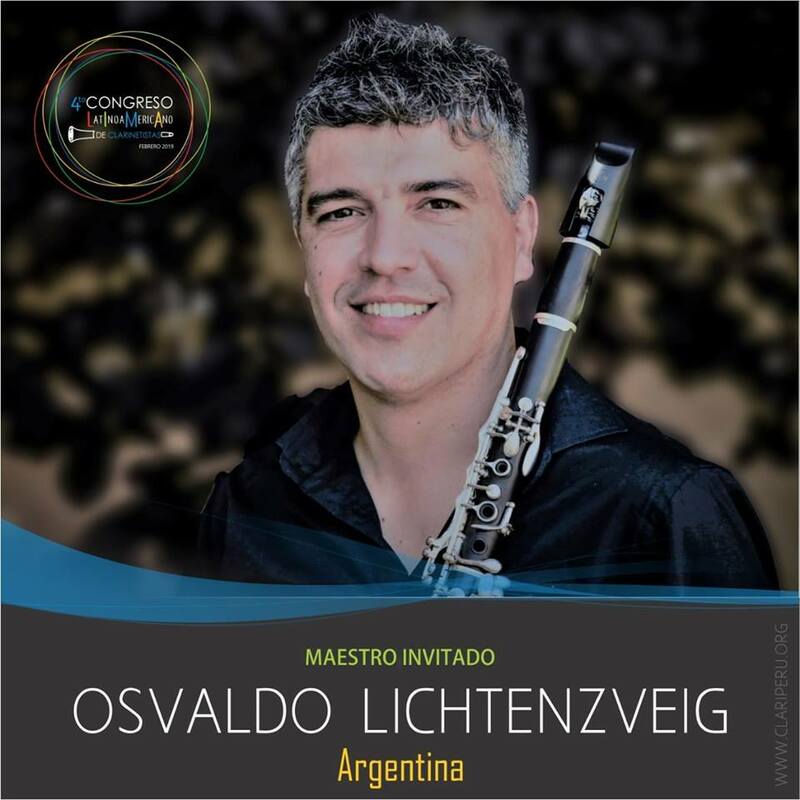 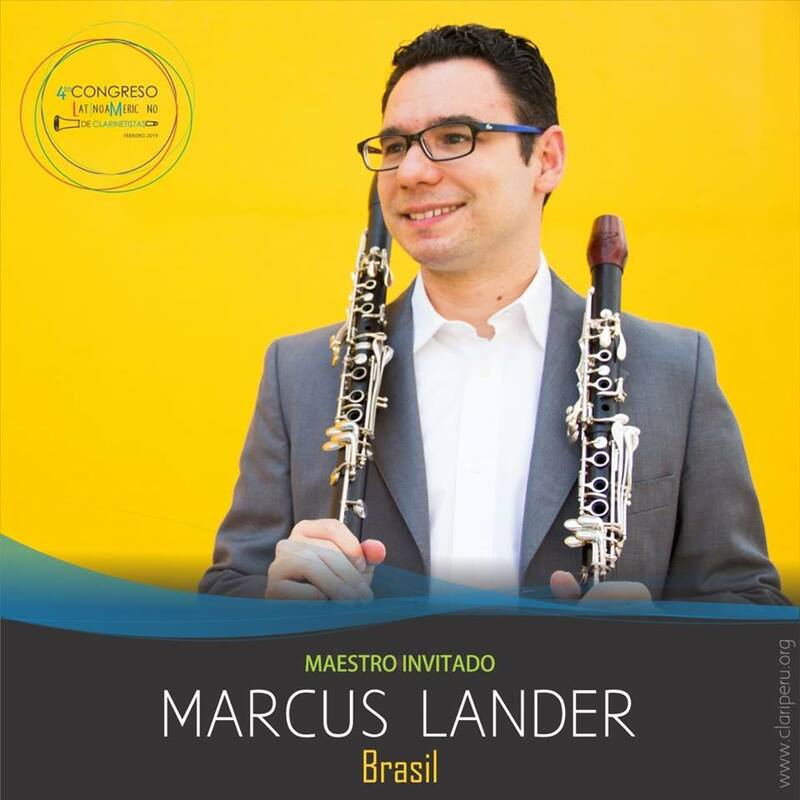 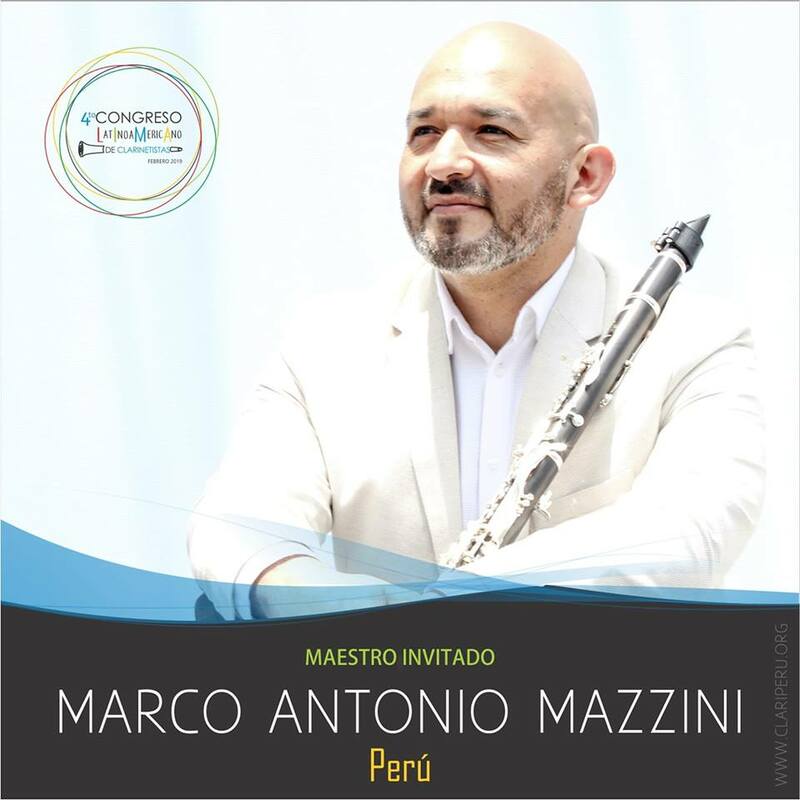 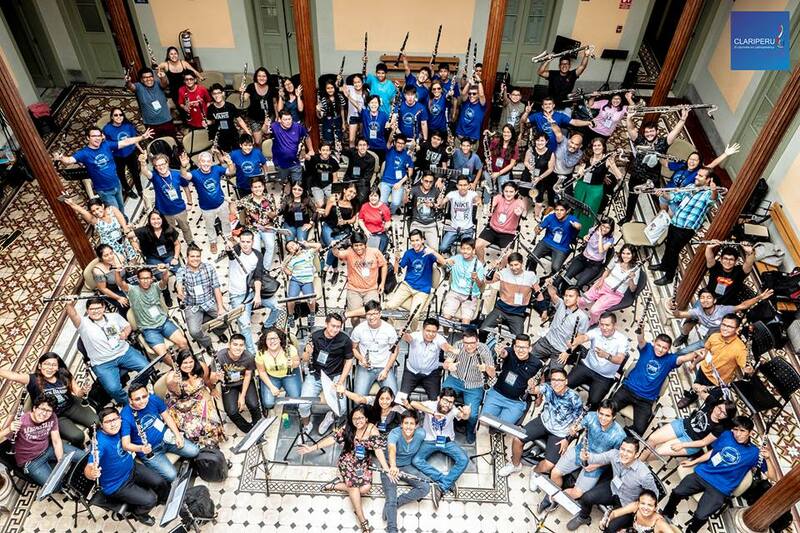 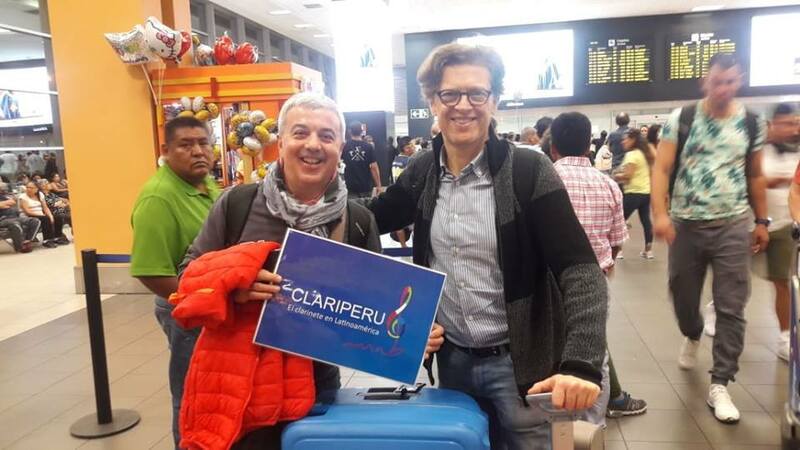 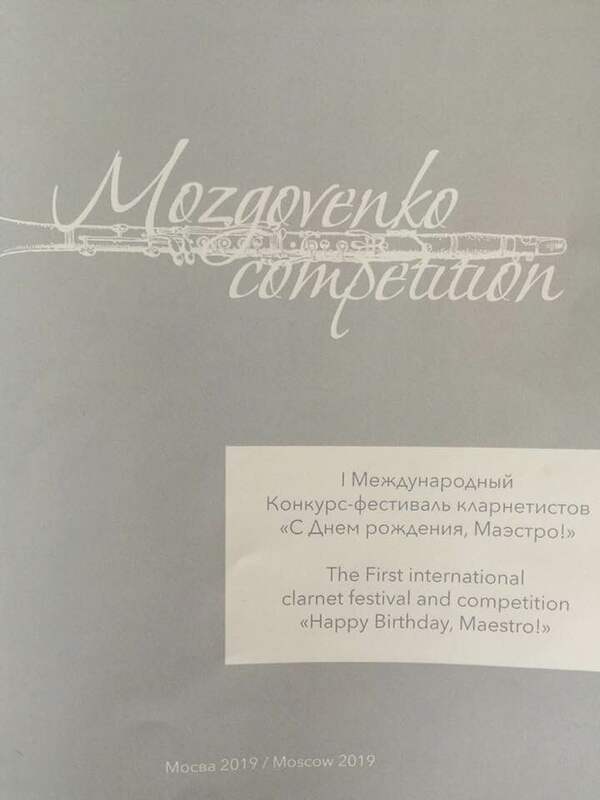 I international competition-festival of clarinetists " Happy birthday, Maestro!" 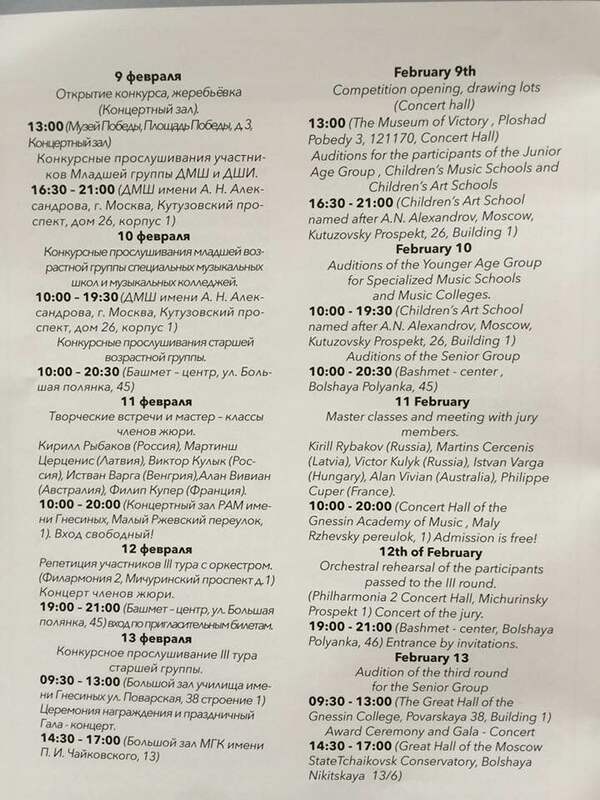 organized and conducted By the state budget professional educational institution of Moscow "Moscow secondary special music school (College) named after the Gnesins" And the state budget institution of additional education of Moscow "Children's music school named after N. Alexandrova", subordinated to the Department of culture of the city of Moscow. 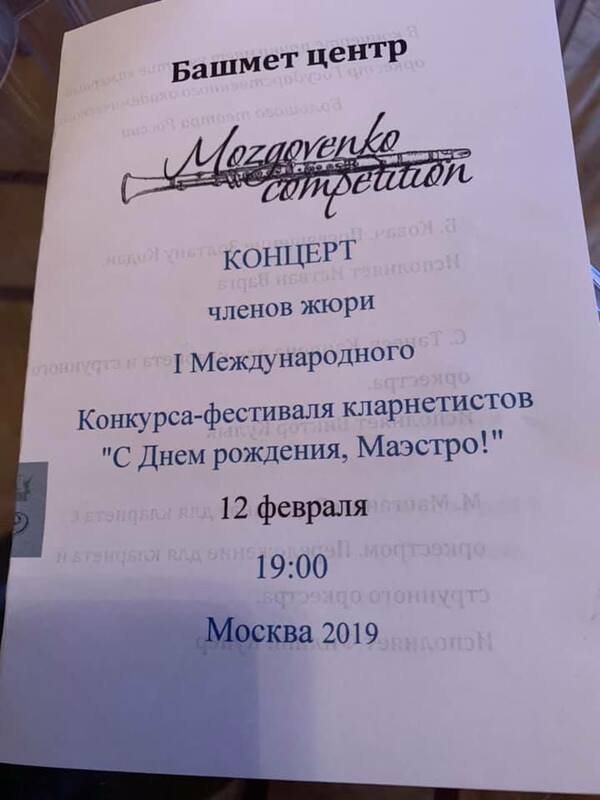 The competition is supported by the Ministry of culture of the Russian Federation, The Department of culture of the city of Moscow, the state budget institution of additional professional education (advanced training) of the city of Moscow "Directorate of educational programs in the field of culture and art", the Federal state budget educational institution of higher education " Russian Academy of music Gnesin", State budgetary vocational educational institution of Moscow city "the Moscow secondary special music school (College) Gnesin", State budget institution of additional education of the city of Moscow "Children's music school named after A. N. Alexandrov", State budget institution of additional vocational training (improvement of professional skill) for the city of Moscow "Children's school of arts named after M. A. Balakirev", the Regional children public organization promoting social and cultural development of the personality "Balakirev". 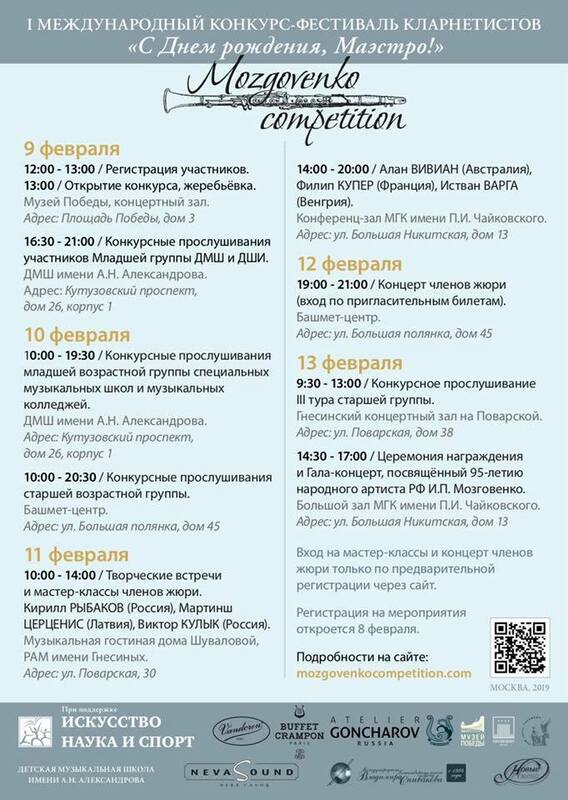 The competition is carried out within the framework of the project of personal initiatives of Professor of fgbou RAM. 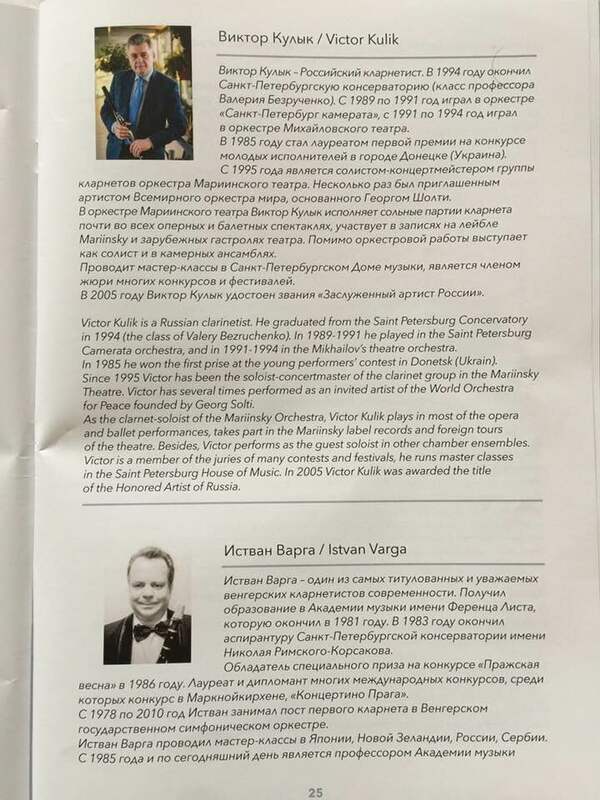 Gnesin, people's artist of the Russian Federation Ivan Panteleevich Mozgovenko. 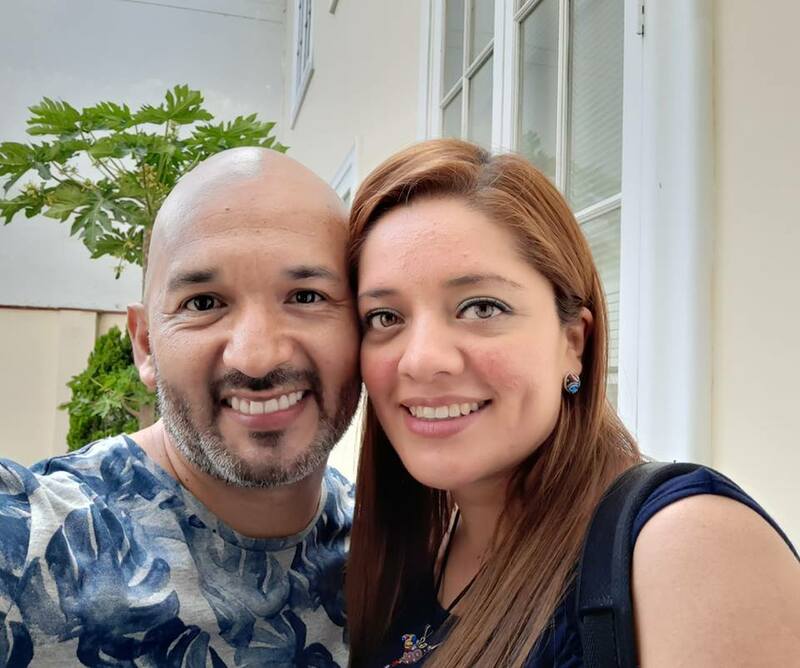 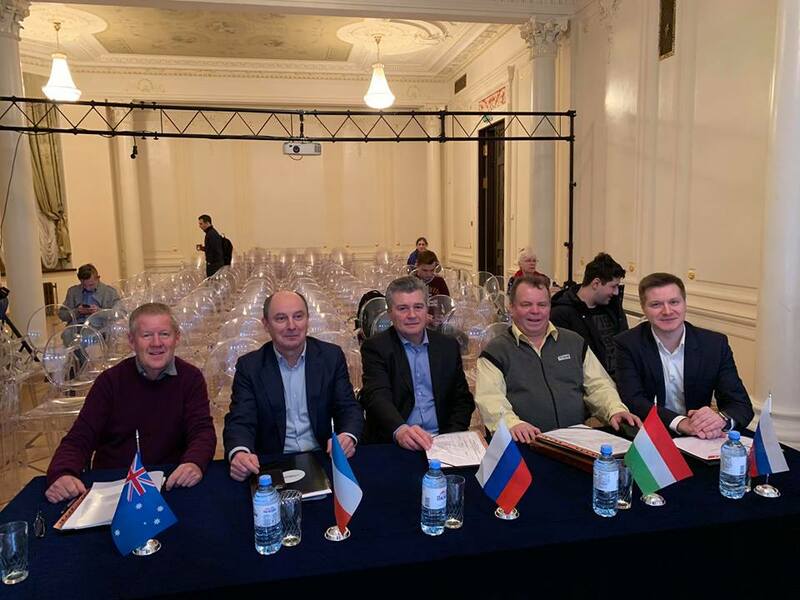 The main principles of the competition are: openness, transparency of evaluation criteria, collegiality of decision-making, equality of conditions for all participants. 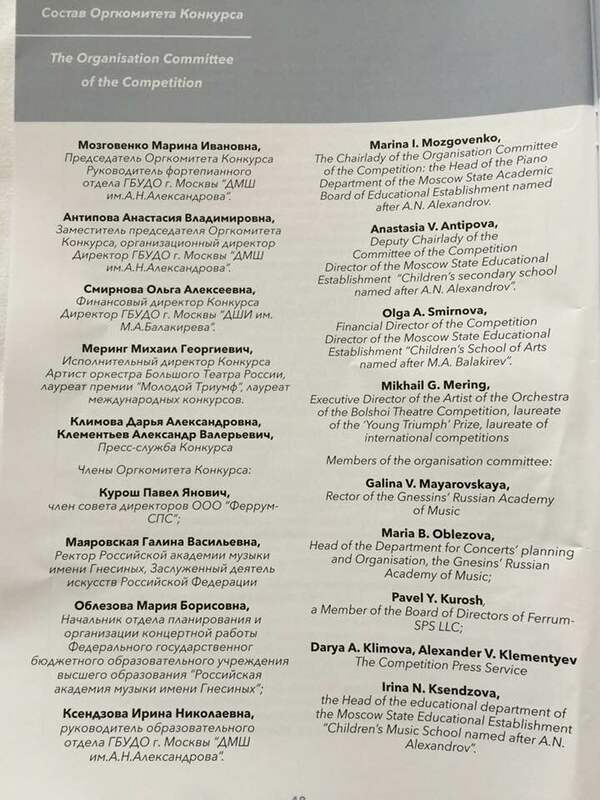 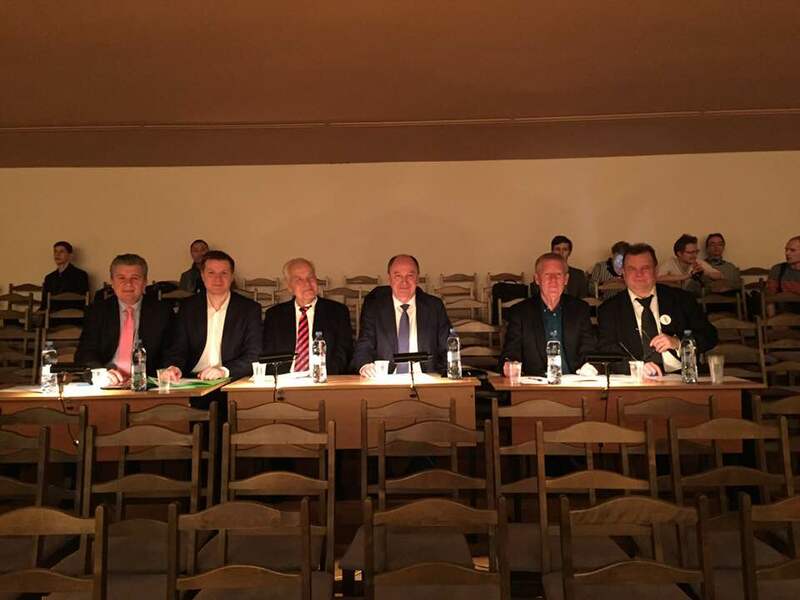 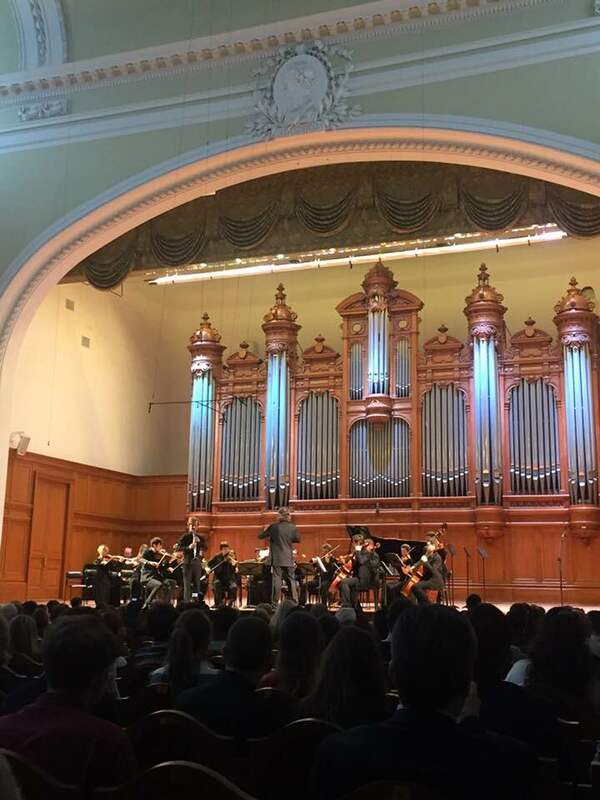 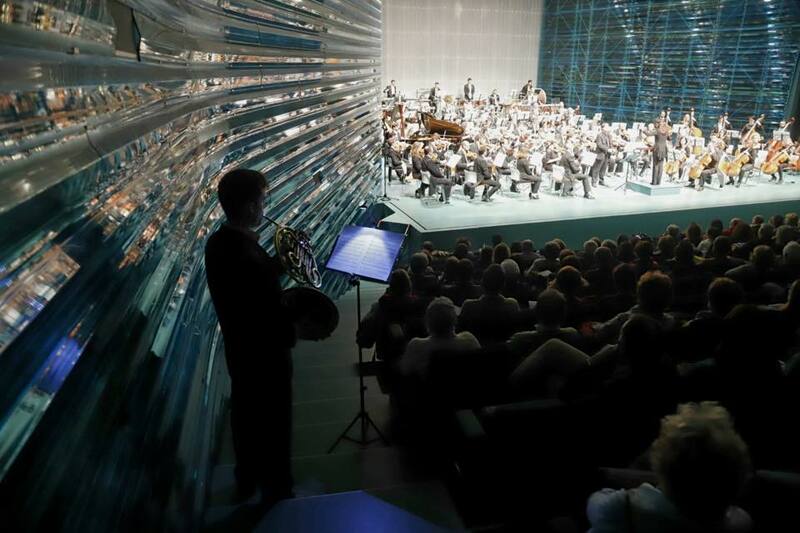 State academic chamber orchestra of Russia under the direction of Alexei Utkin. 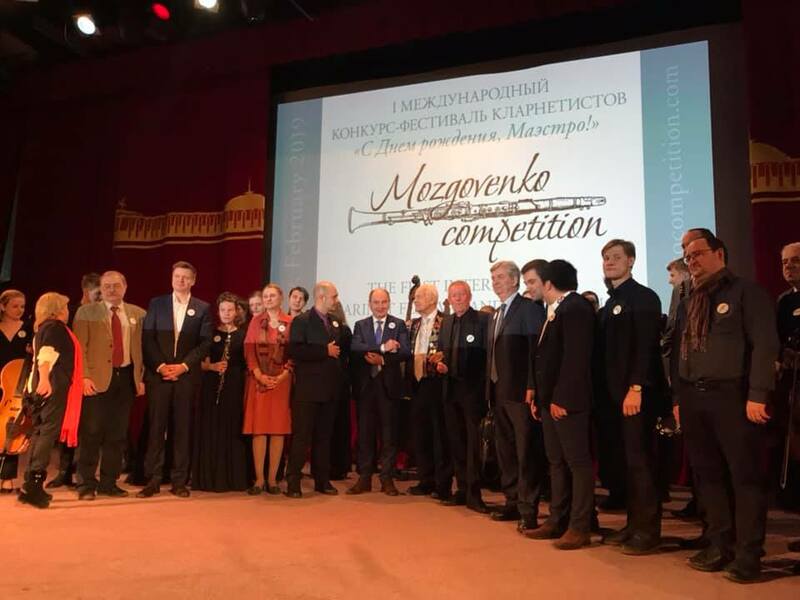 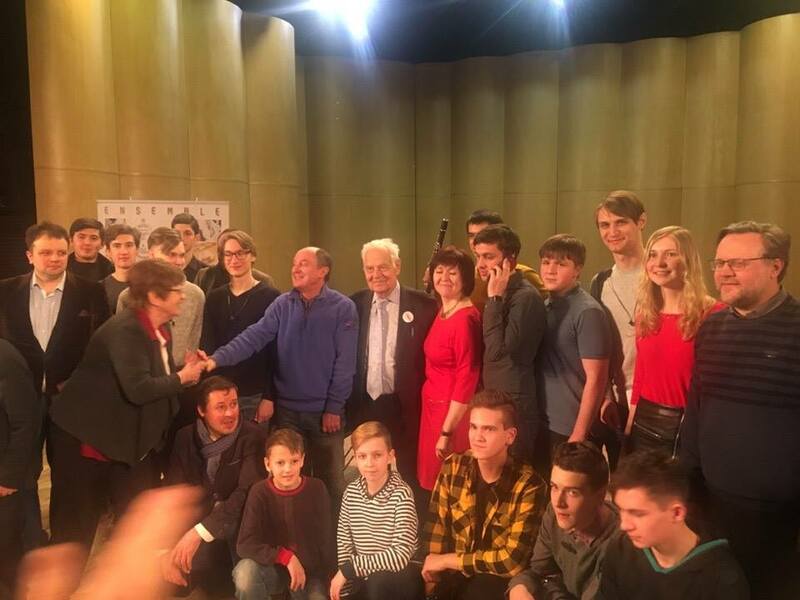 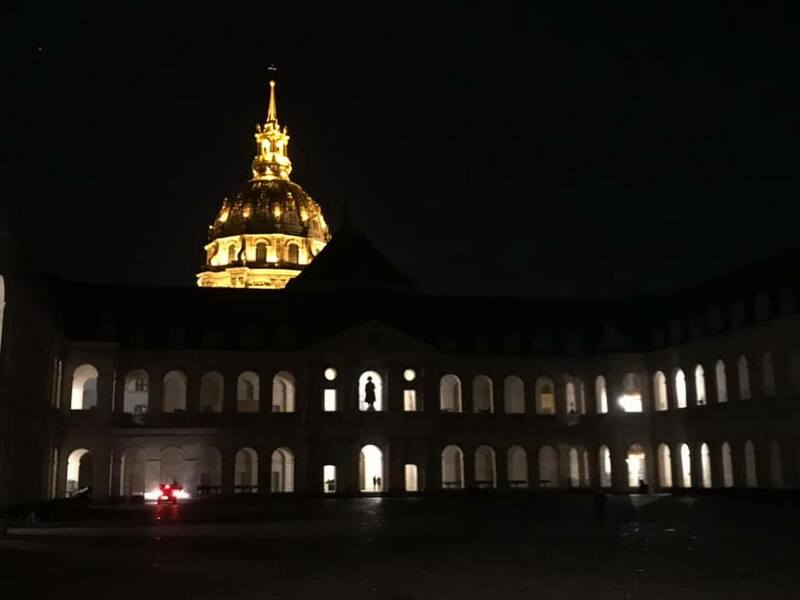 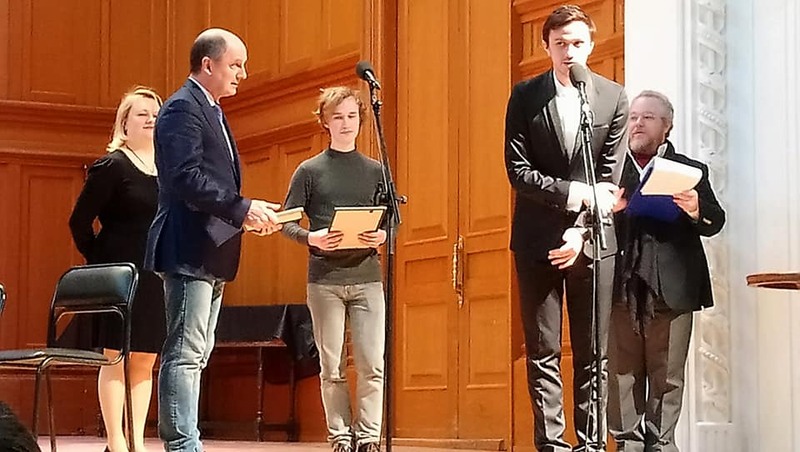 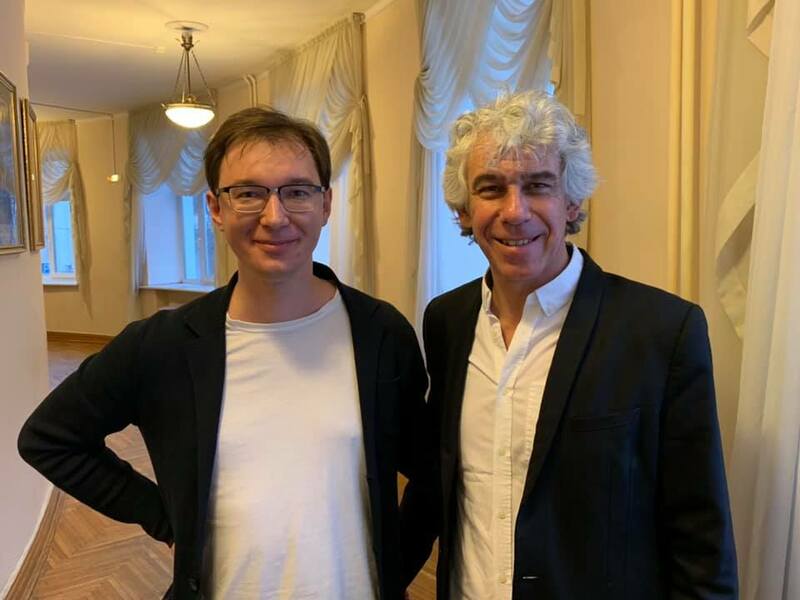 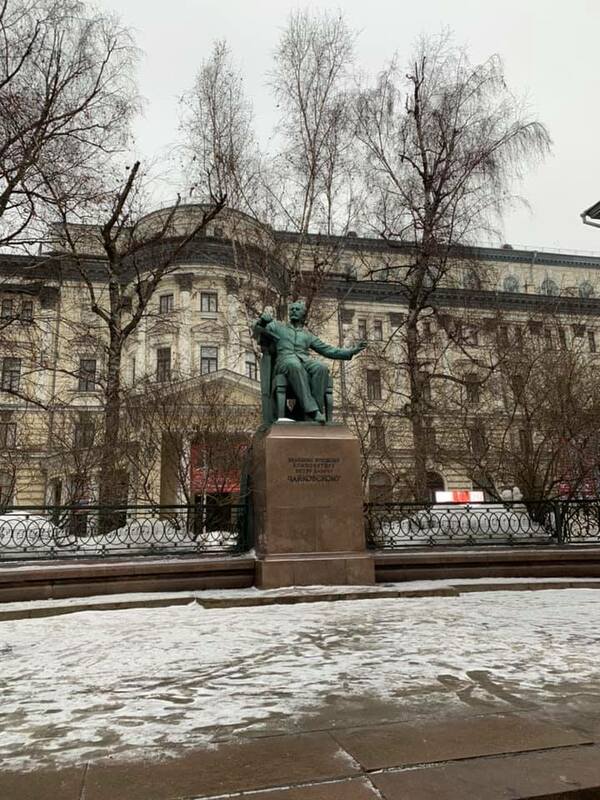 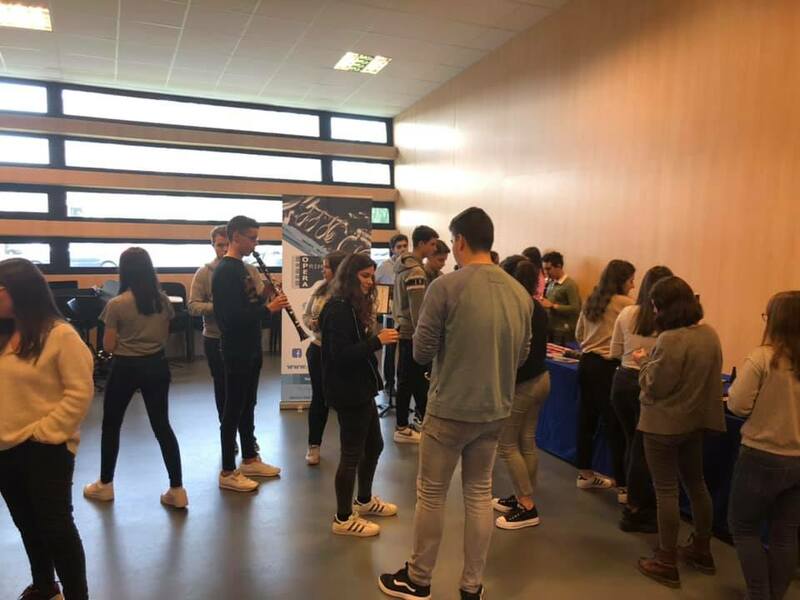 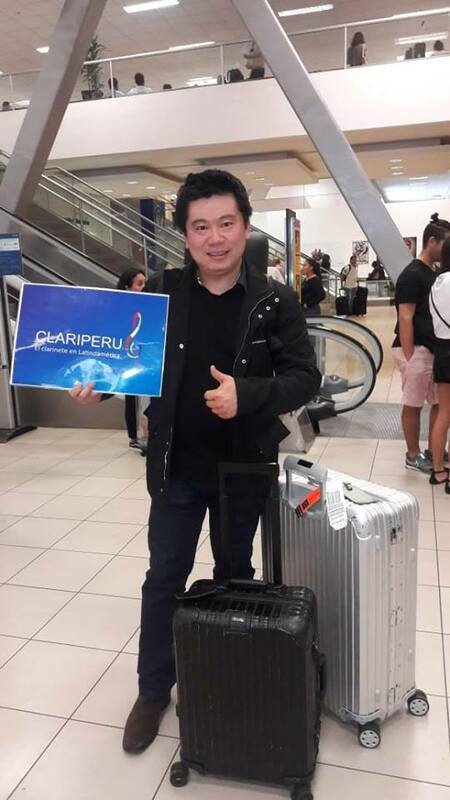 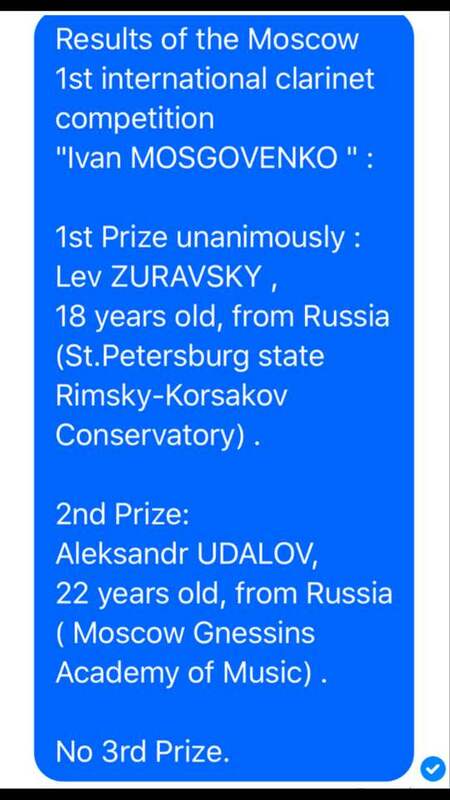 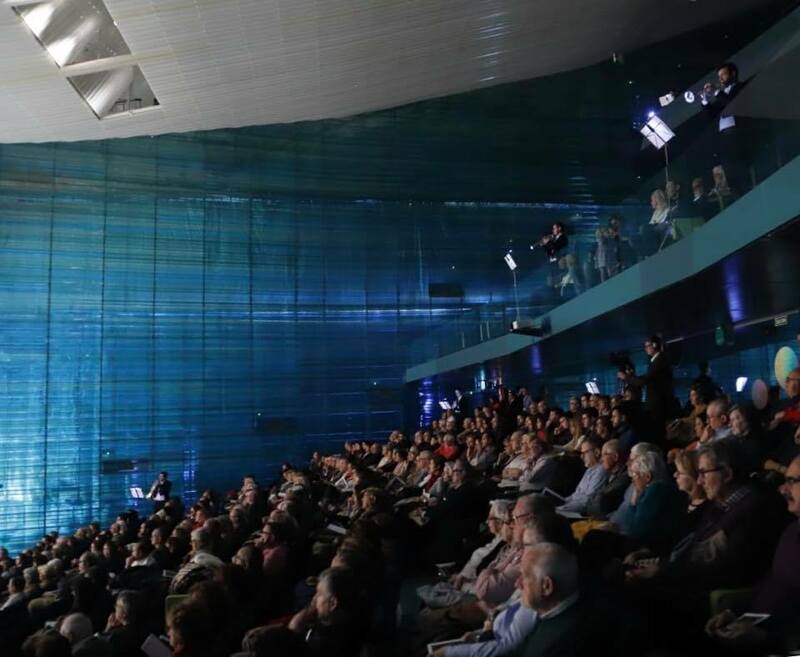 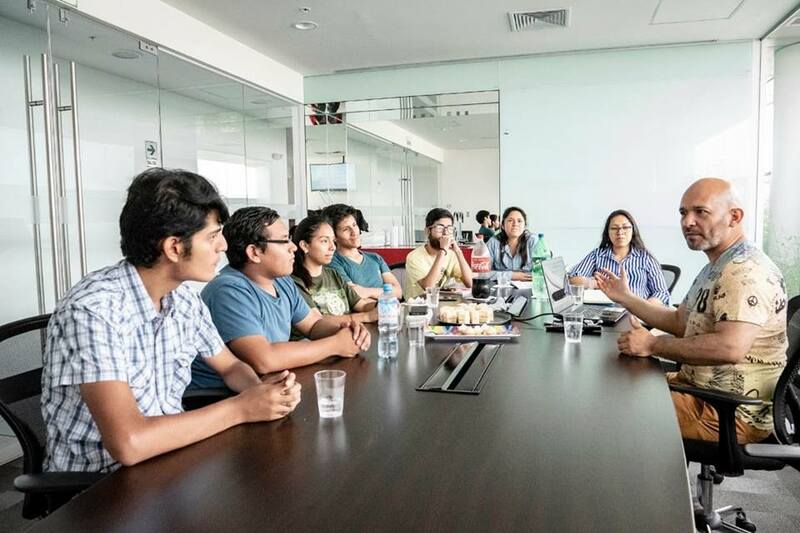 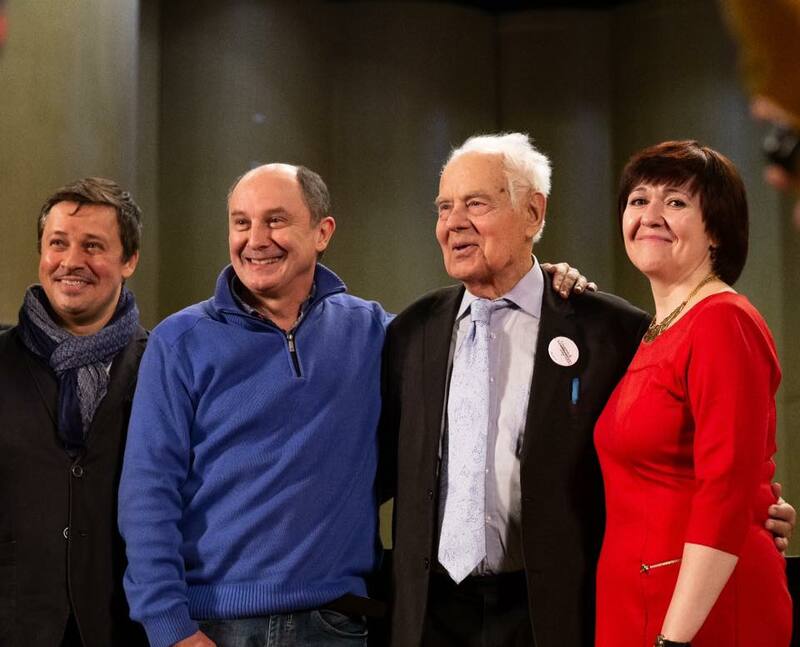 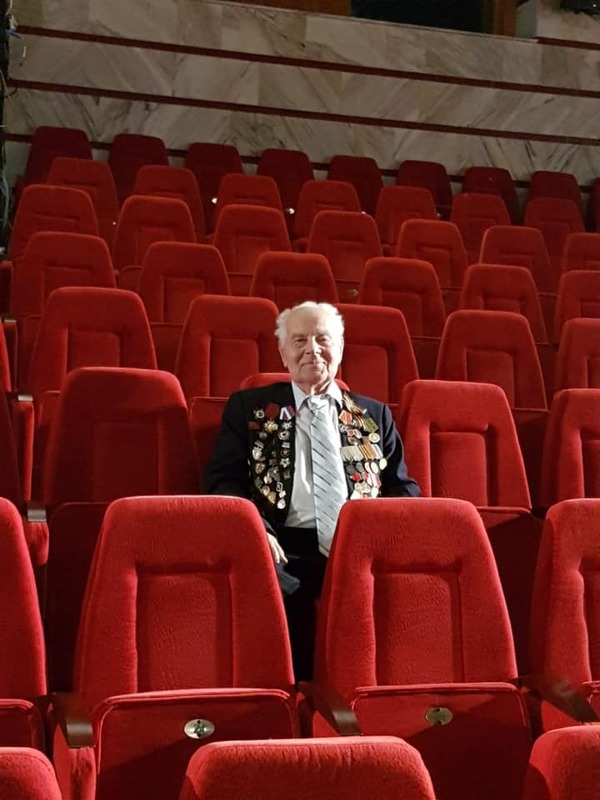 The Competition winners may be awarded the title of the Grand-Prix, 1st prize-, 2nd prize -, 3rd prize-winner and a diploma winner on February 13, 2019. 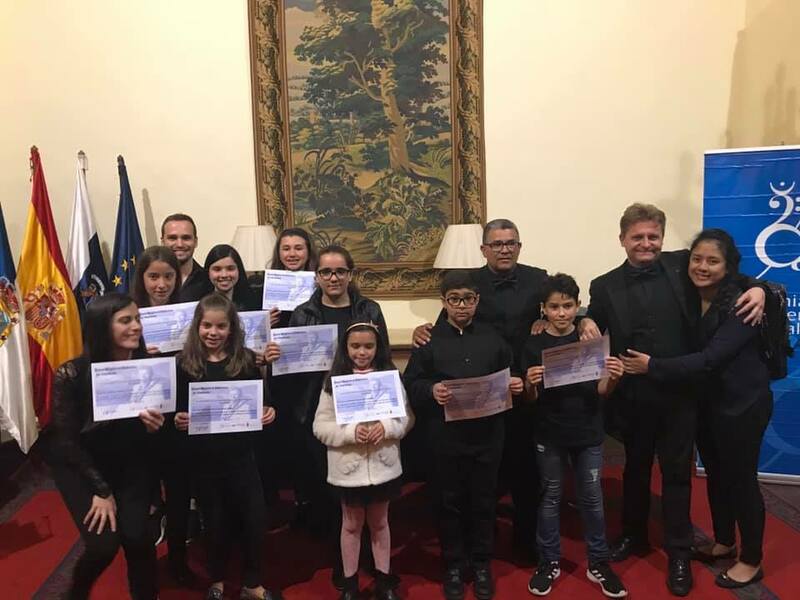 Finalist’s teachers and the best accompanists will also be awarded with Diplomas. 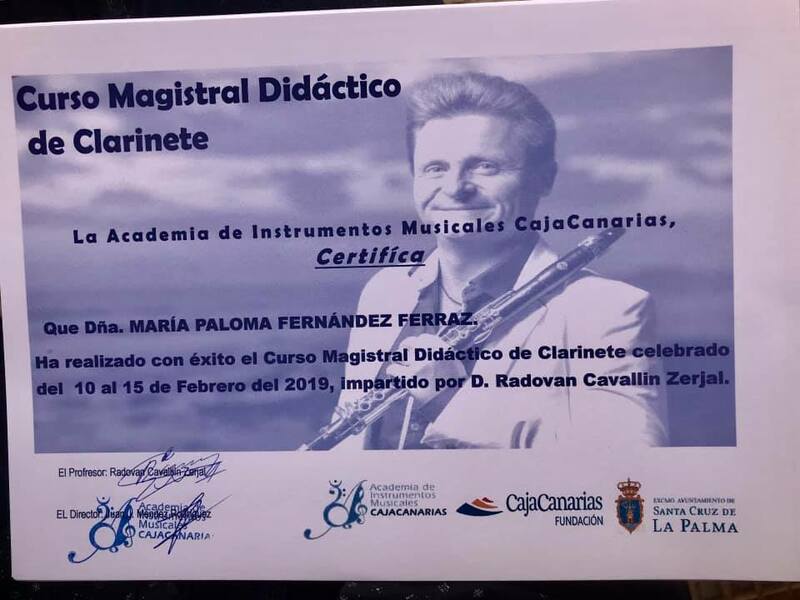 All the Diplomas will be sent to the contestants by e-mail before February 26, 2019. 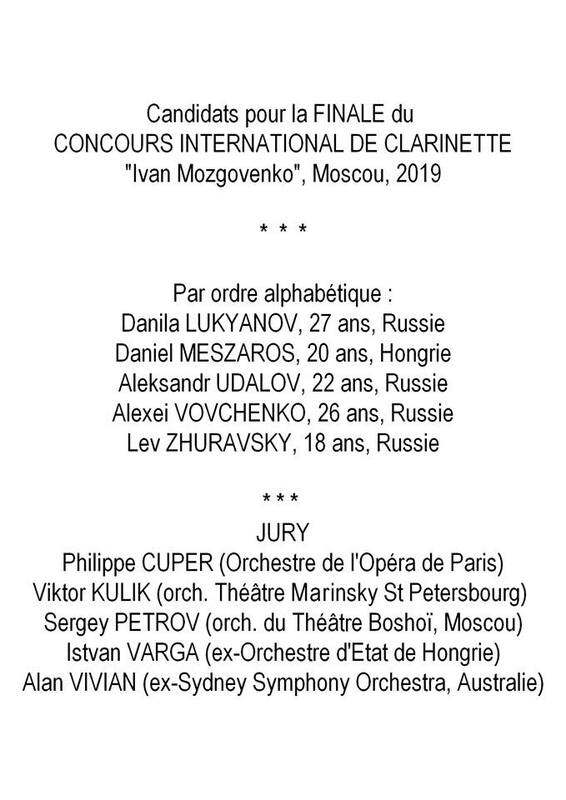 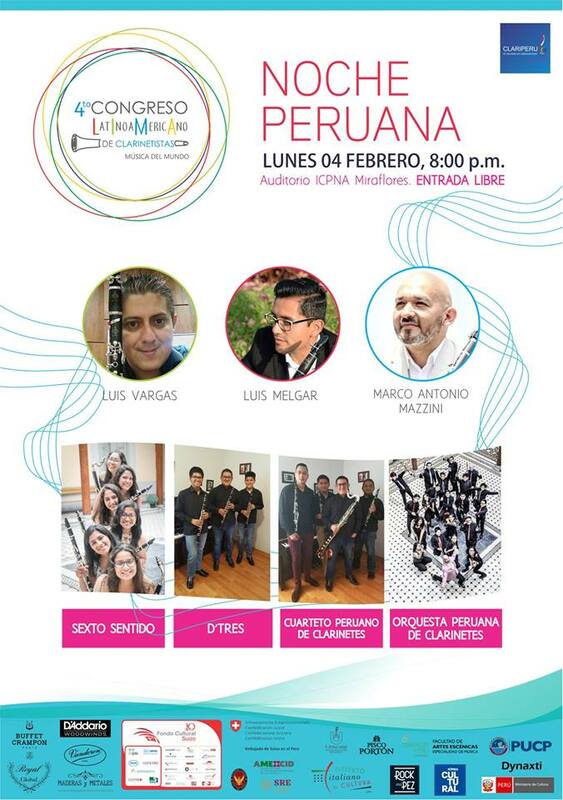 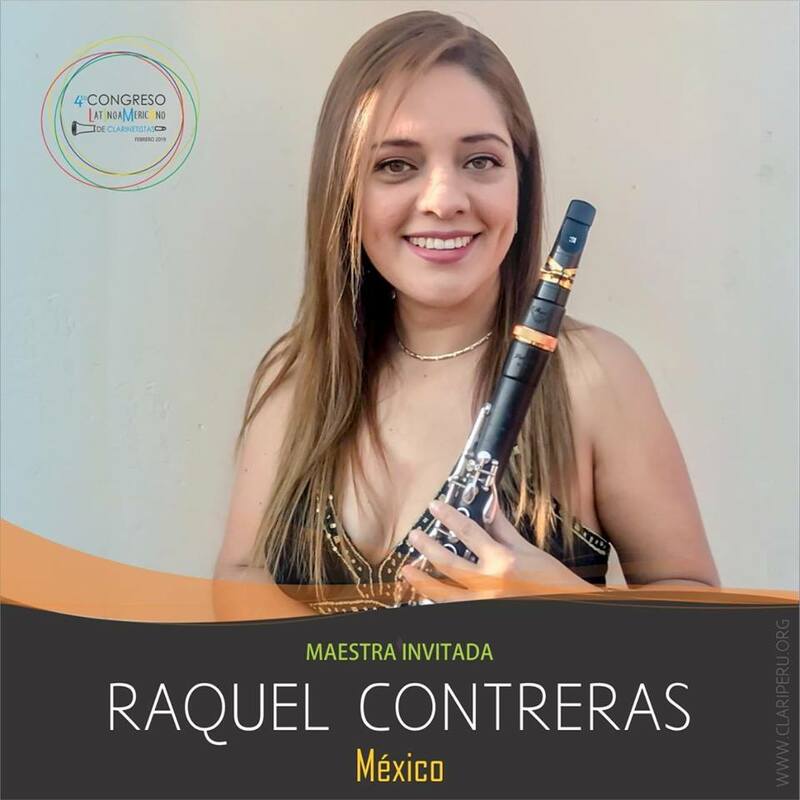 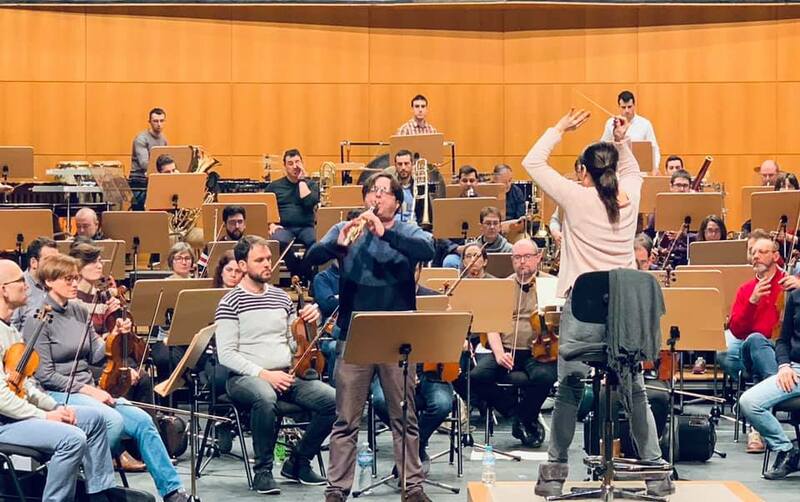 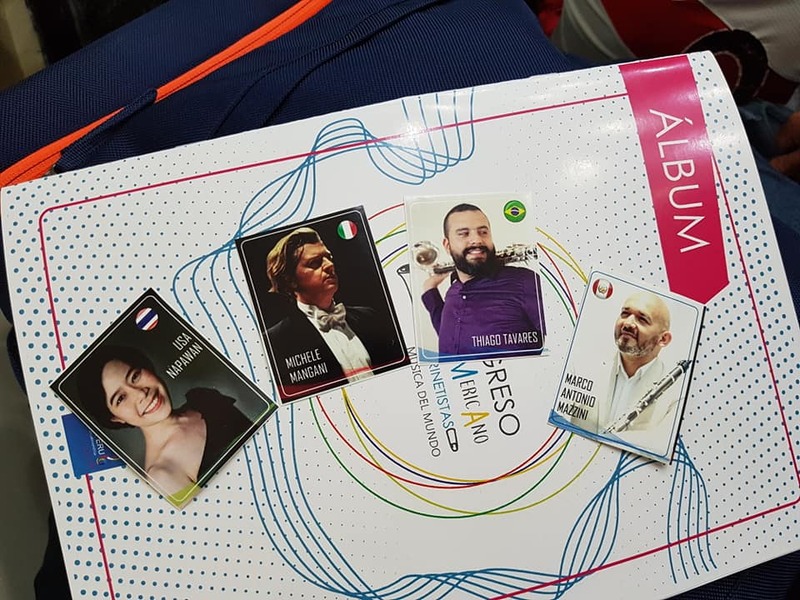 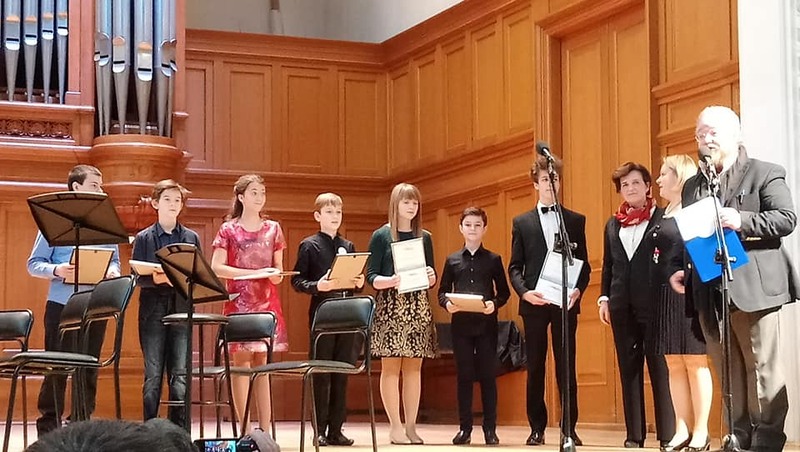 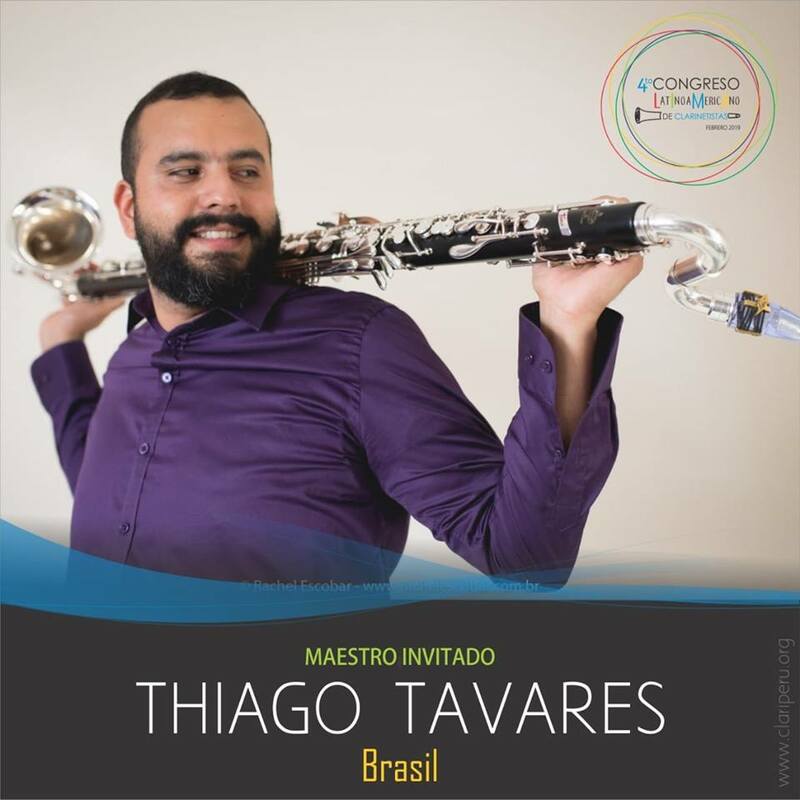 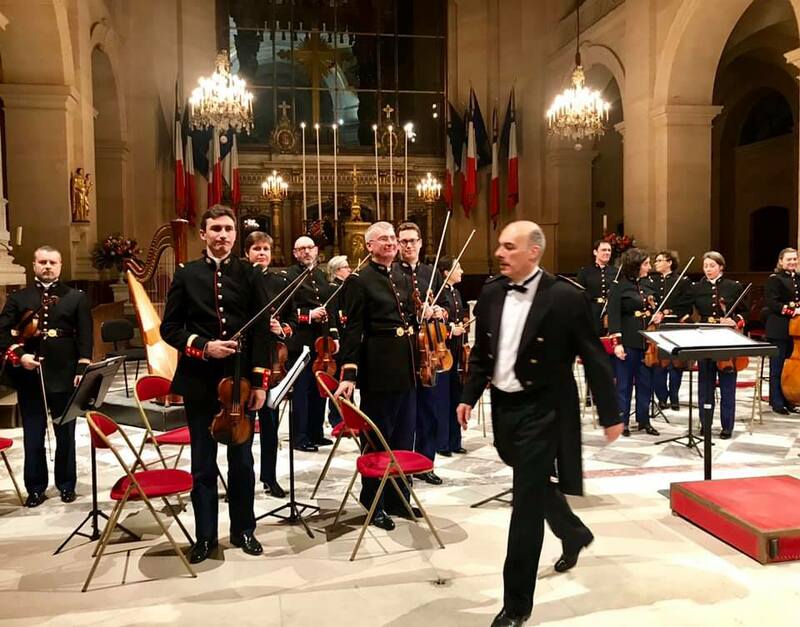 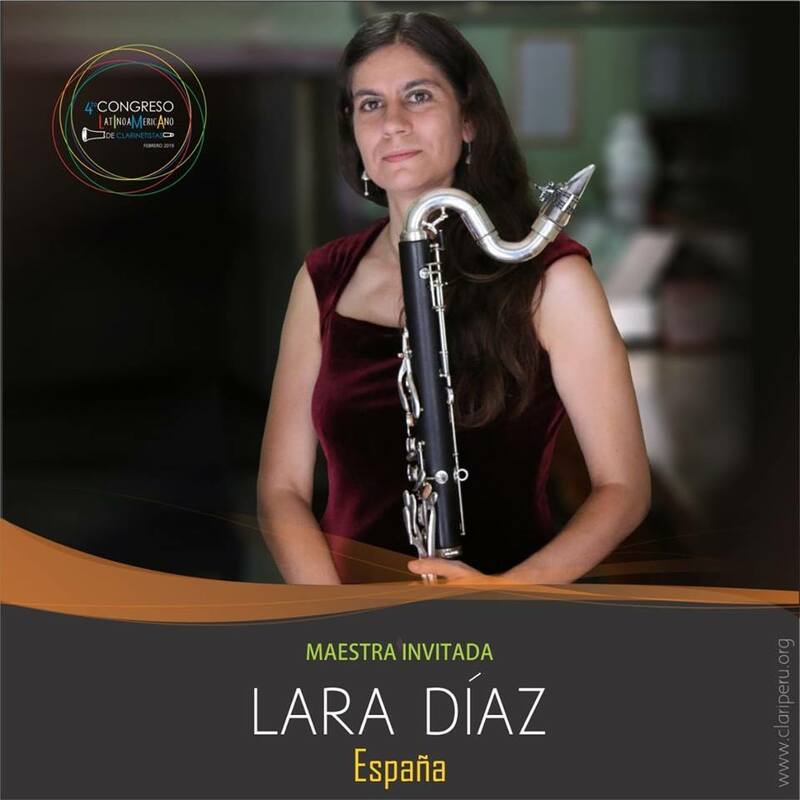 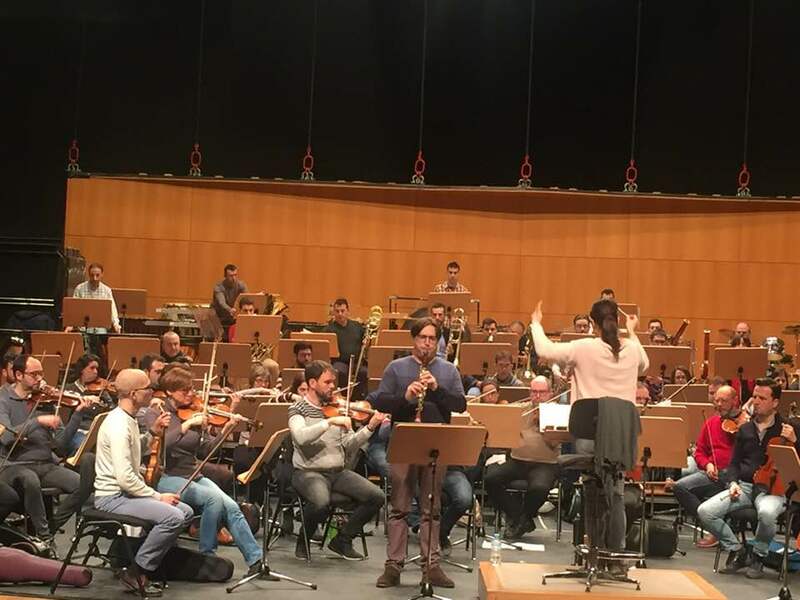 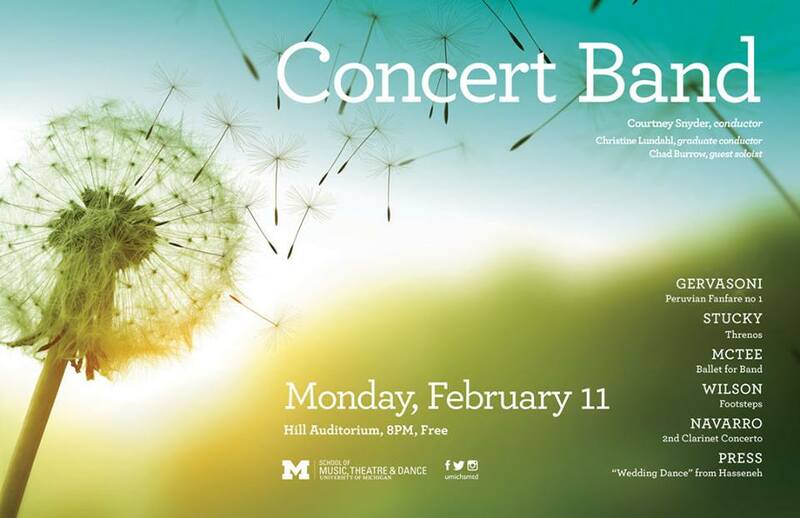 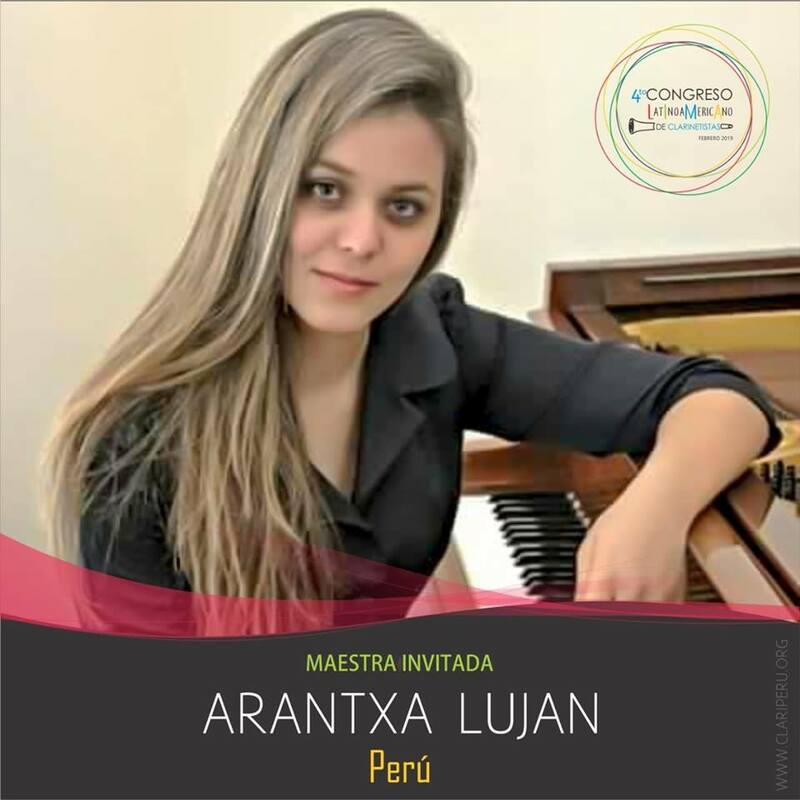 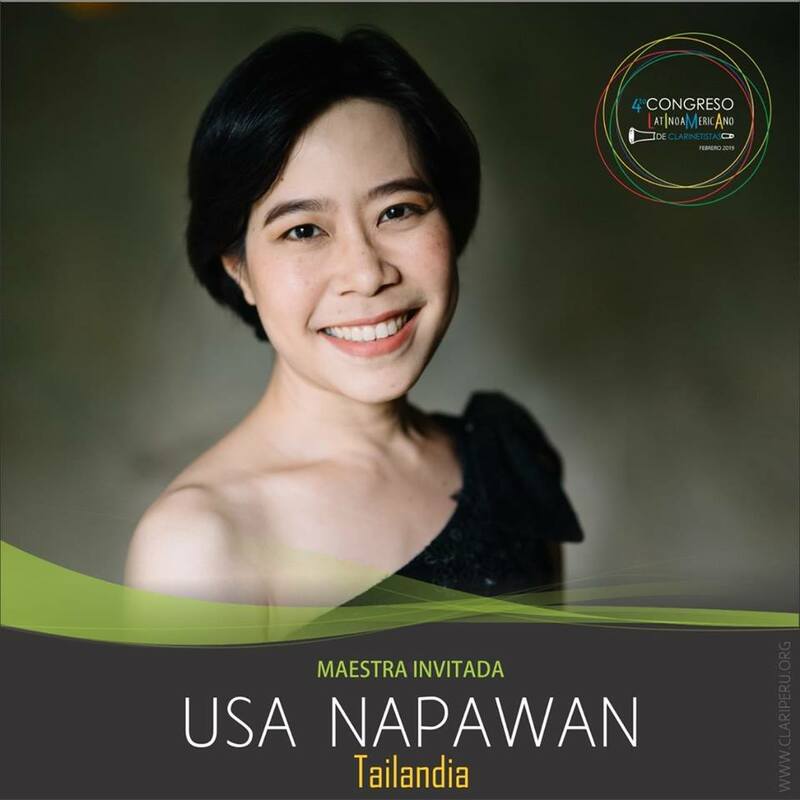 All the Prize winners will have the opportunity to take part in the Final Concert on February 13, 2019. 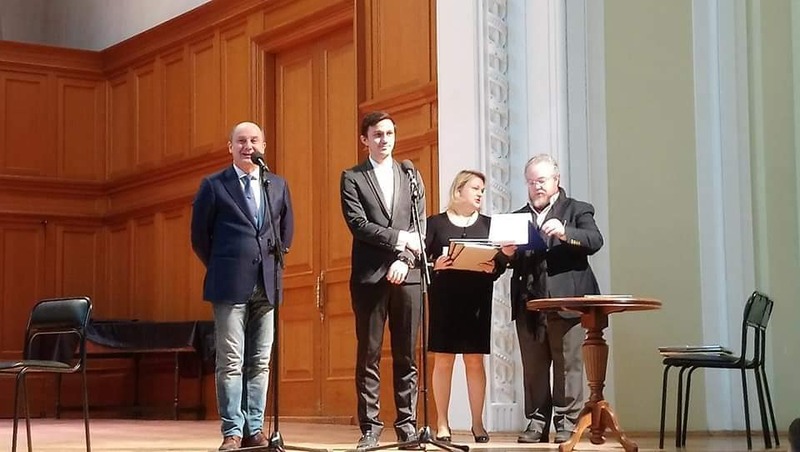 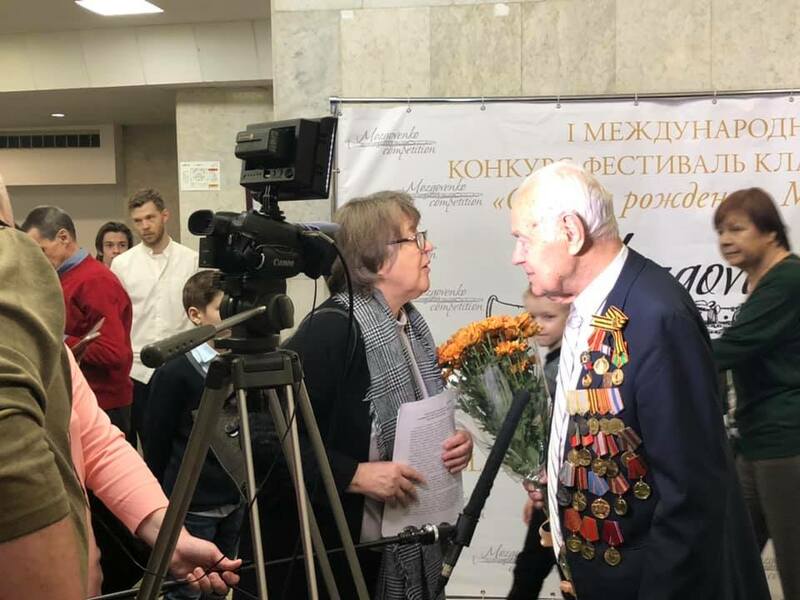 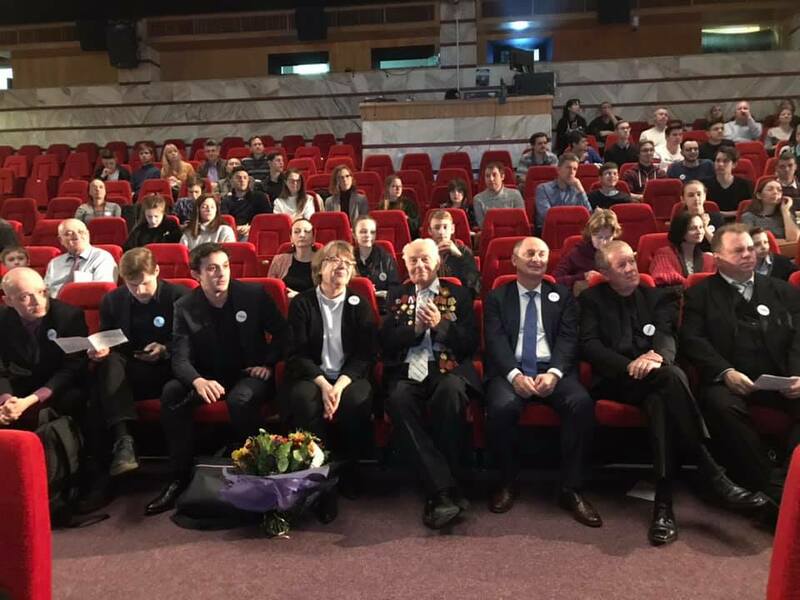 Interregional charitable public Fund "New names" named After I. N. Voronova presents the winners of one scholarship and one ticket to the international Summer creative school "New names" in Suzdal. 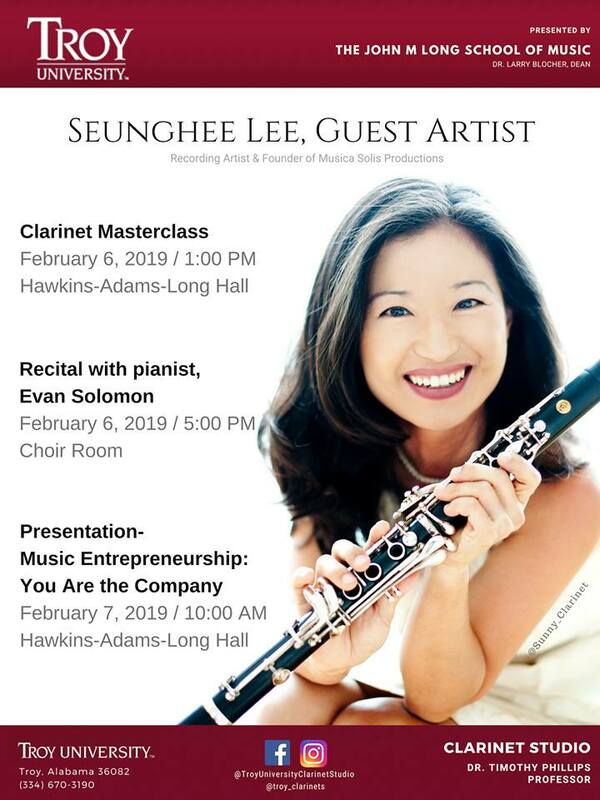 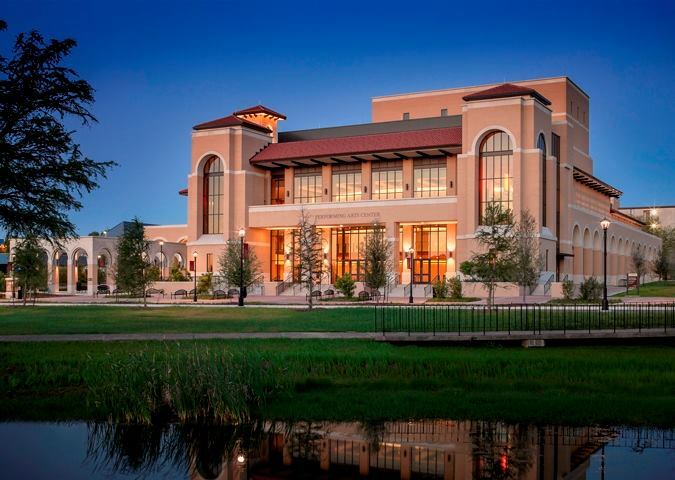 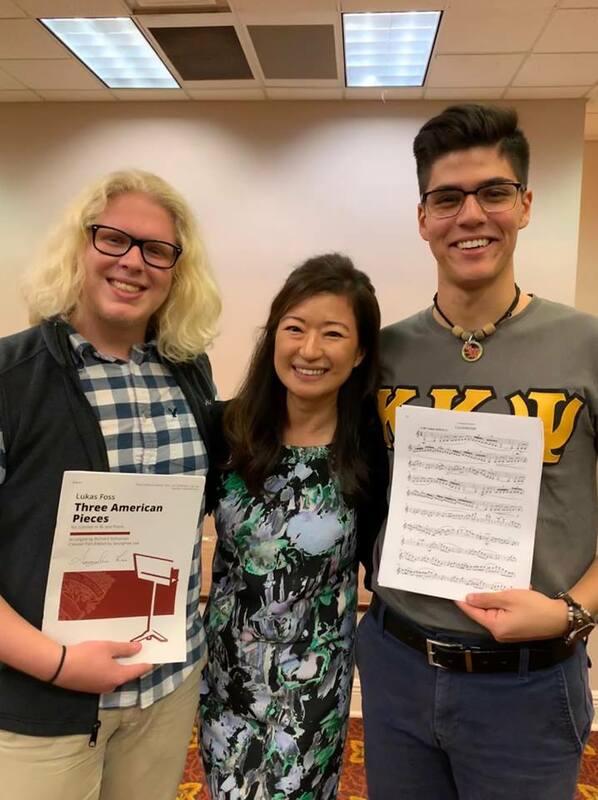 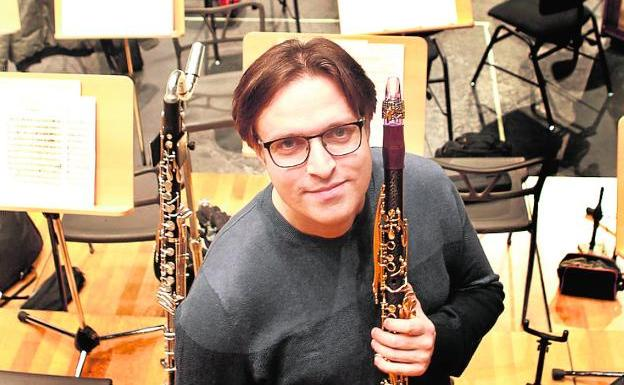 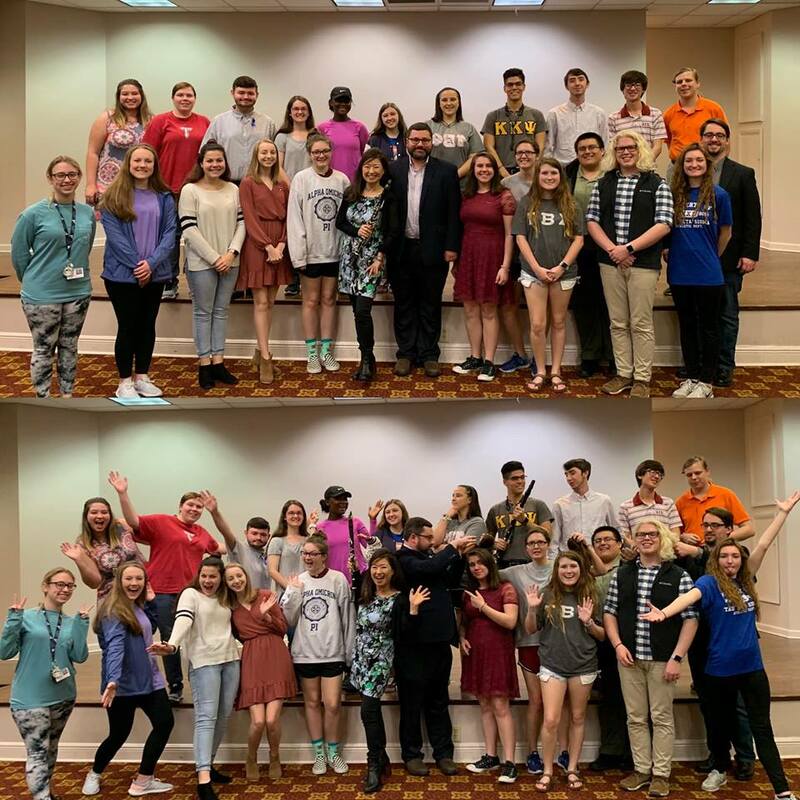 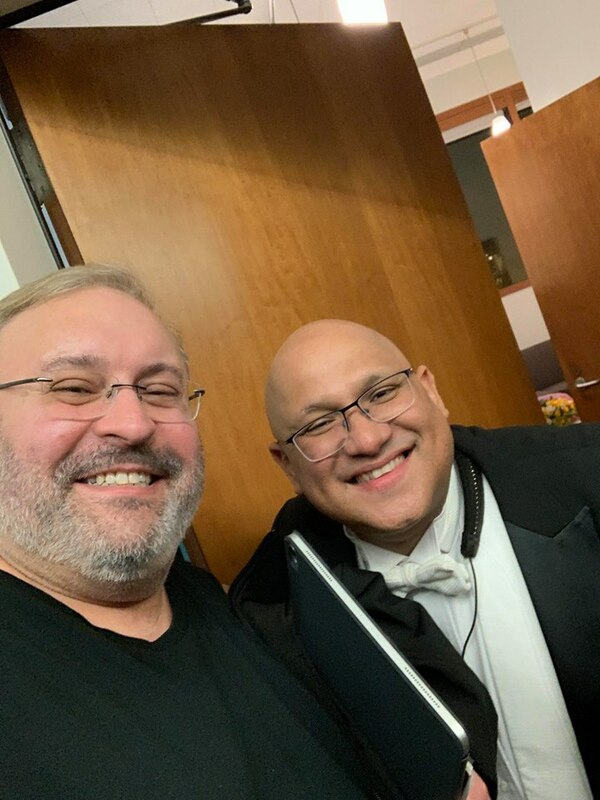 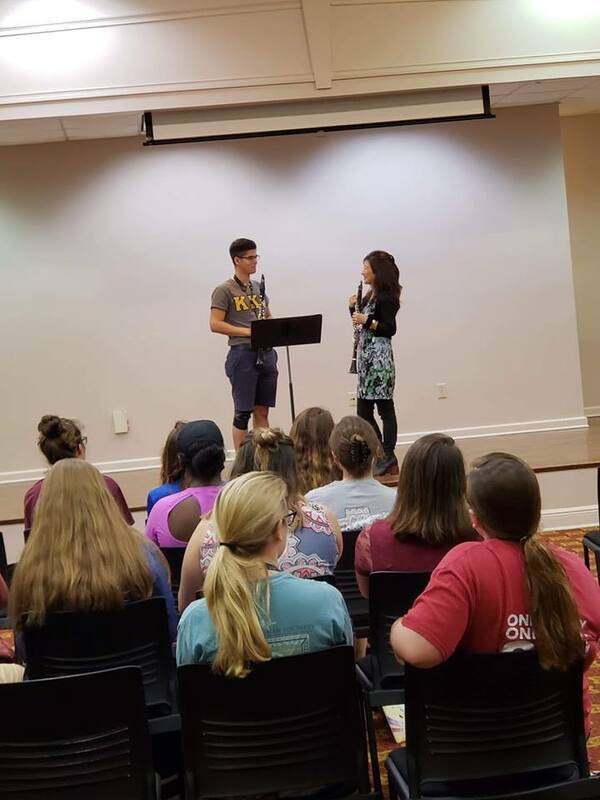 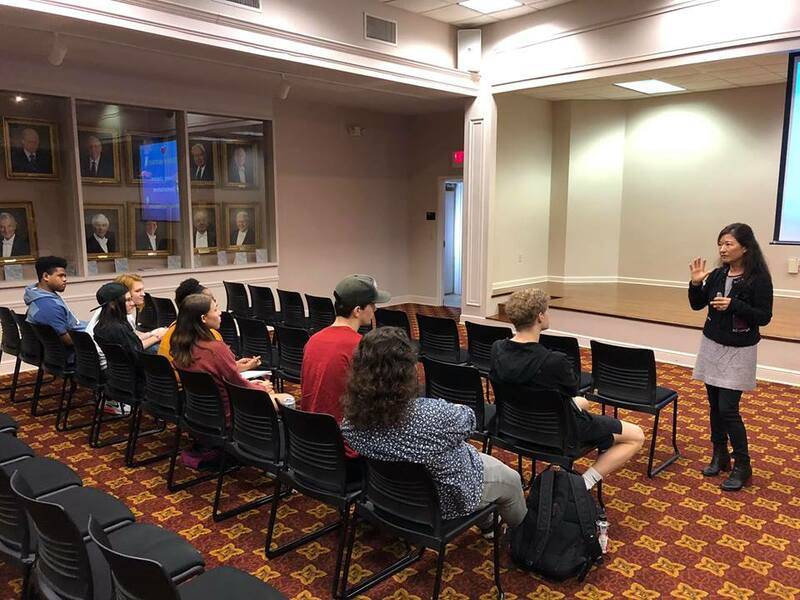 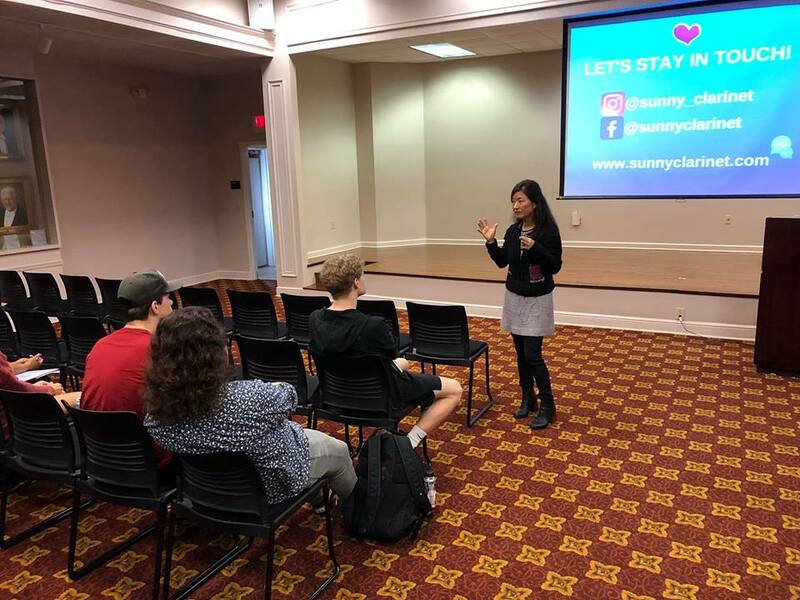 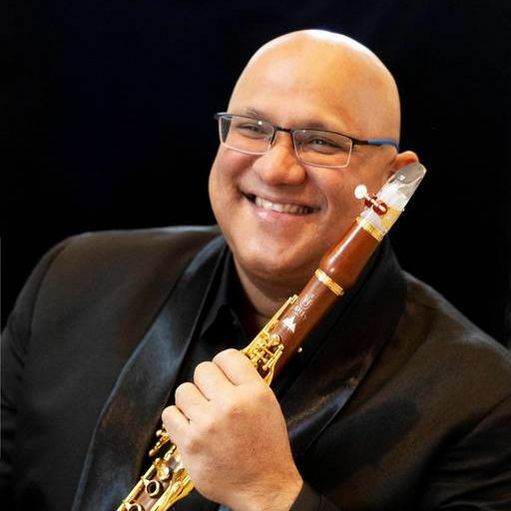 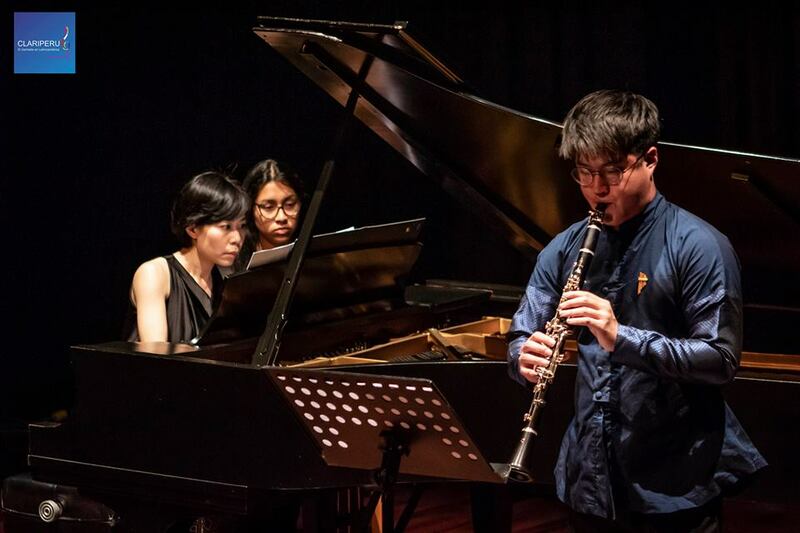 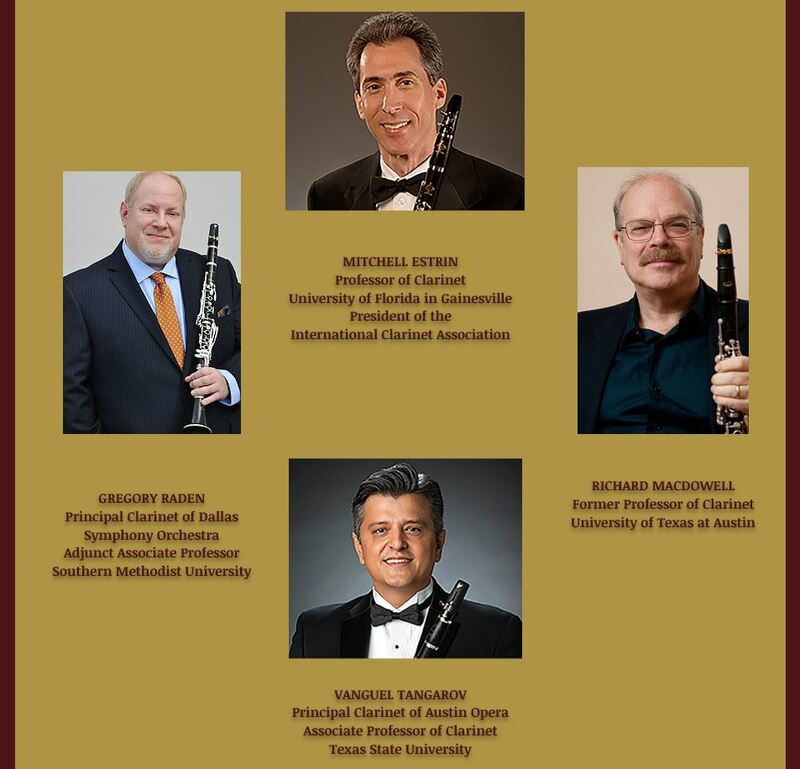 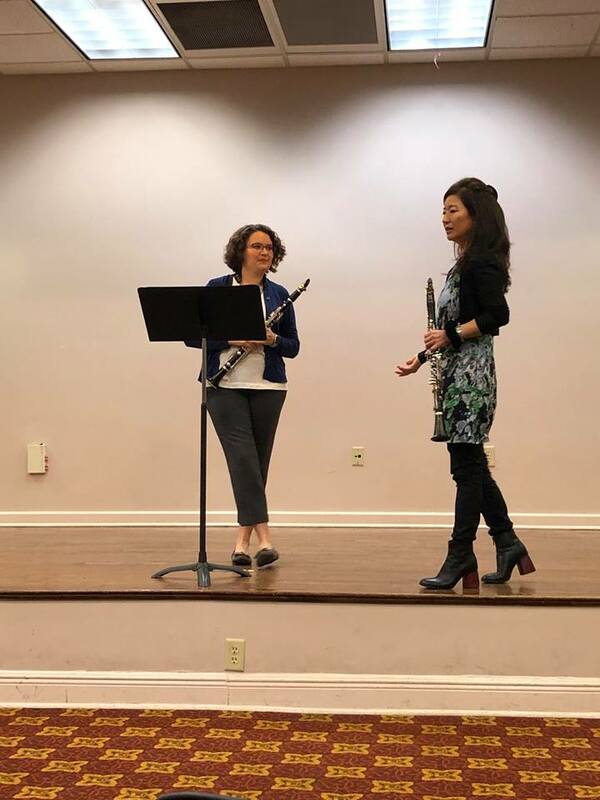 Throughout Saturday February 9, 2019, the fourth Clarinet Fiesta took place at the School of Music at Texas State University. 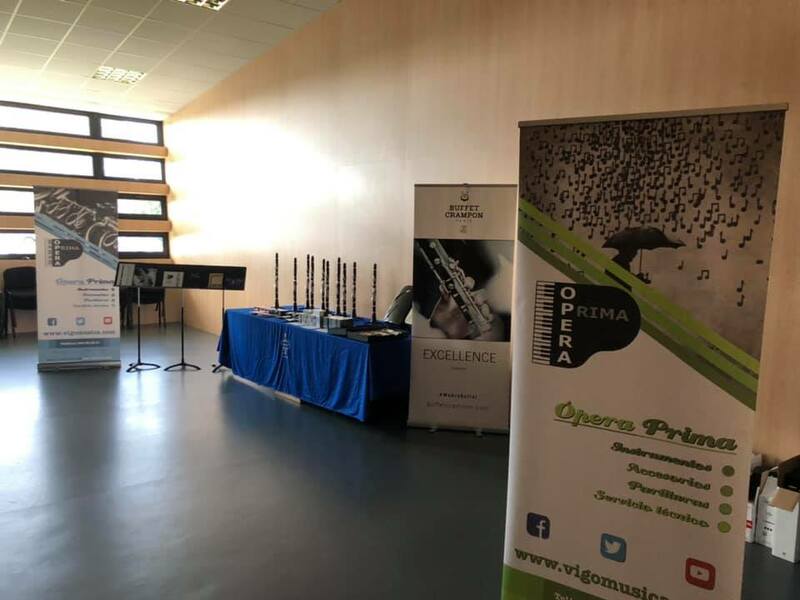 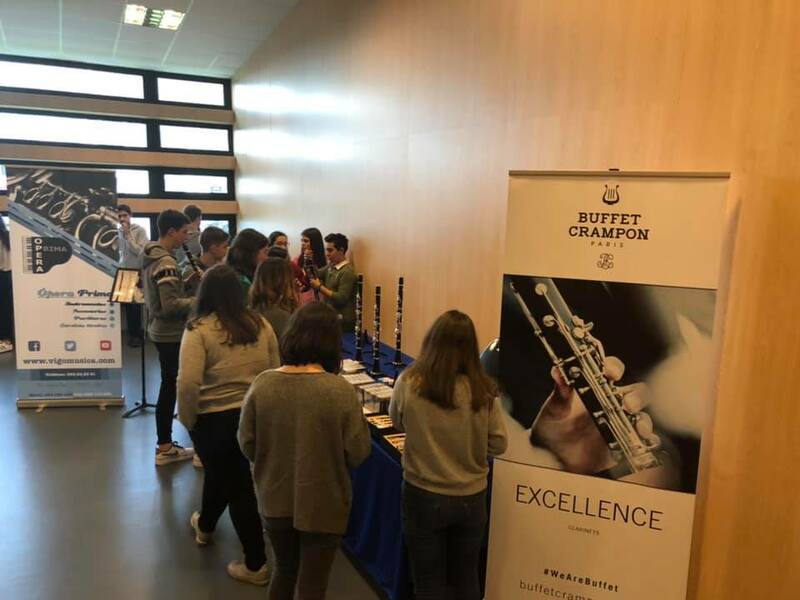 The Clarinet Fiesta started off in the lobby with a clarinet exhibition showcasing all of the Buffet Crampon line of clarinets. 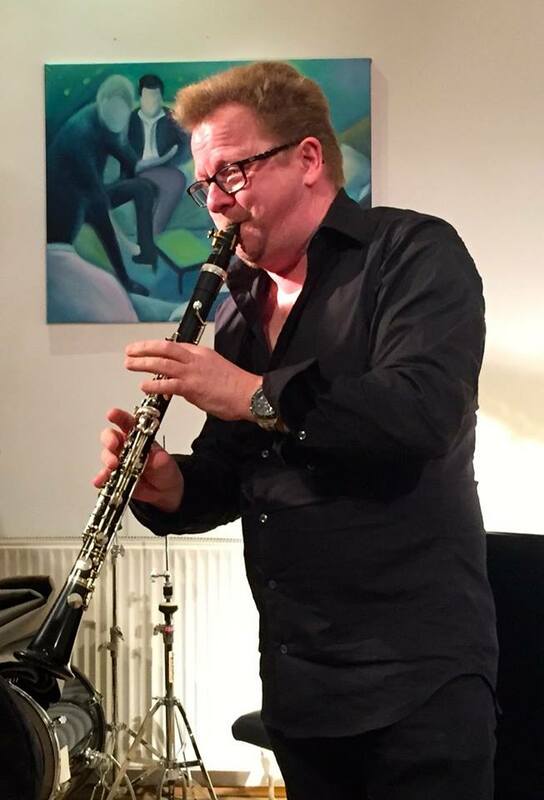 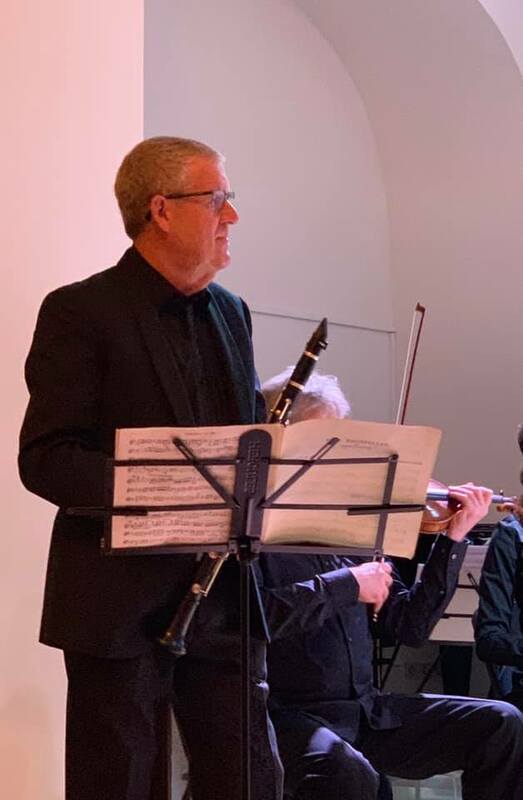 Then there was a Reeds Selection and Care lecture given by clarinetist Richard MacDowell. 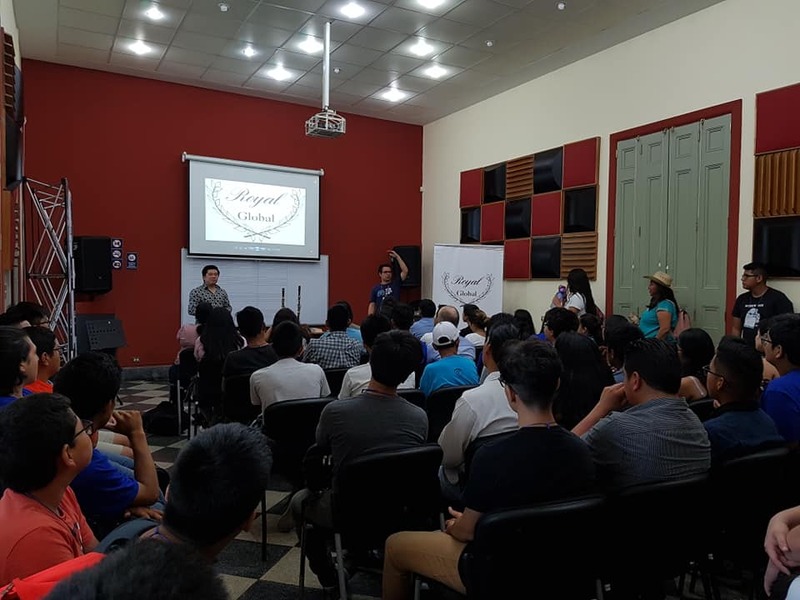 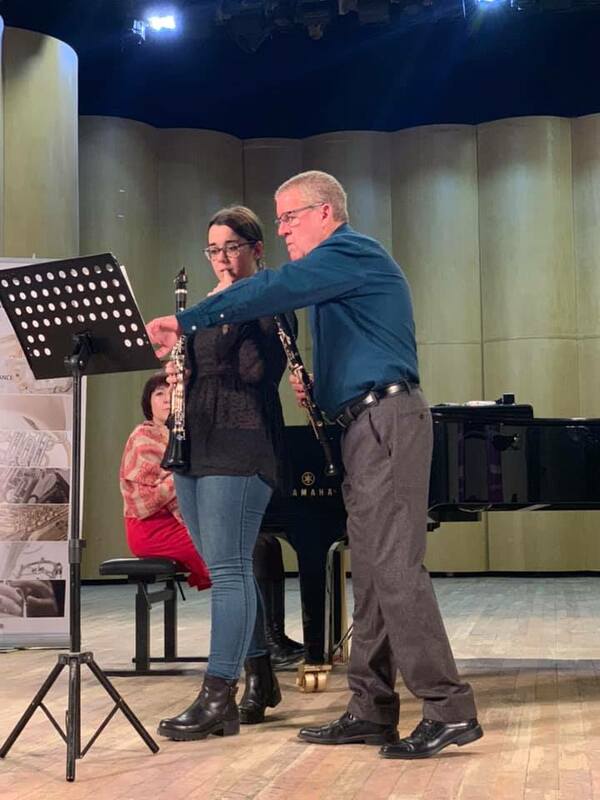 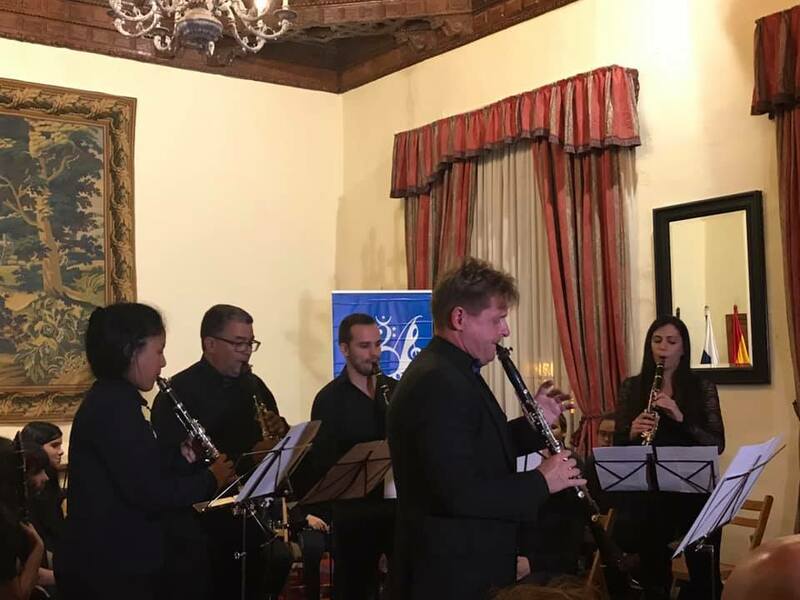 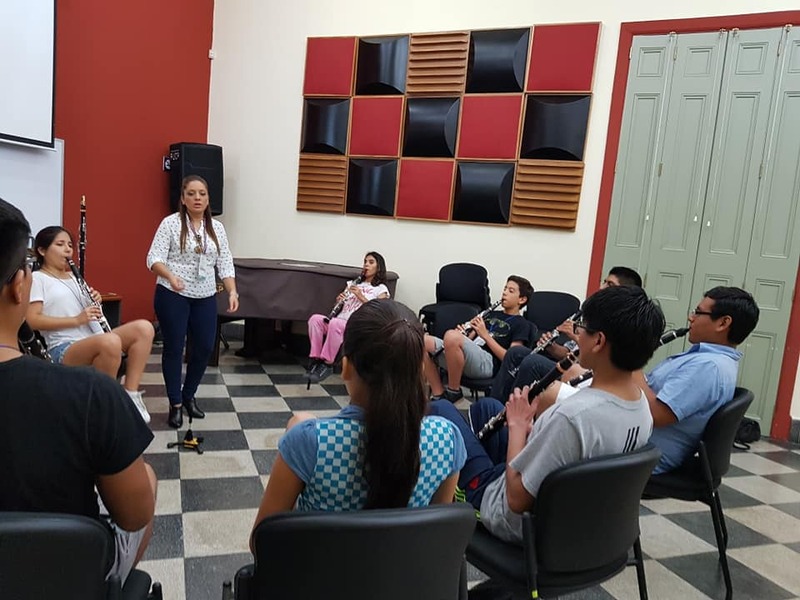 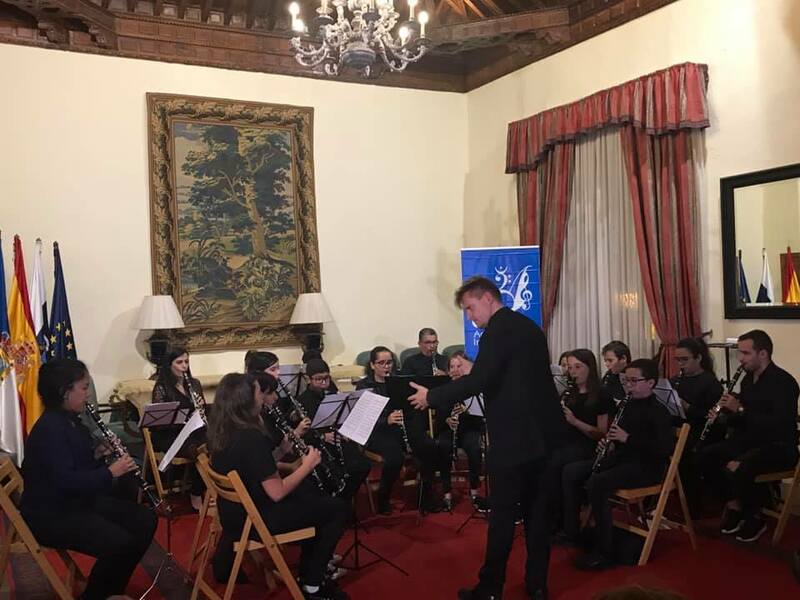 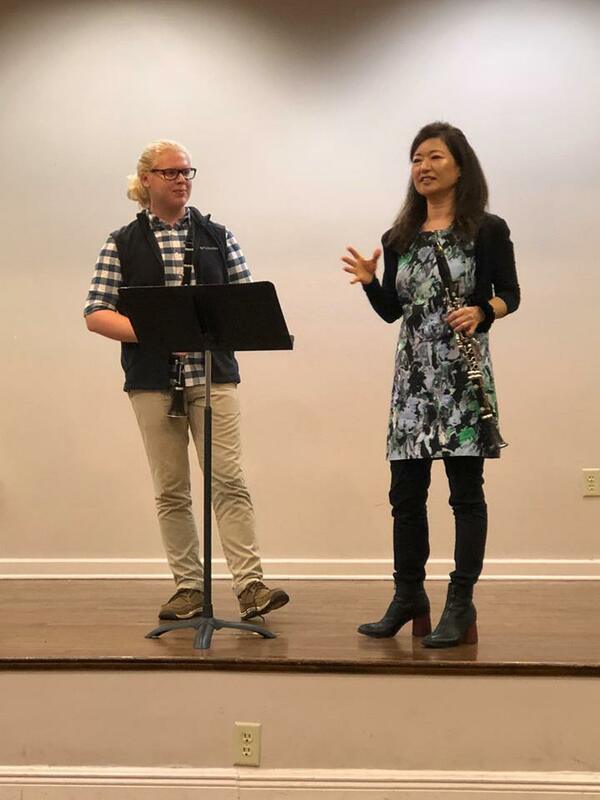 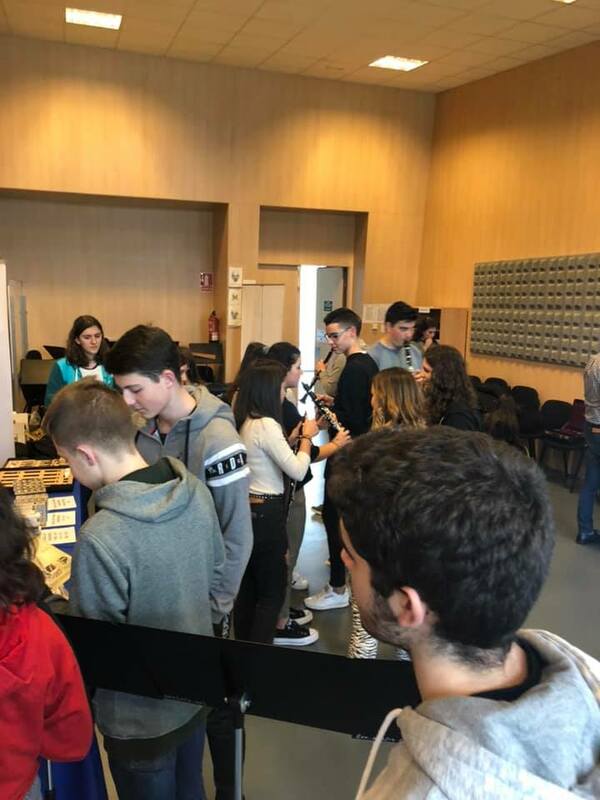 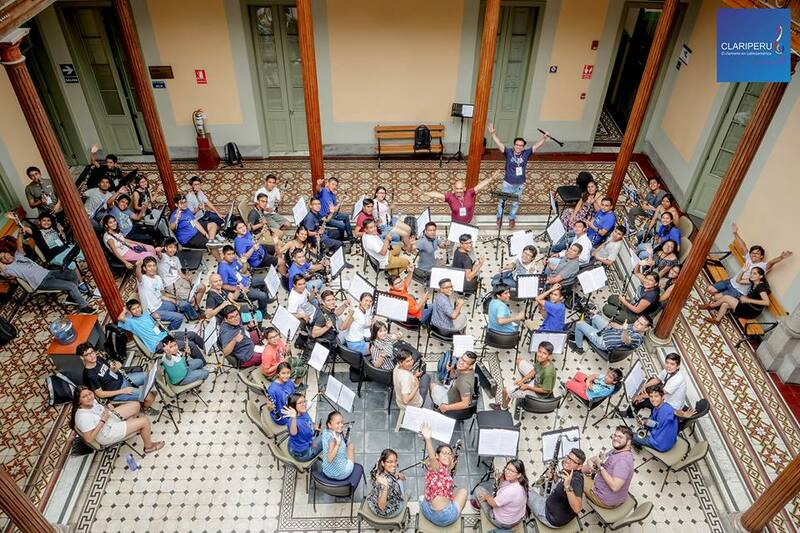 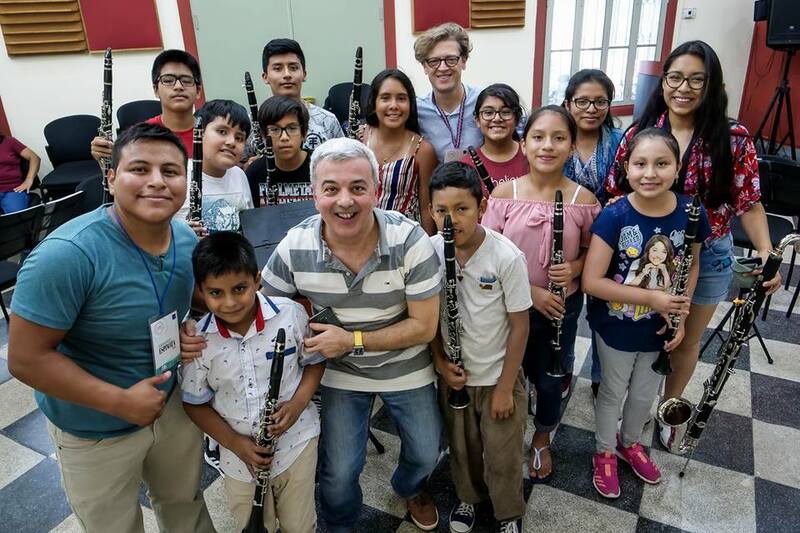 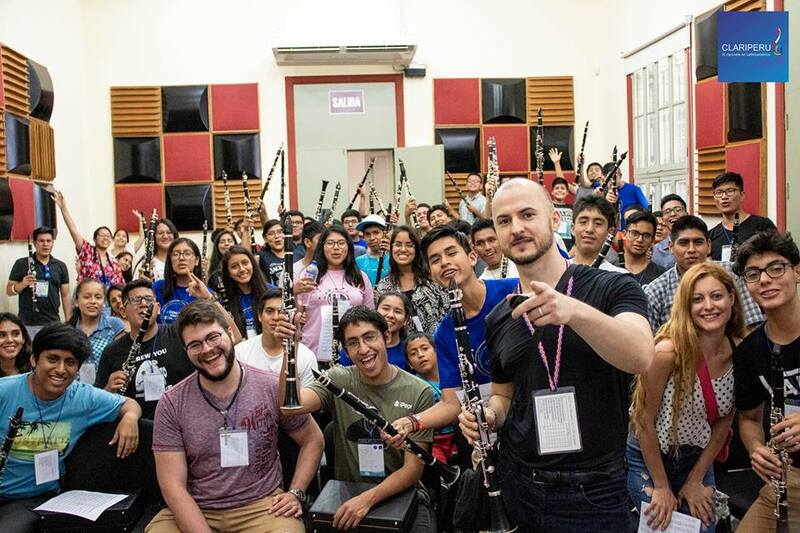 The lecture showed Clarinet Fiesta participants the importance of taking care of their reeds and making sure to have the proper items to adjust and enhance their reeds to their liking. 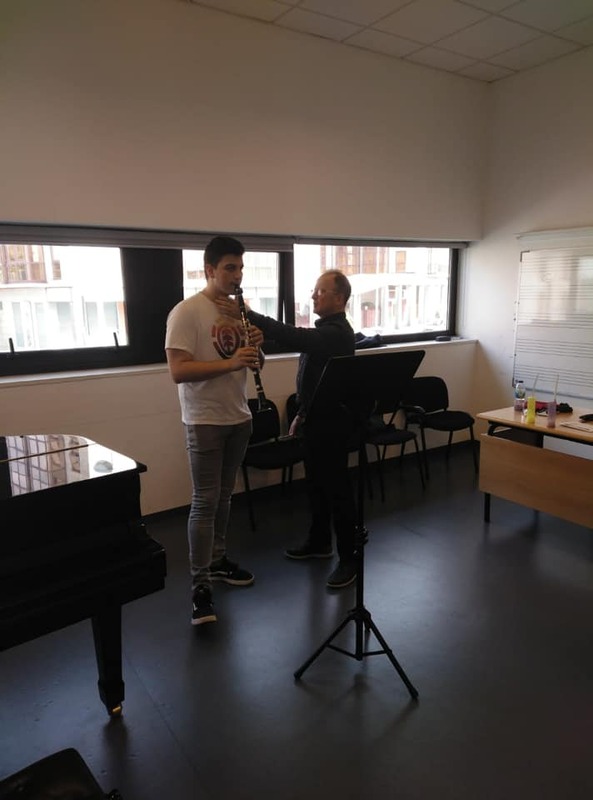 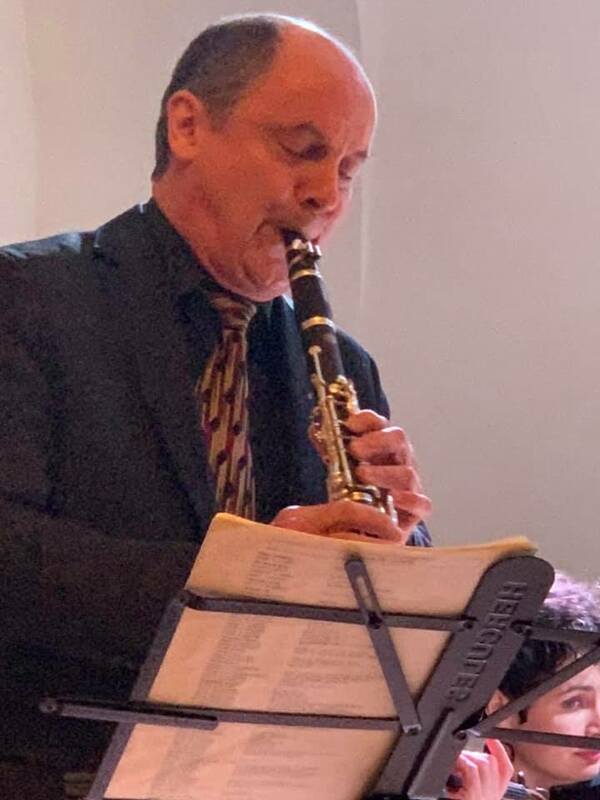 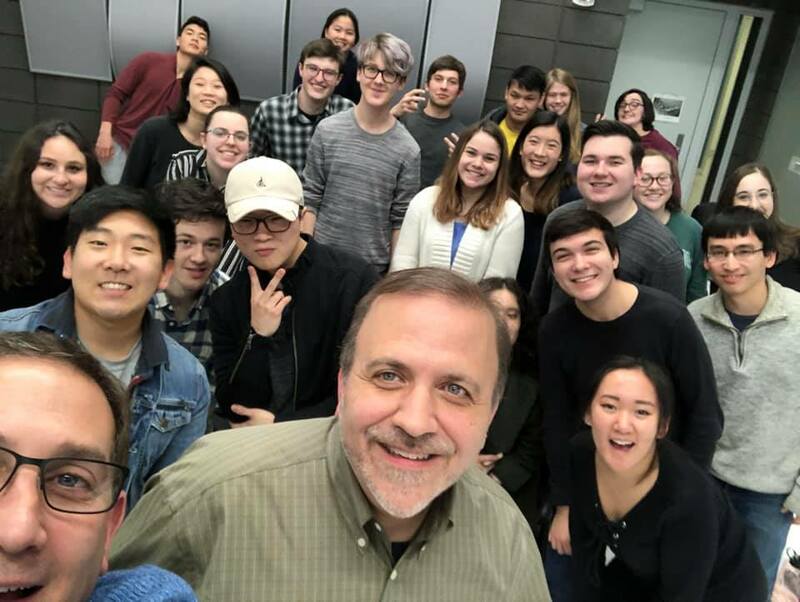 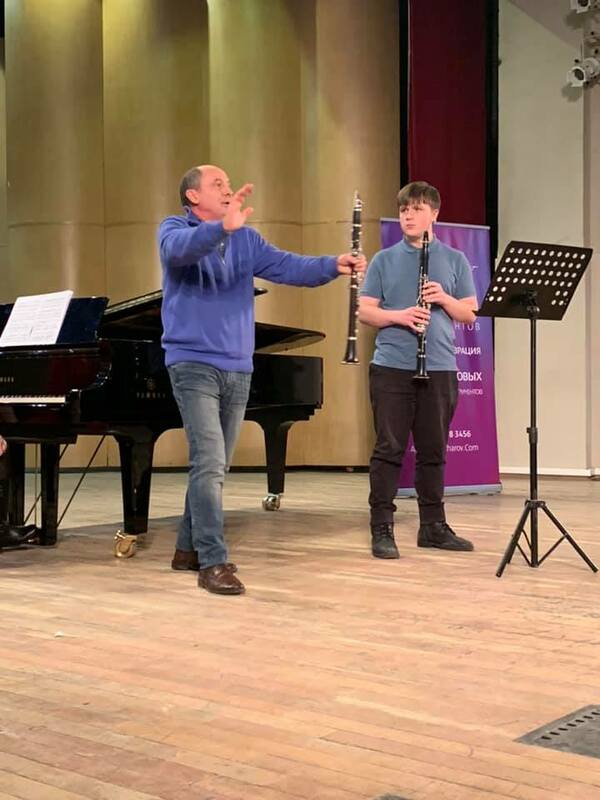 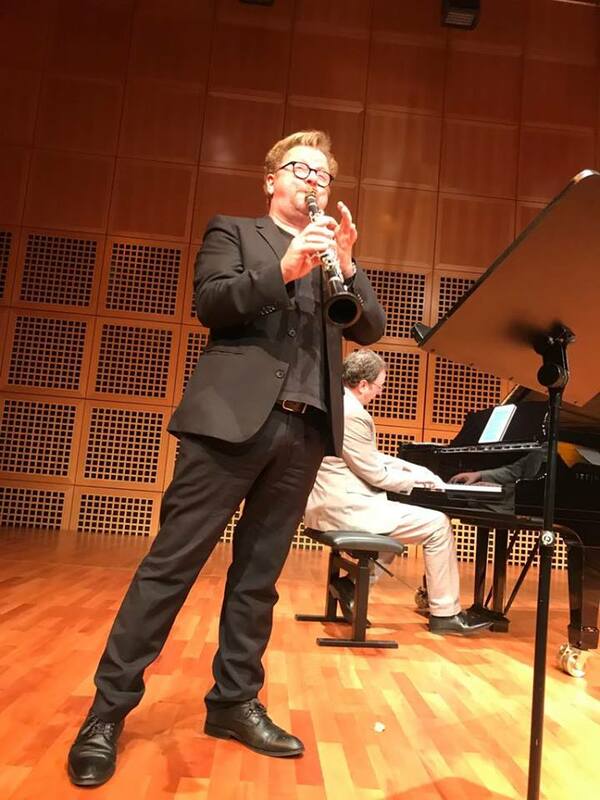 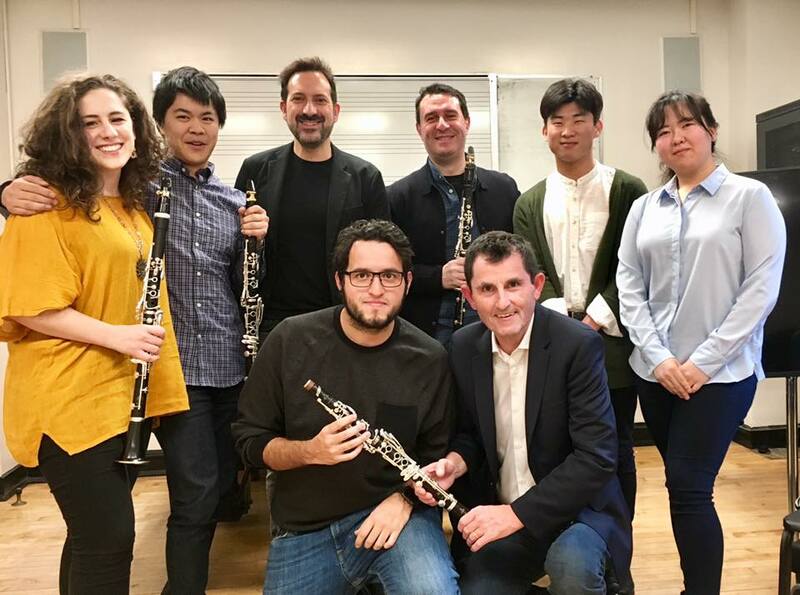 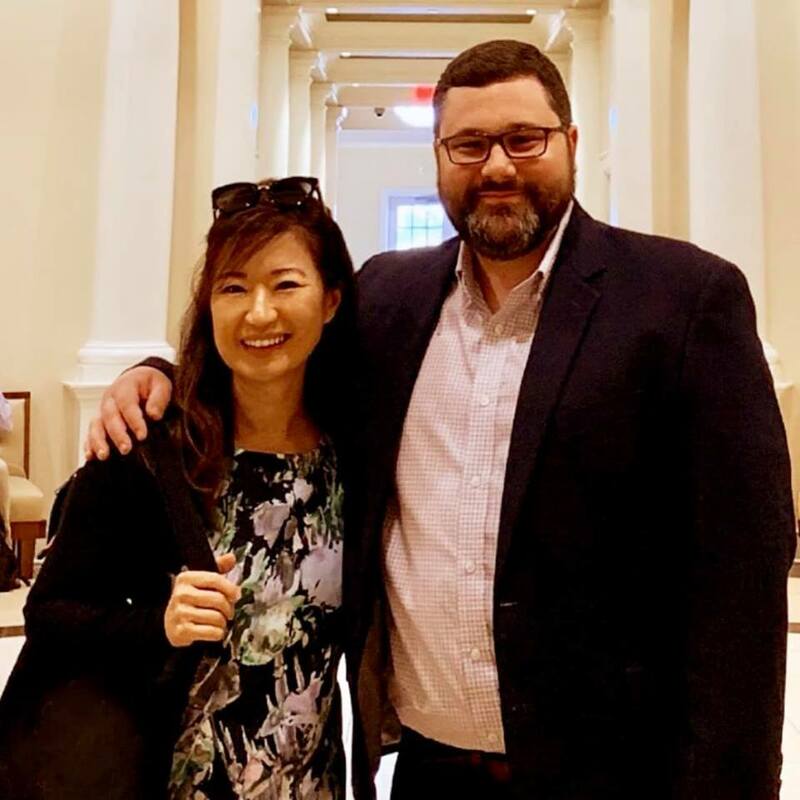 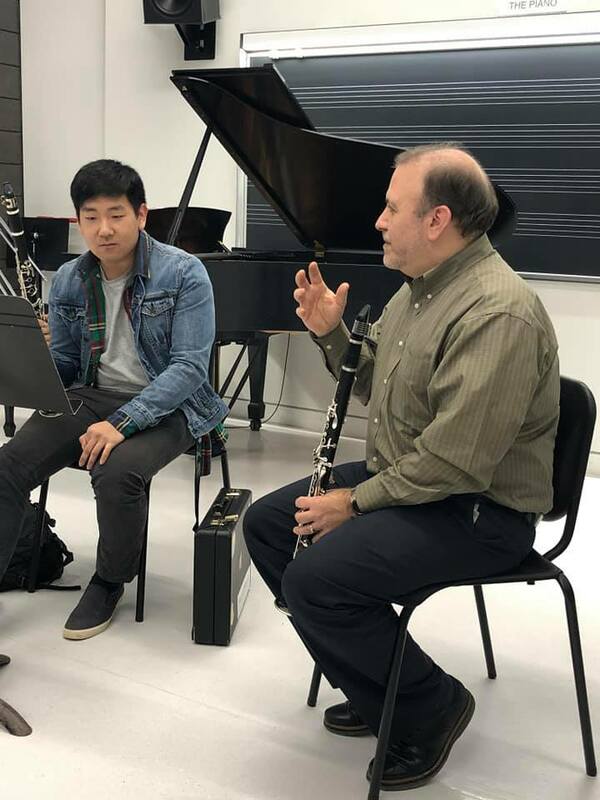 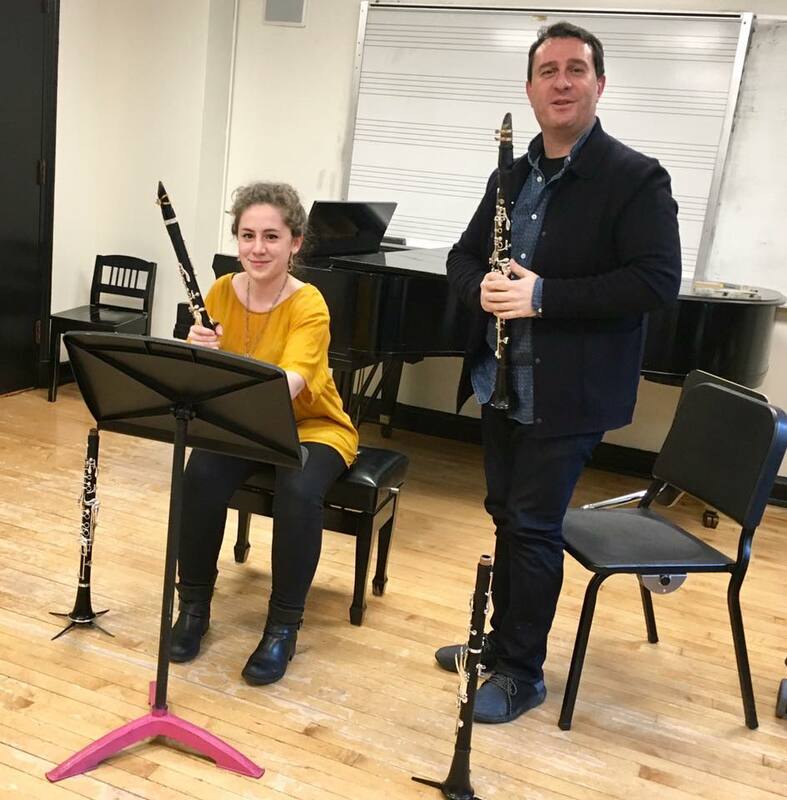 Later on, Principal Clarinet of Dallas Symphony Orchestra, Gregory Raden gave a master class where he helped four students refine the solo of their choice. 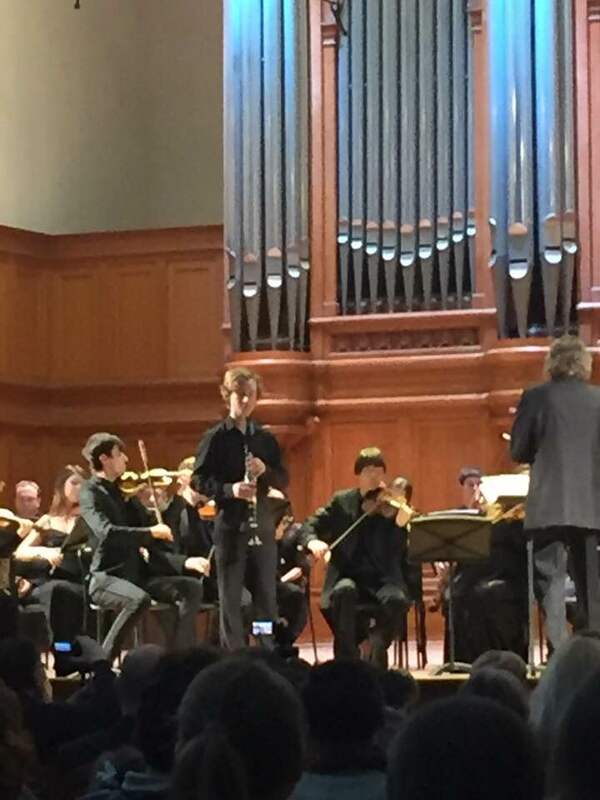 Solo included Debussy Premiere Rhapsody, Bassi, Rigoletto, and Mozart Concerto Expo, Orchestral Excerpts. 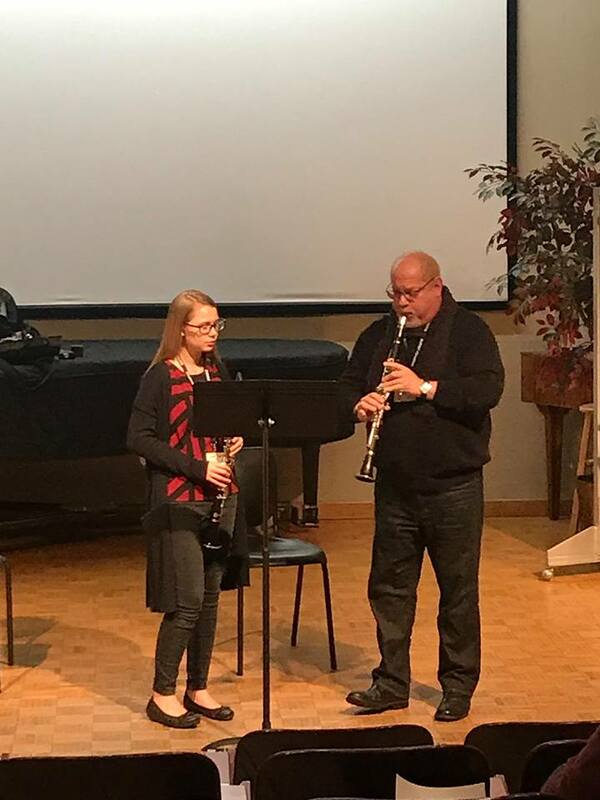 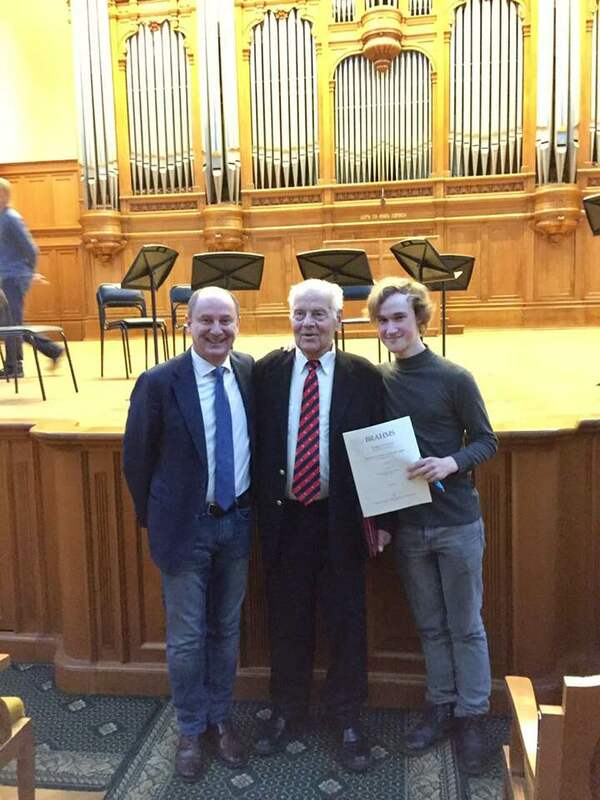 After the Raden Masterclass, Richard MacDowell held a masterclass of his own where he helped three students improve their solos as well. 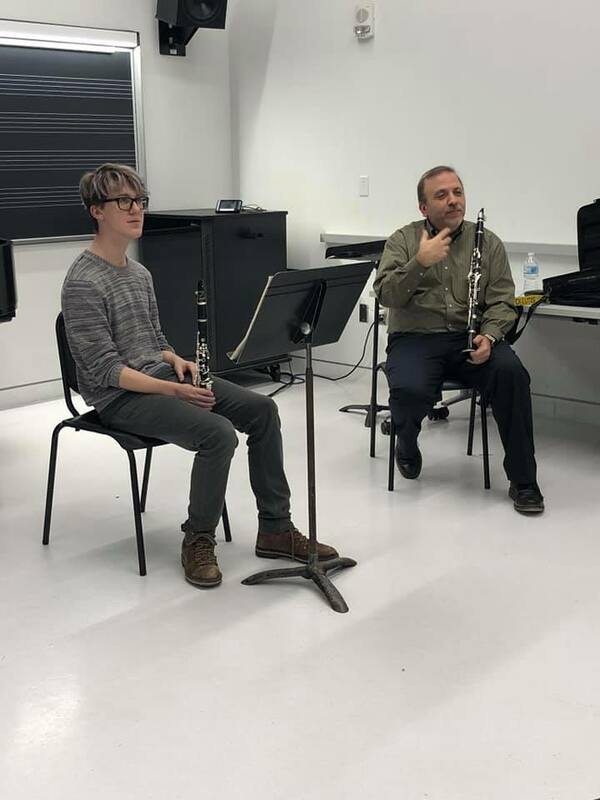 Then the participants continued the clarient fiesta and made their way to their clarinet rehearsal with guest conductor Mitchell Estrin. 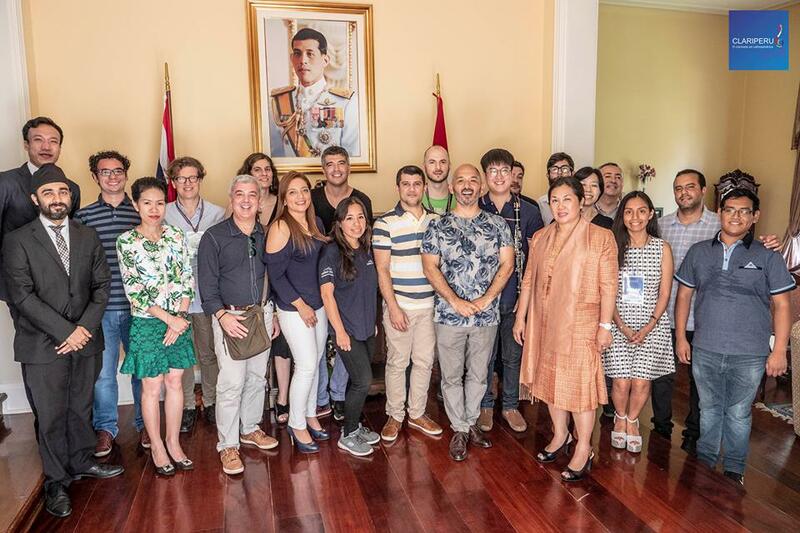 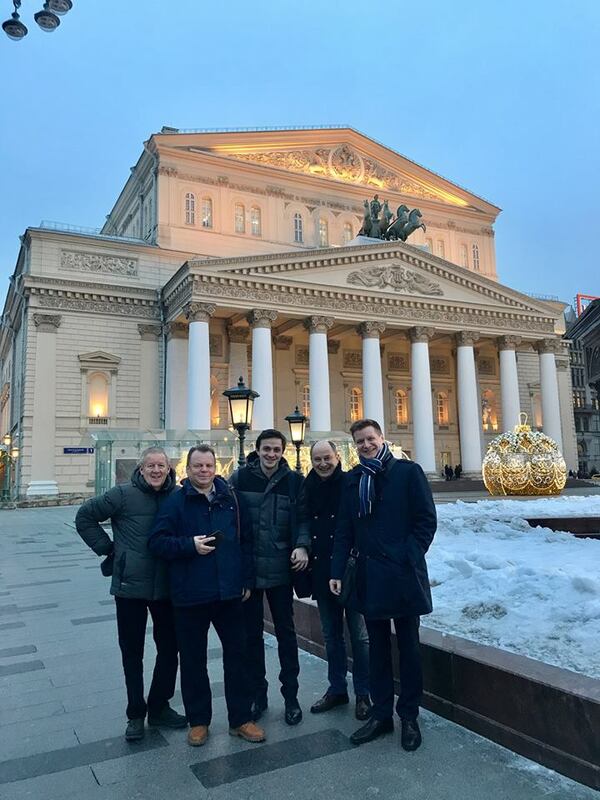 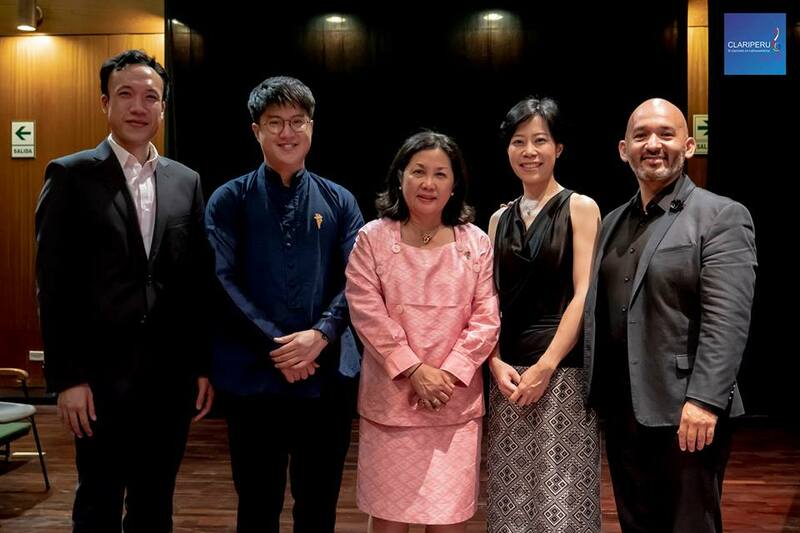 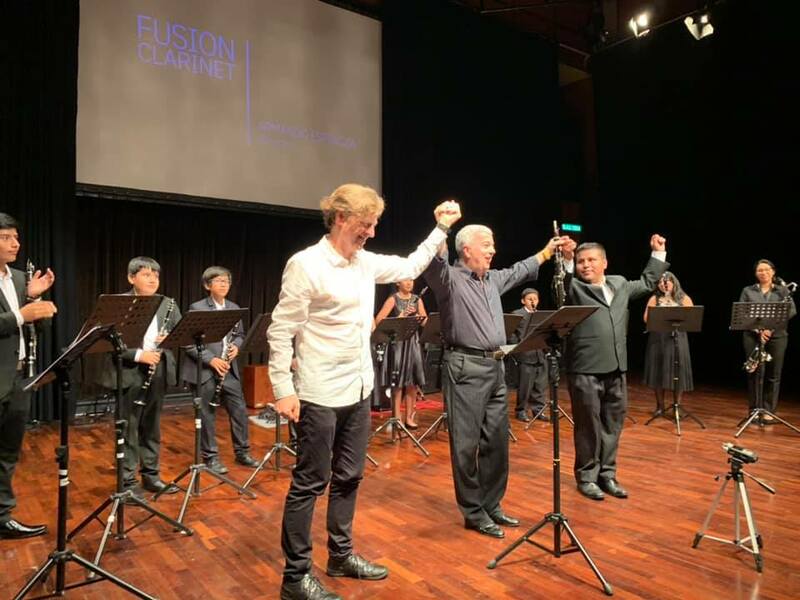 The participants were joined by the guest artist which included, Richard MacDowell, Gregory Raden and Dr. Vanguel Tangarov. 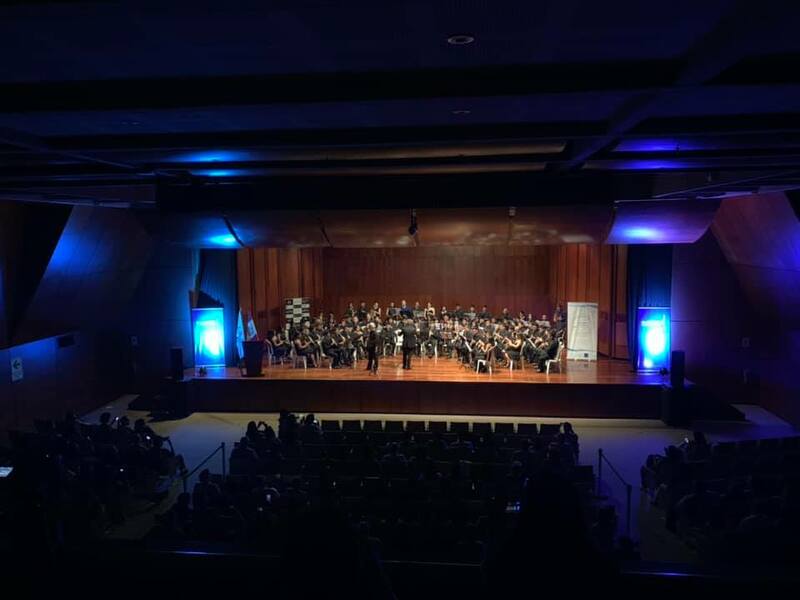 The Clarinet Fiesta participants were able to enjoy the Legendary Count Basie Orchestra, who performed at Evans Auditorium at 7pm. 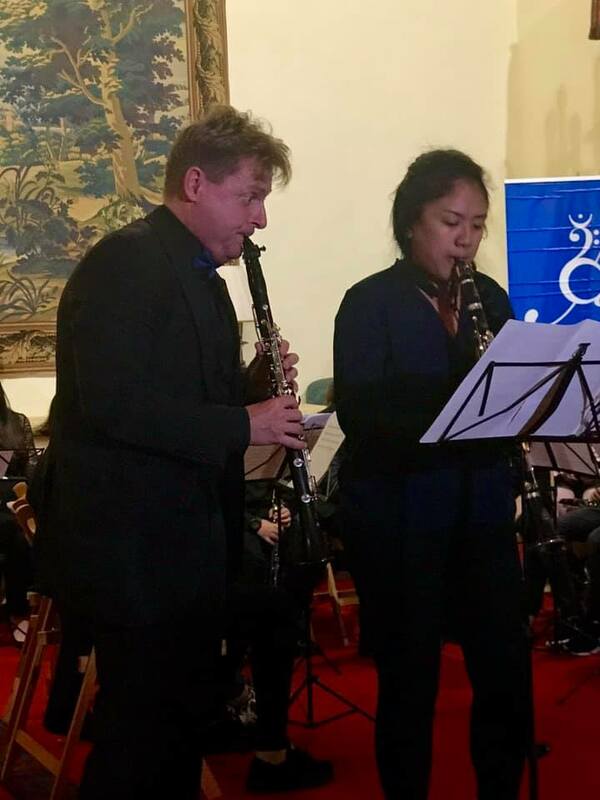 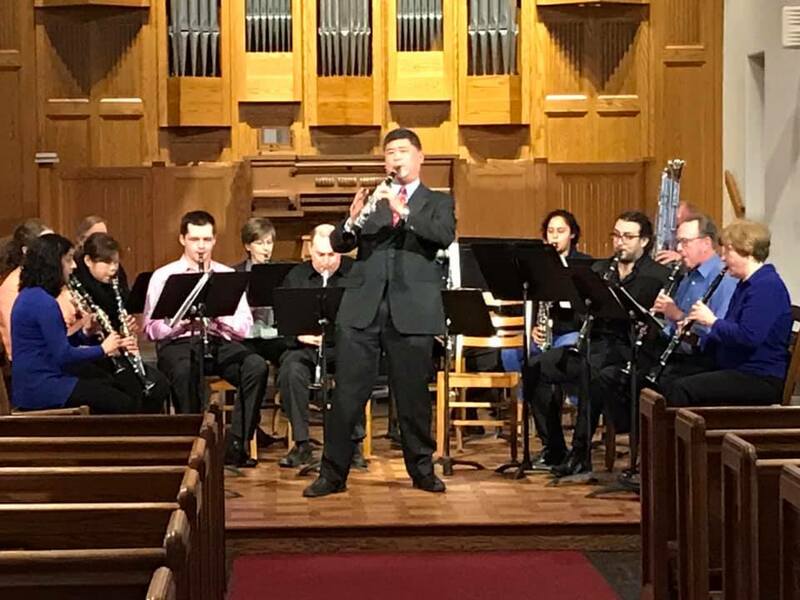 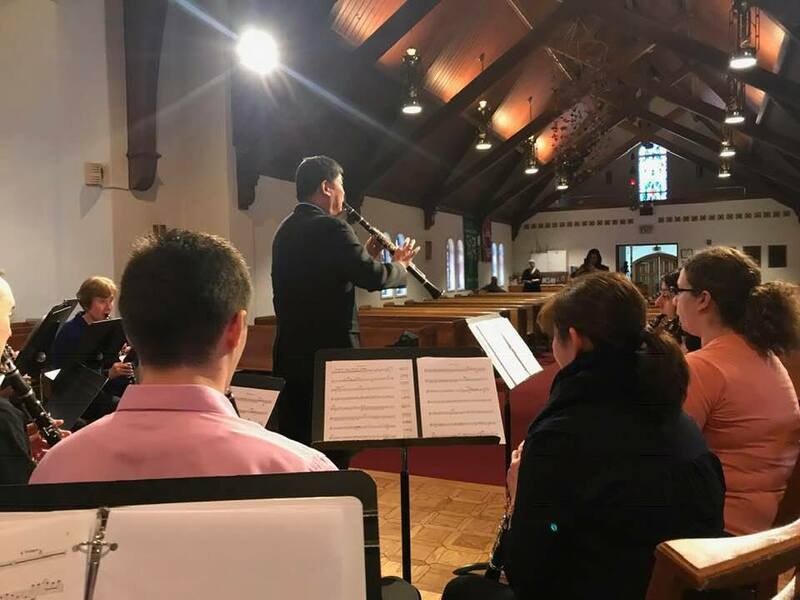 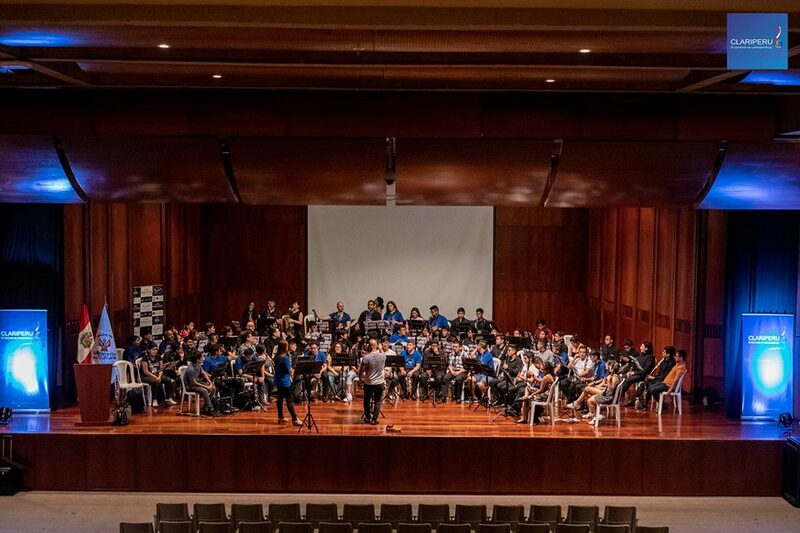 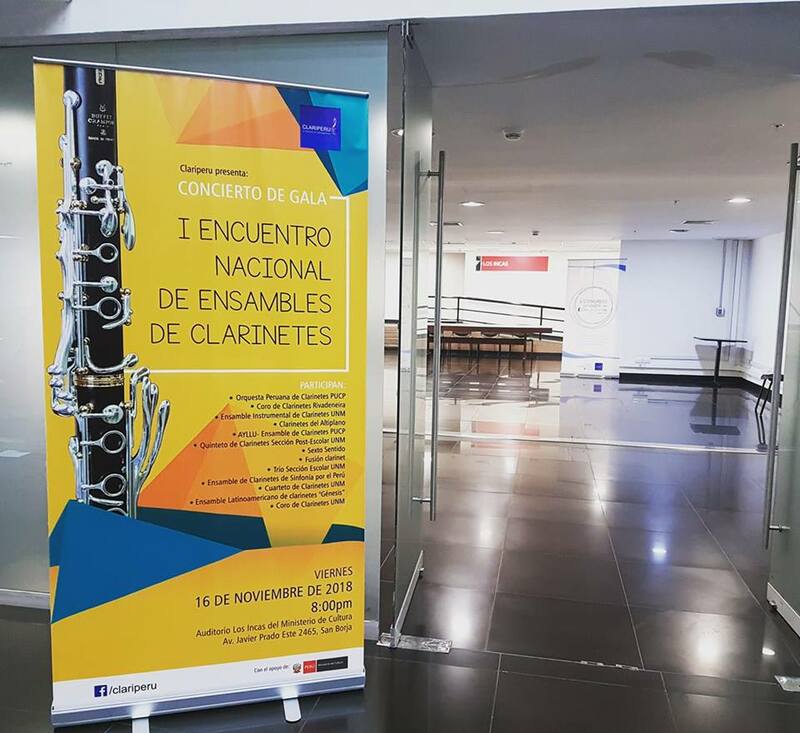 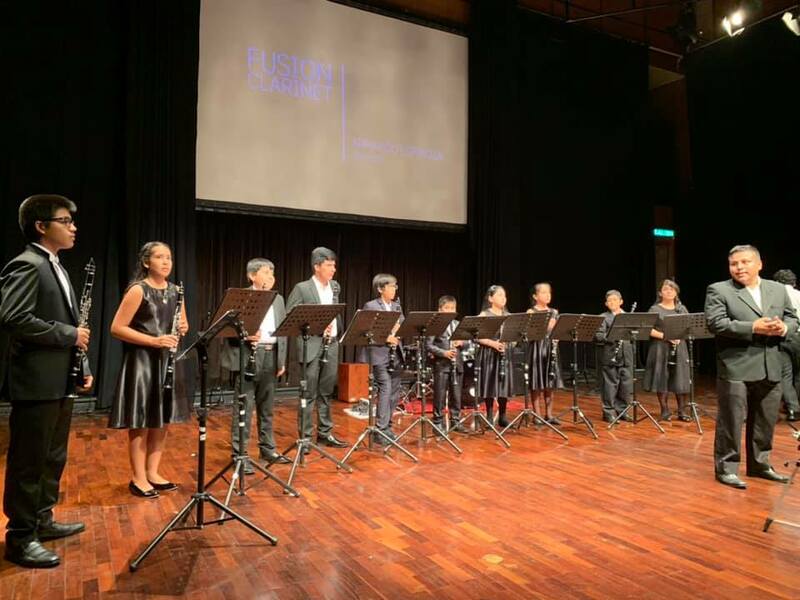 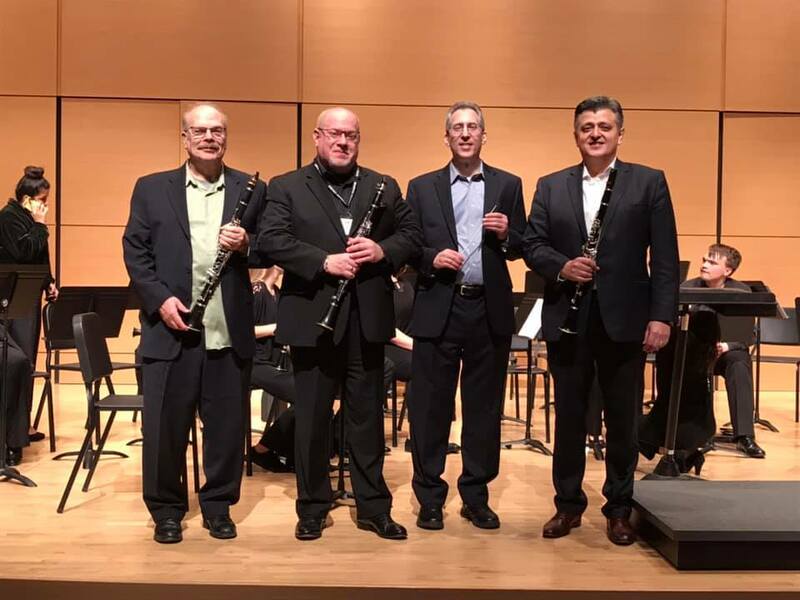 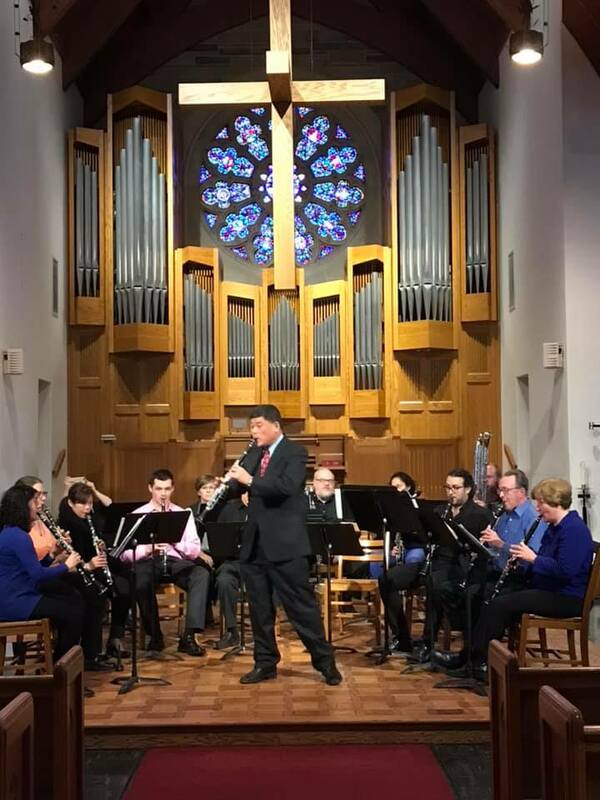 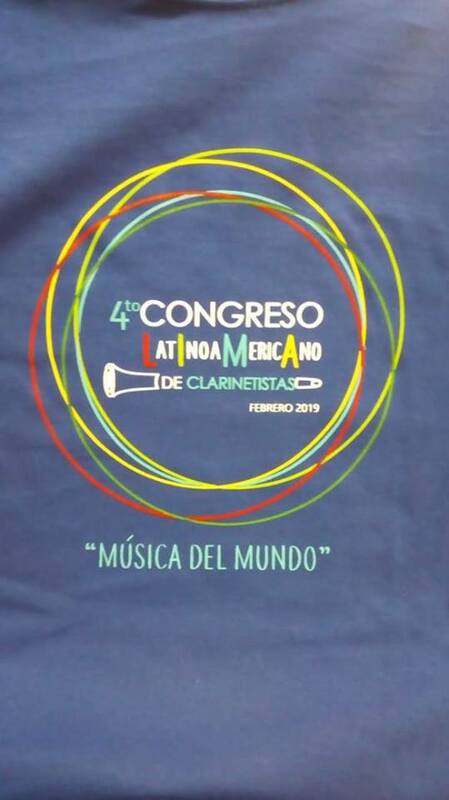 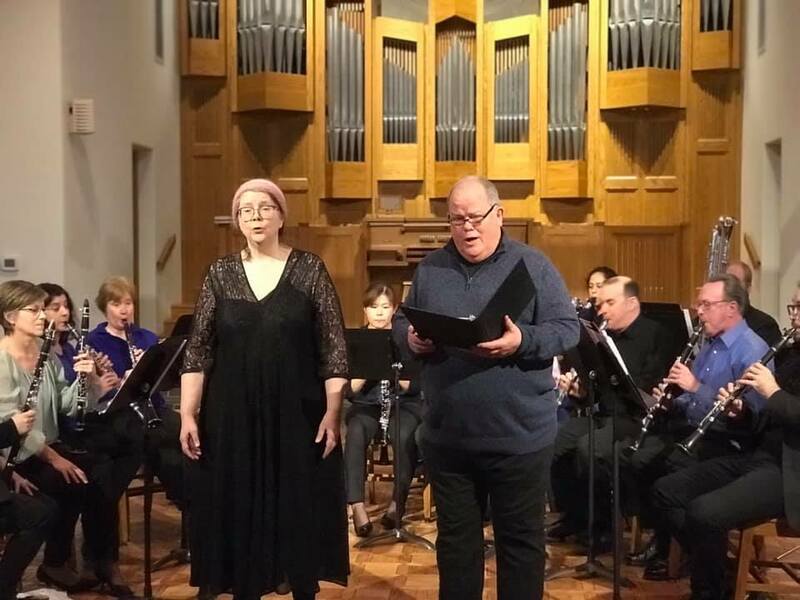 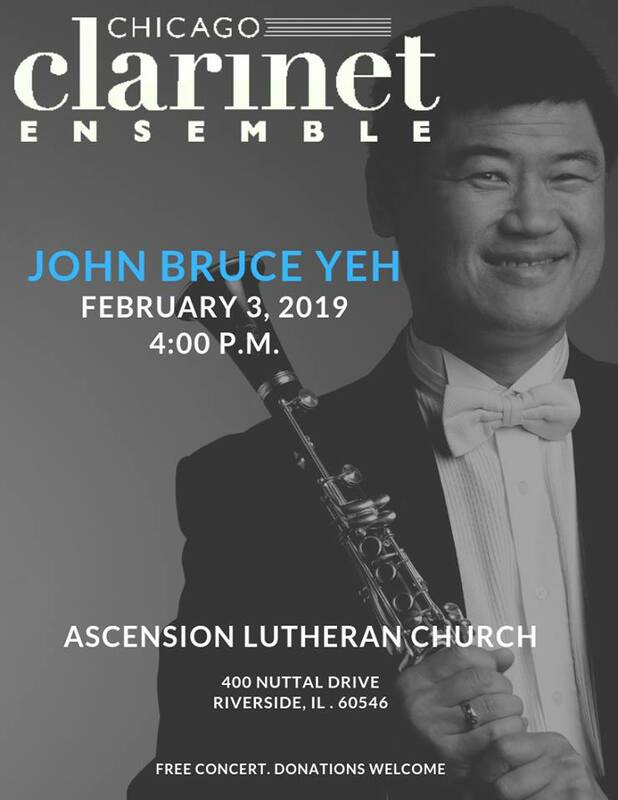 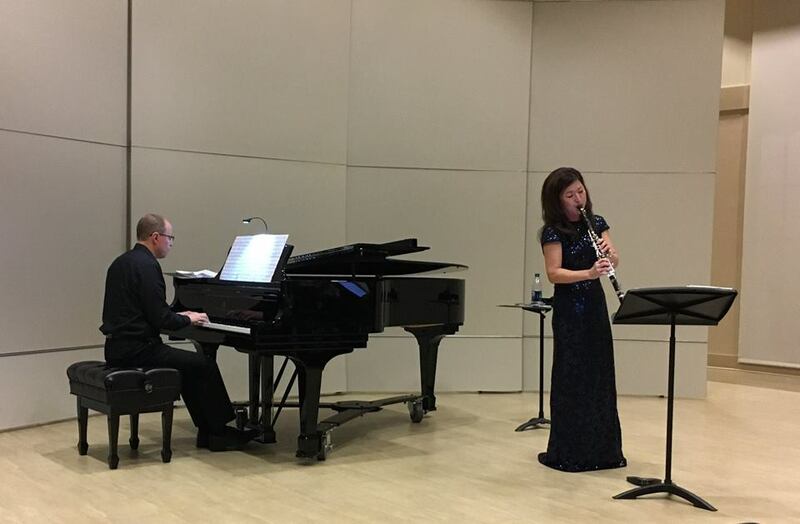 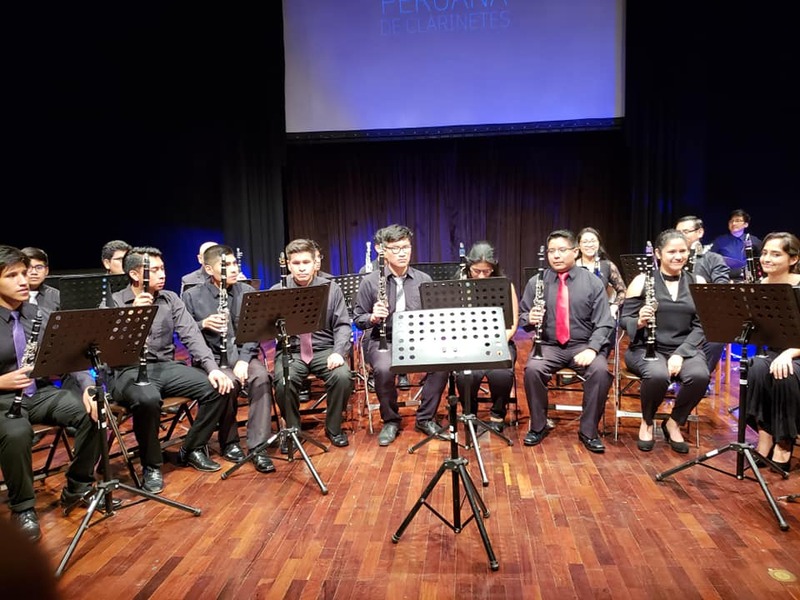 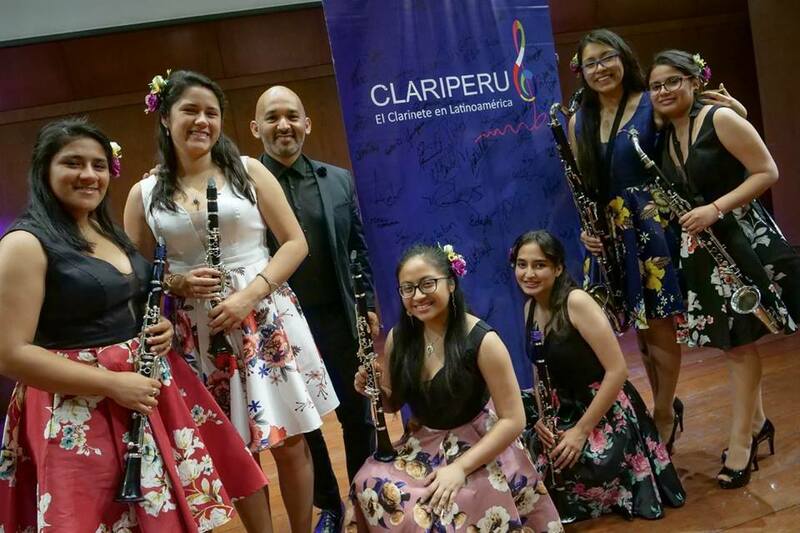 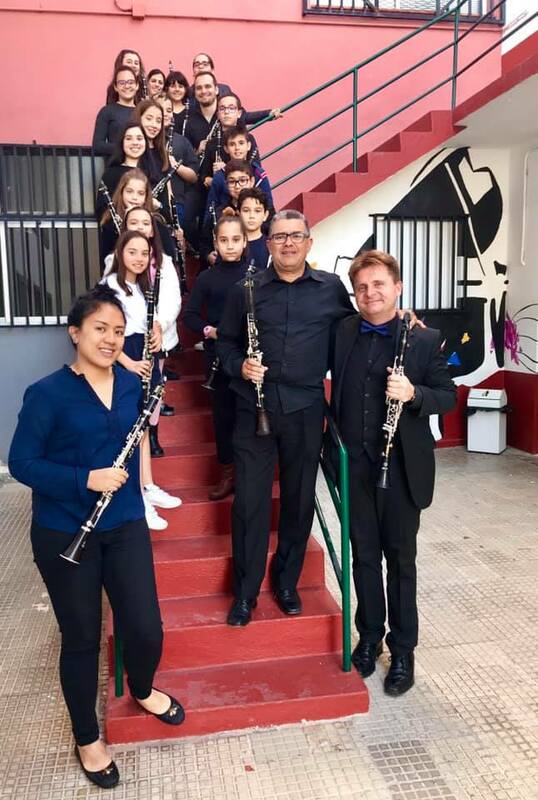 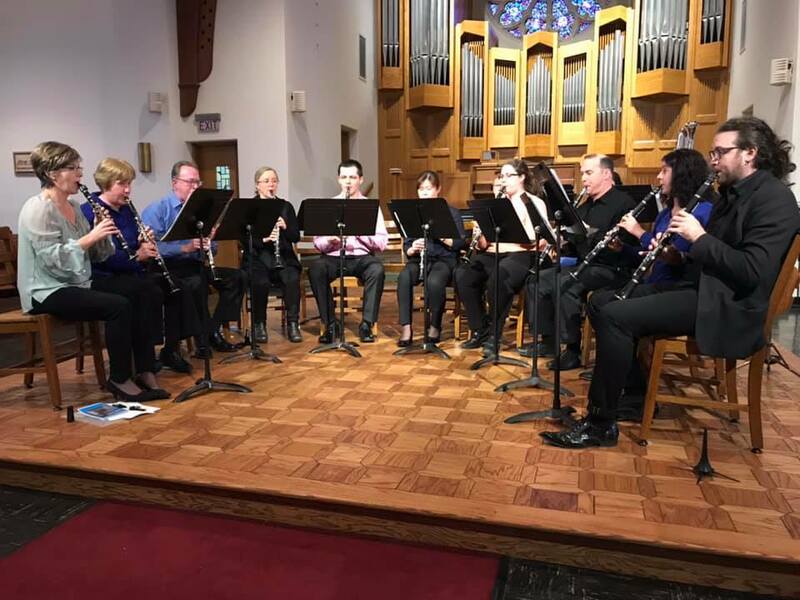 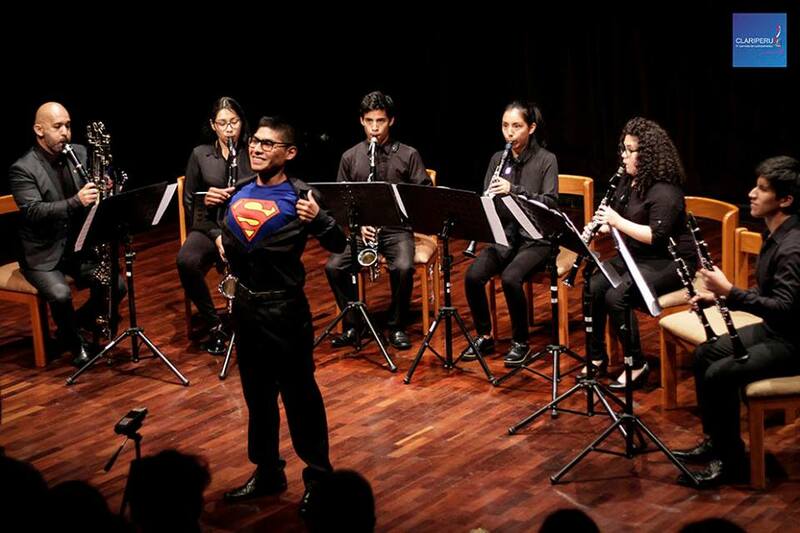 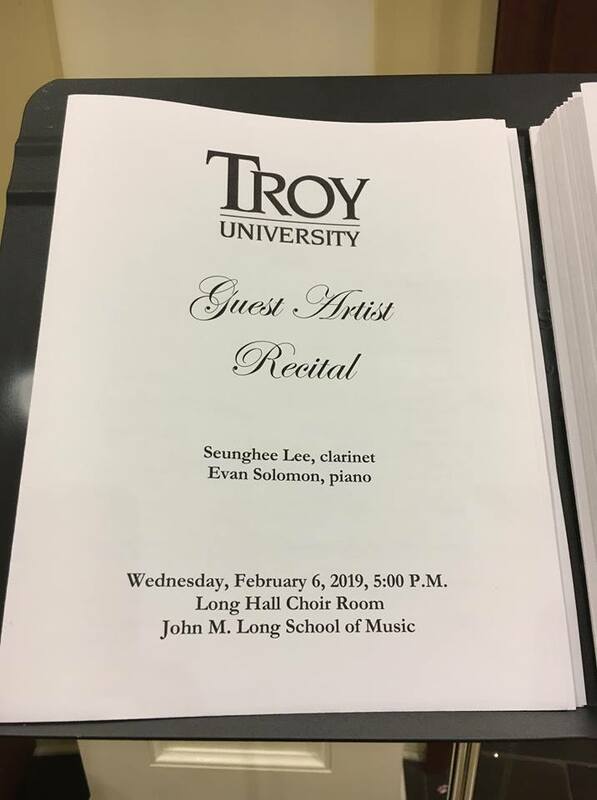 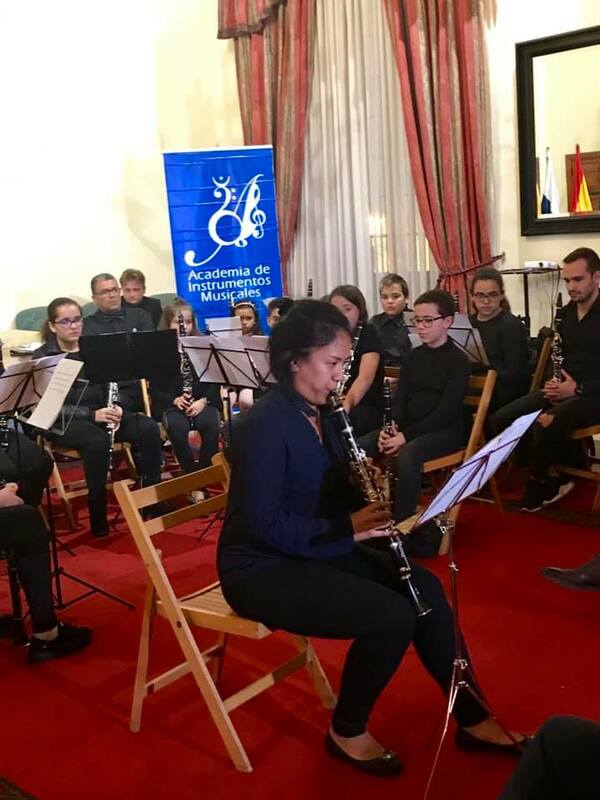 On Sunday, February 10, 2019, the Clarinet Fiesta participants performed at the Performing Arts Center at noon. 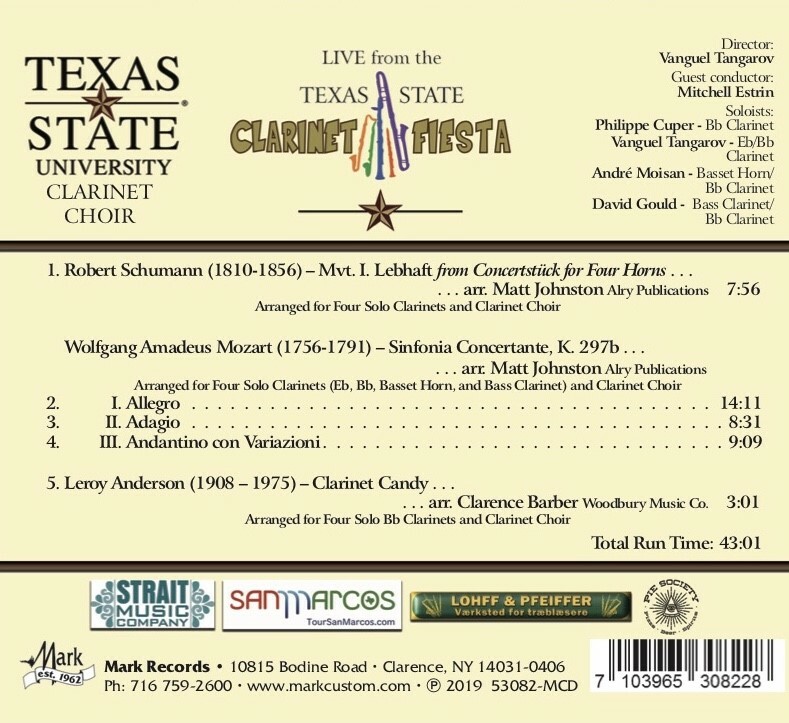 The concert started off with the Texas State Clarinet Choir directed by Dr. Vanguel Tangarov, performing Claribel by Roland Cardon and Matt Johnston’s arrangement of Paul Dukas’ The Sorcerer's Apprentice.The Texas State Choir was then joined by the rest of the Clarinet Fiesta participants and the guest artists. 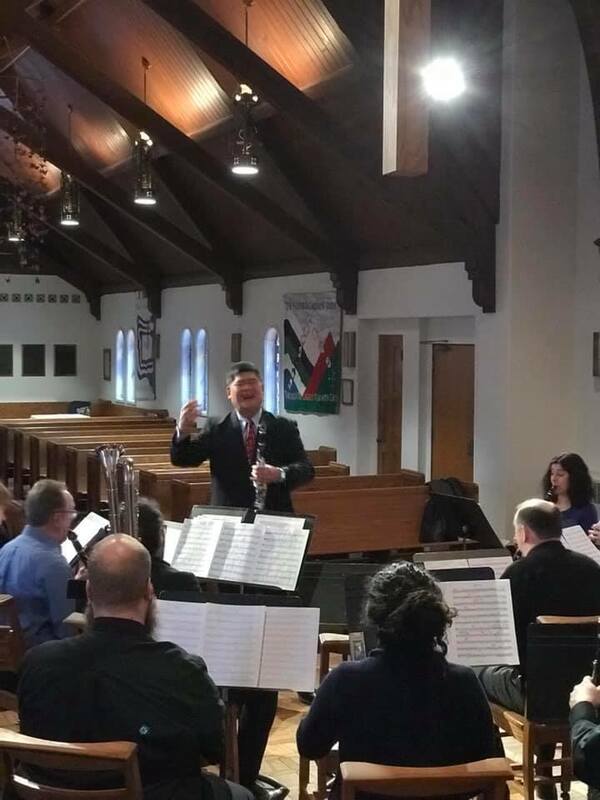 Then they performed the Osterling’s arr. 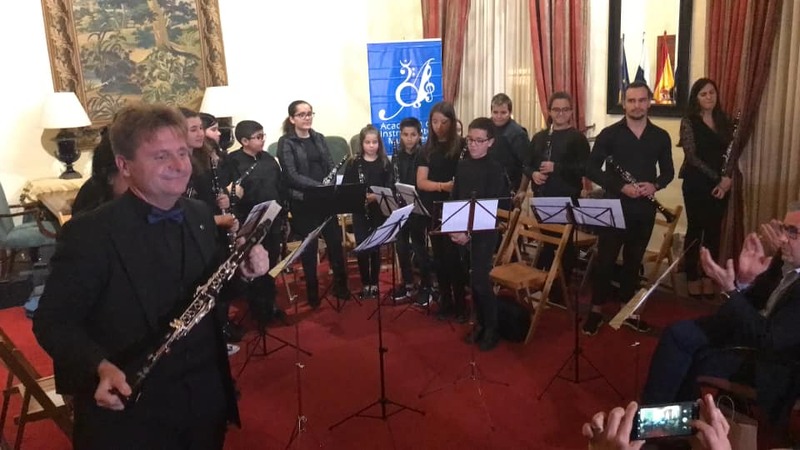 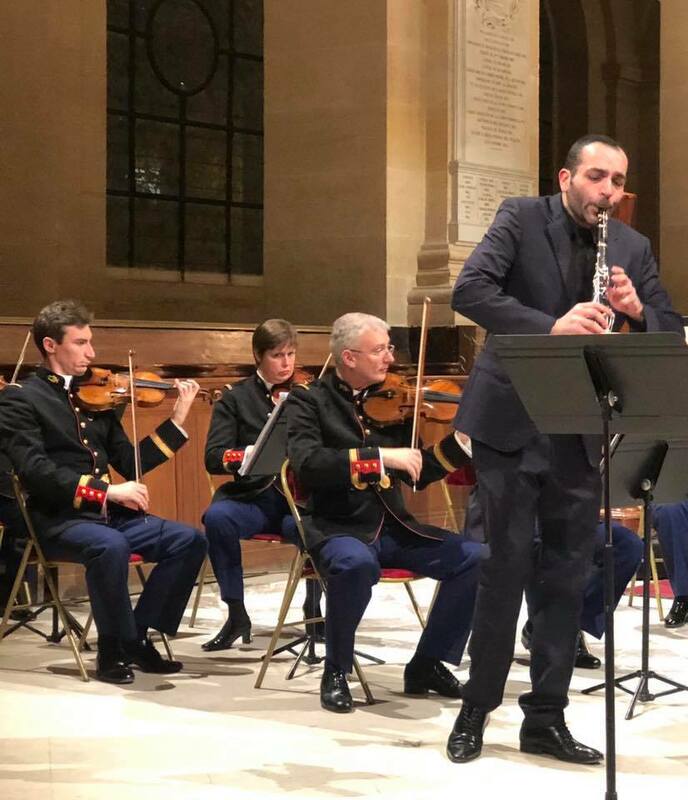 of the Clarinet Polka, English Folk Song Suite by R. Williams, March Militaire Francaise by C. Saint-Saëns and Klezmer arr. 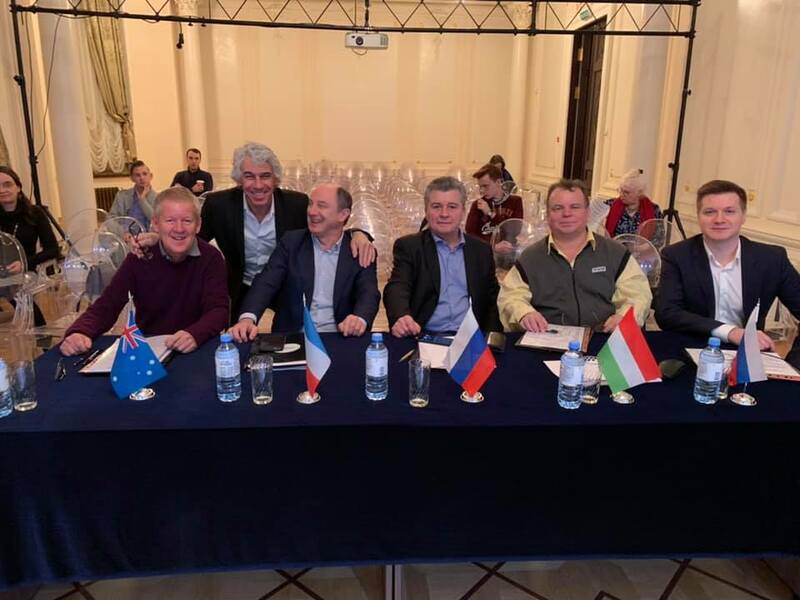 of Odessa Bulgar. 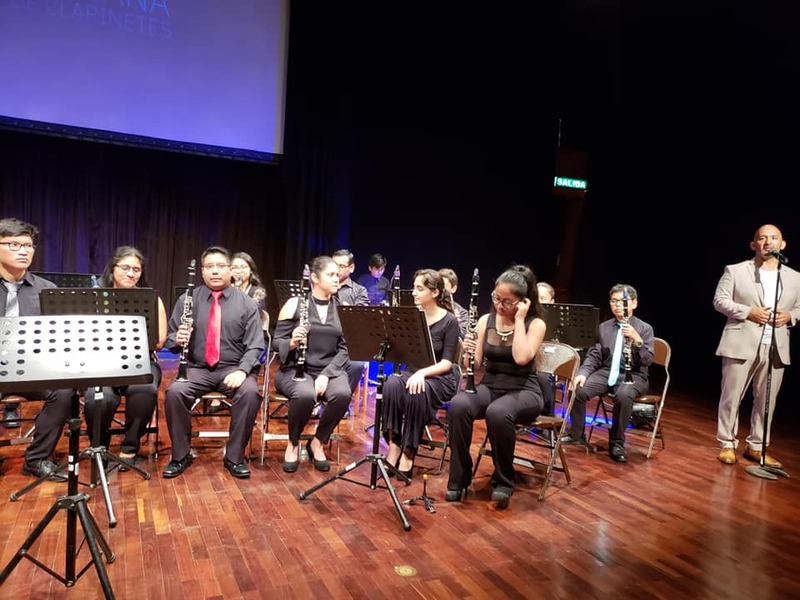 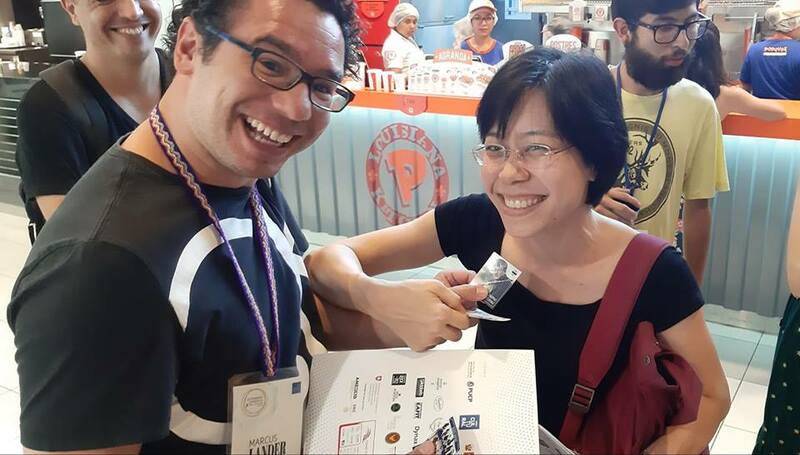 After the performance, the Clarinet Fiesta participants waited for the grand reveal of the winner of the Buffet Crampon Tradition Clarinet. 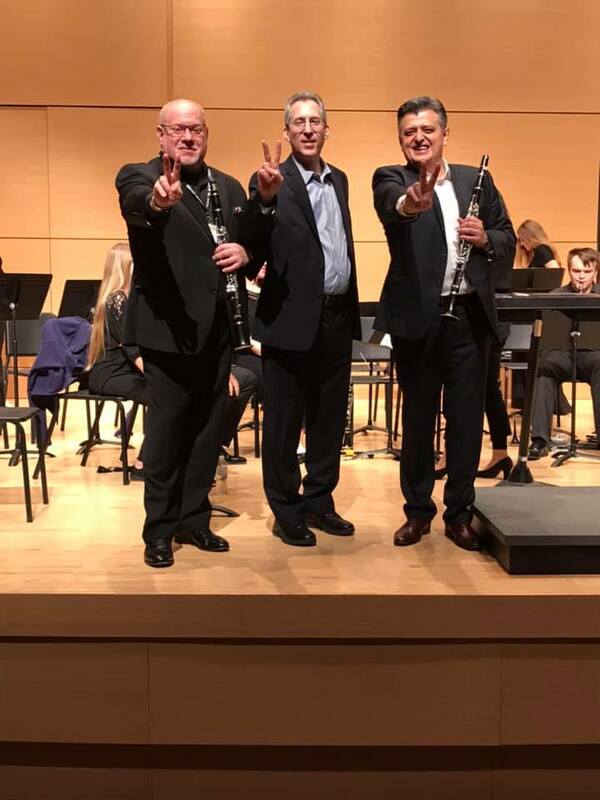 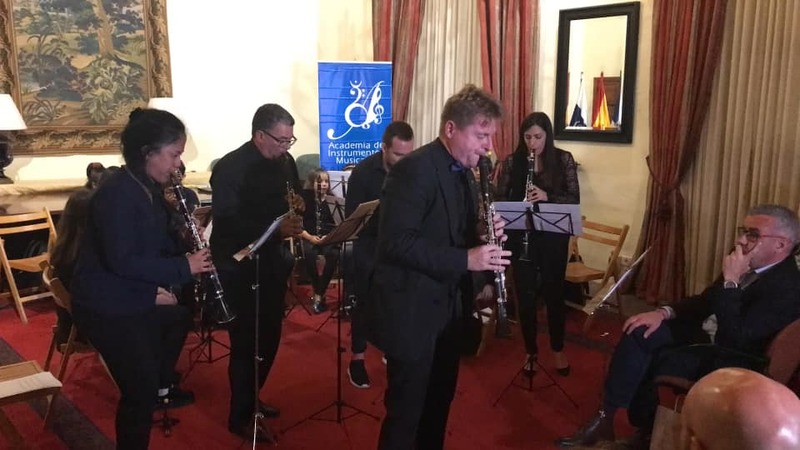 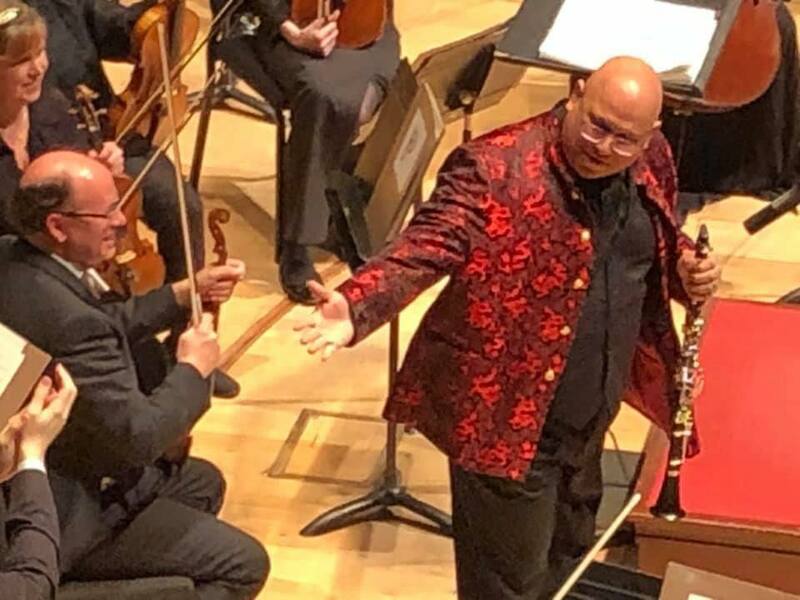 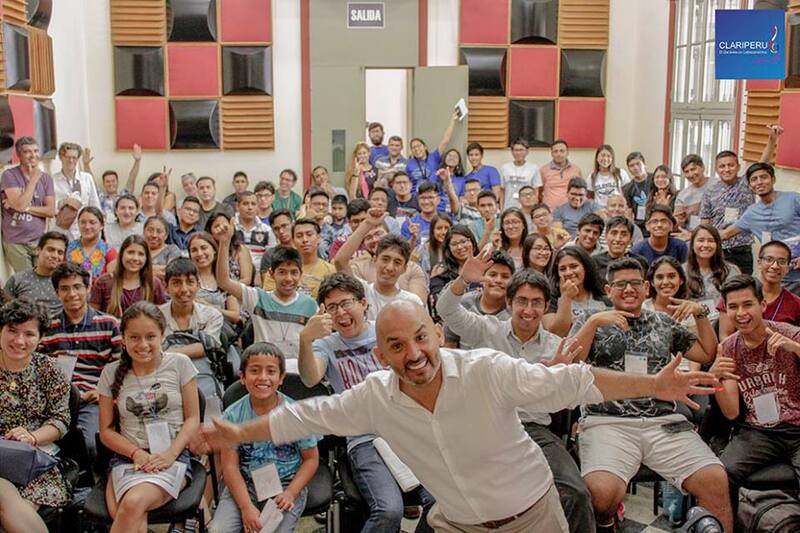 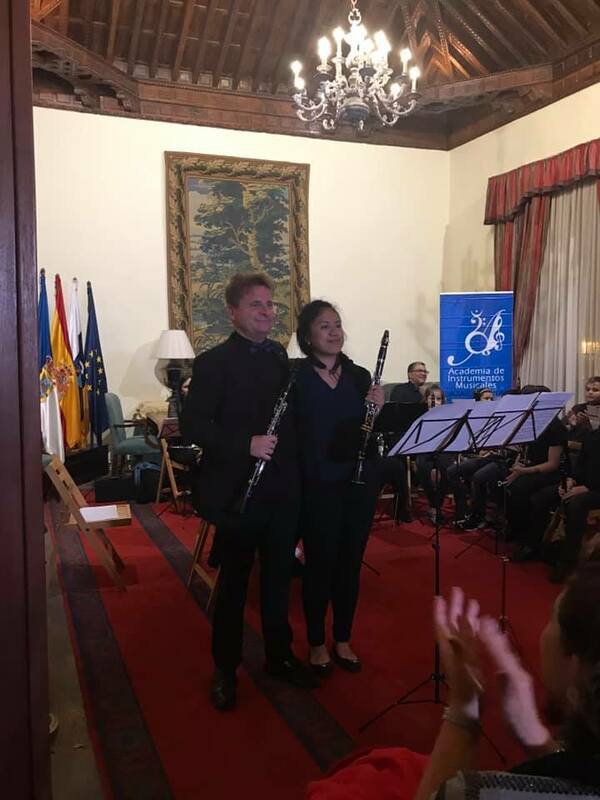 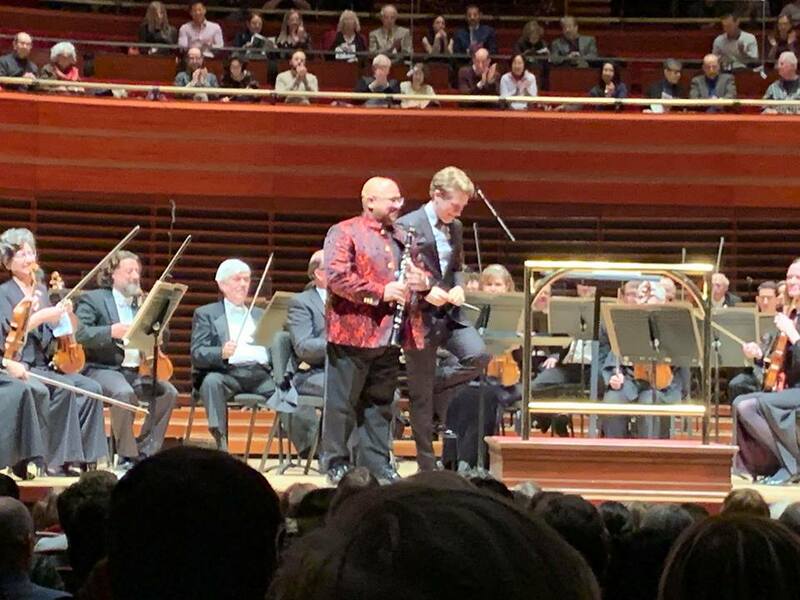 But before the announcement was made, Dr. Tangarov gave thanks to the supporters of the 2019 Clarinet Fiesta. 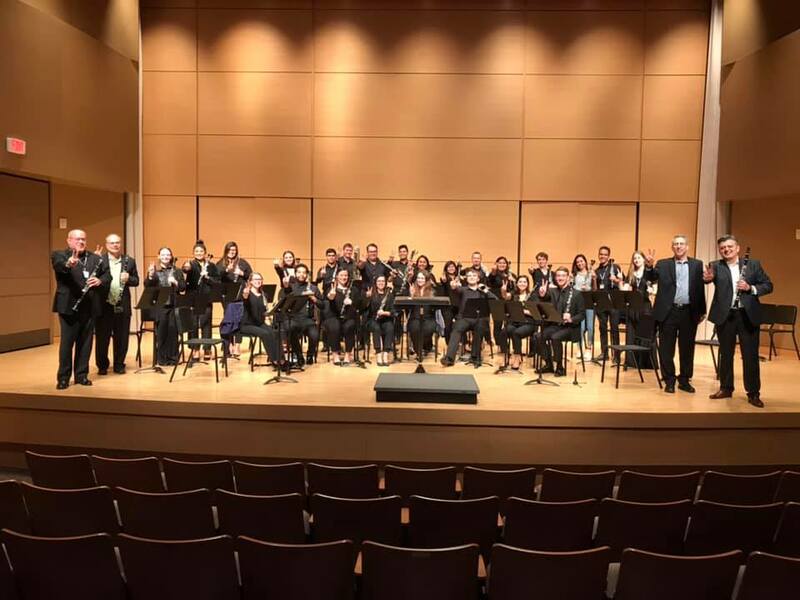 The main sponsors were, Buffet Crampon, Vandoren, Texas State University School of Music and College of Fine Arts and Communication. 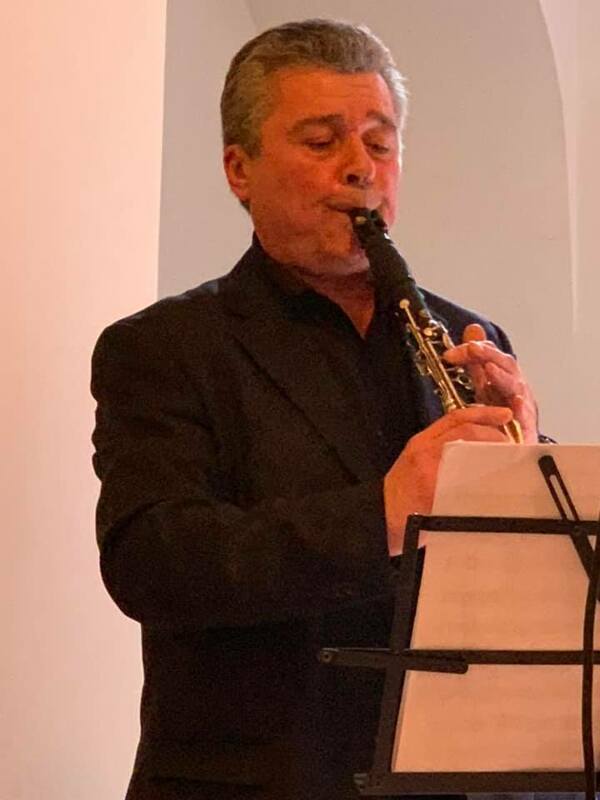 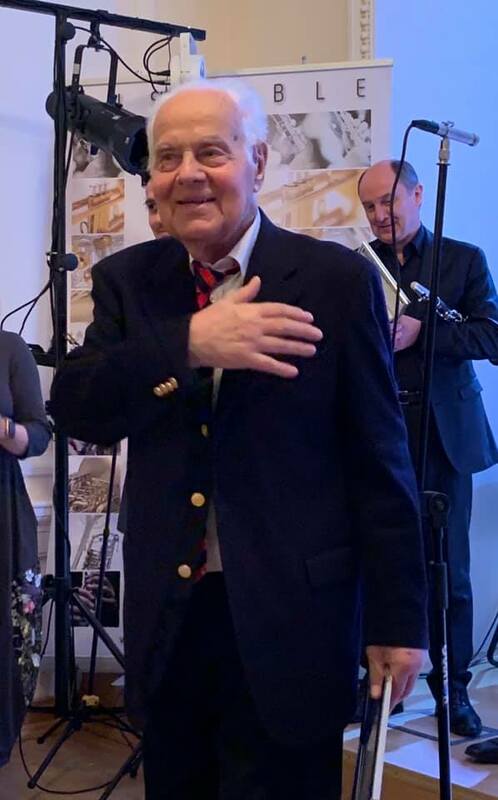 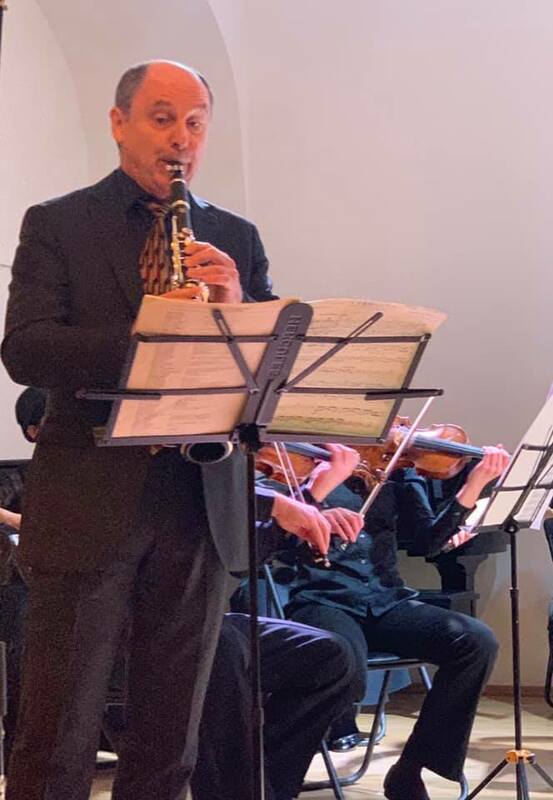 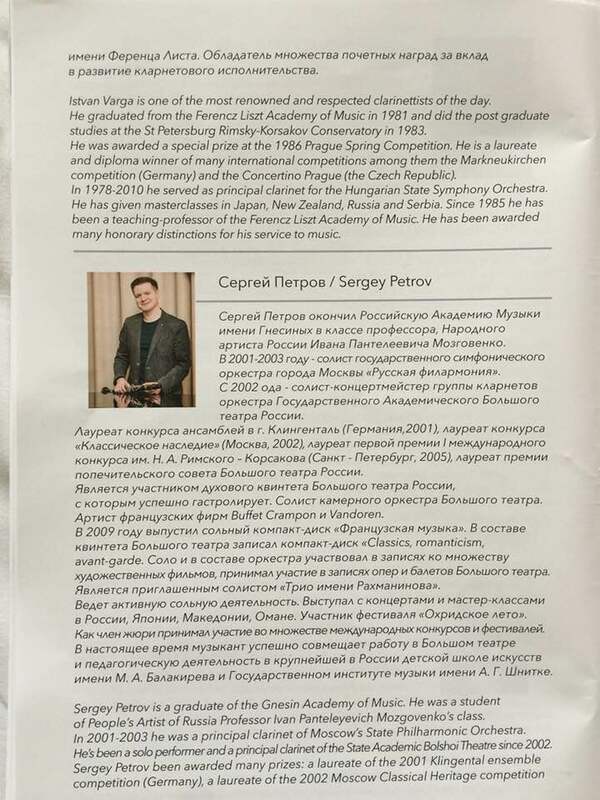 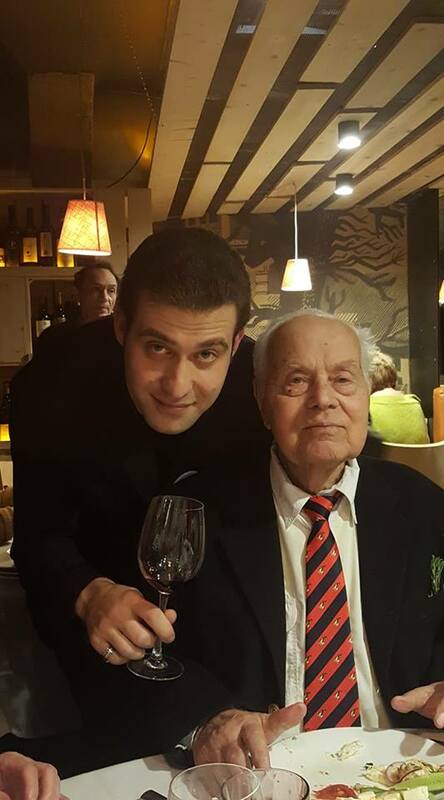 Dr. Tangarov gave a special thanks to the supporters and collaborators which included, Lohff & Pfeiffer Woodwinds, Visit San Marcos, and last but not least, Dr. Tangarov gave special thanks to his wife and children for supporting and helping him with the Fiesta. 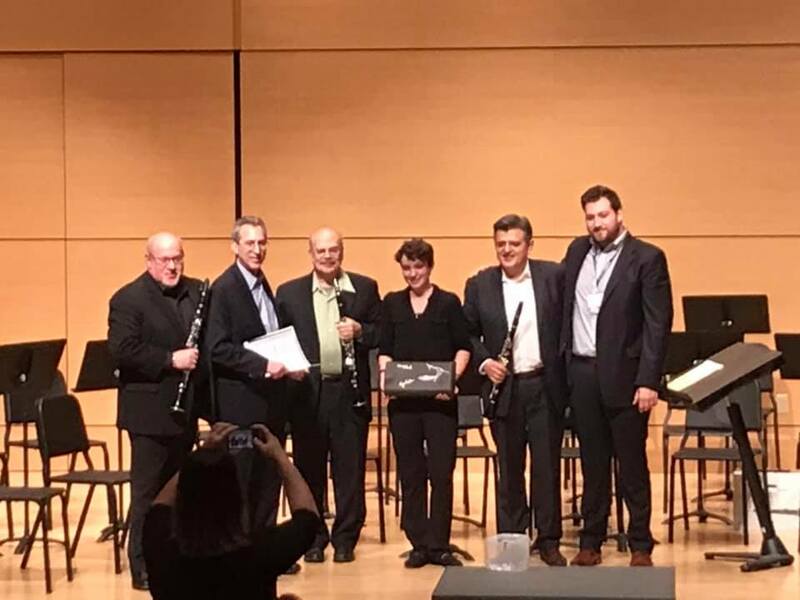 Then Mitchell Estrin was given the honor of picking out the name of the winner of the brand new clarinet. 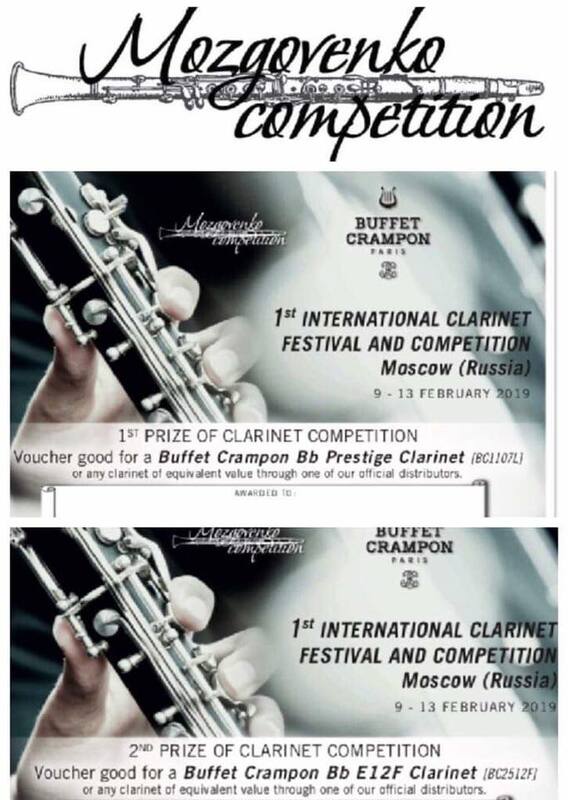 Kristen Hutchins was the winner of the brand new Buffet Crampon Tradition Clarinet. 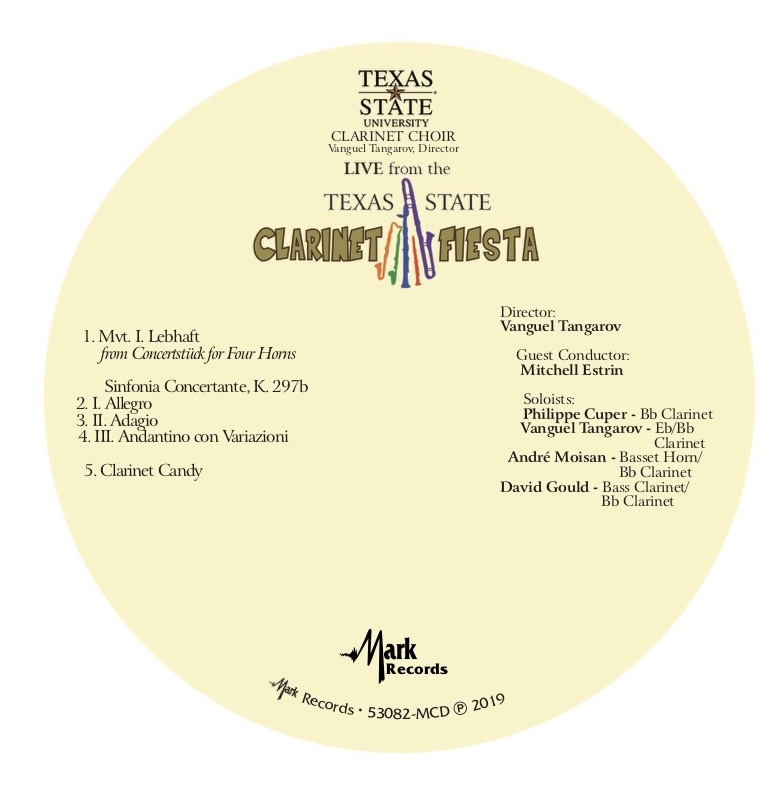 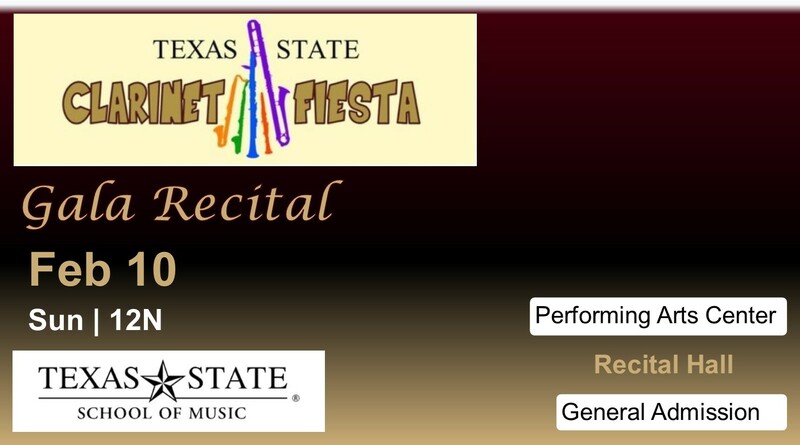 The Texas State Clarinet Choir is looking forward to see you at the next Clarinet Fiesta in February of 2020. 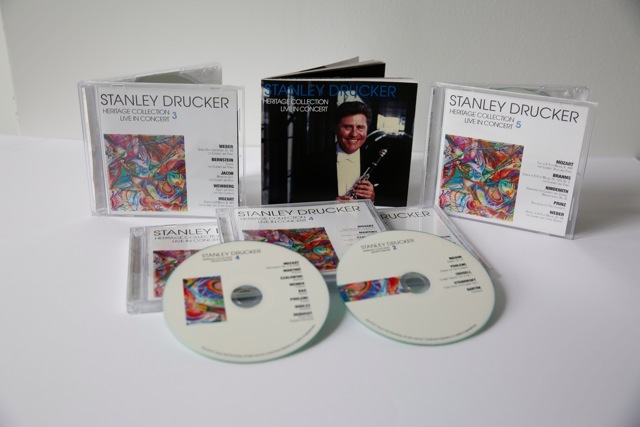 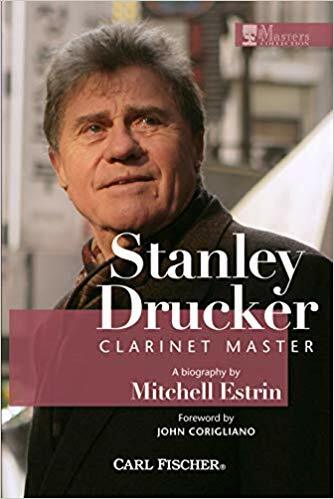 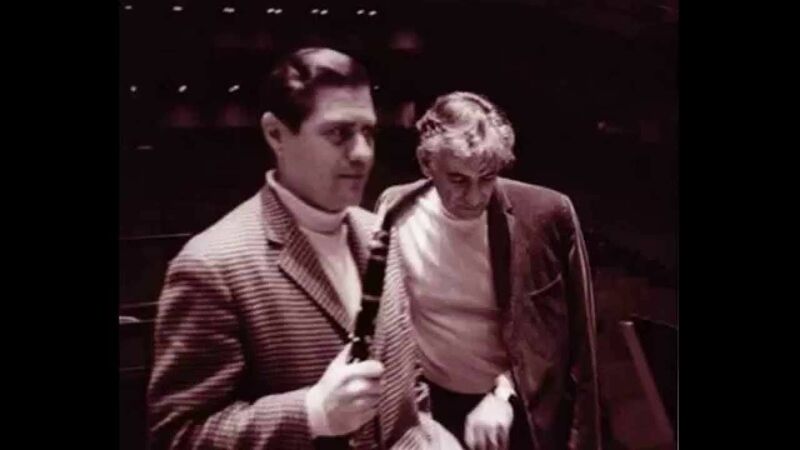 A huge milestone celebrating the bigger than life event - 90th Birthday of Stanley Drucker, the wunderkind Clarinetist with a performing history unmatched in length of professional playing and his record setting tenure with the New York Philharmonic, and still performing and teaching master classes, a major coup in the profession of Clarinet playing. 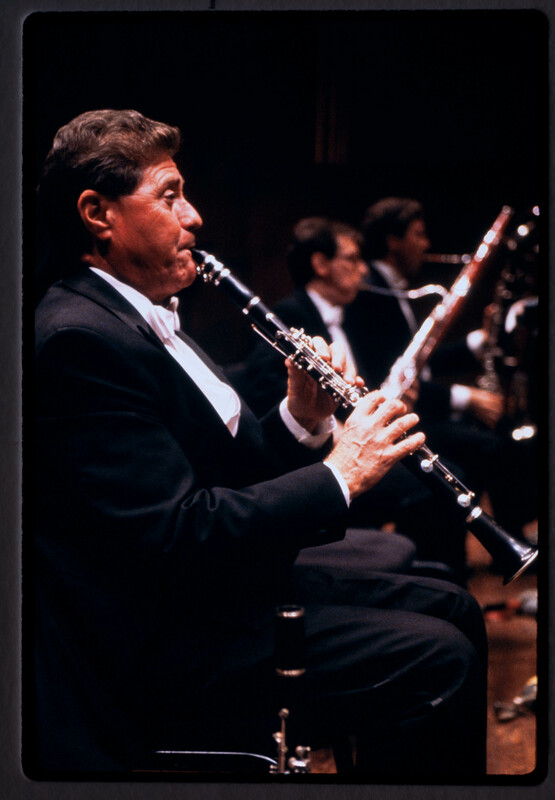 His VIP Page covers his career along with video clips of interviews before and after his NY Phil retirement for everyone to see and absorb. 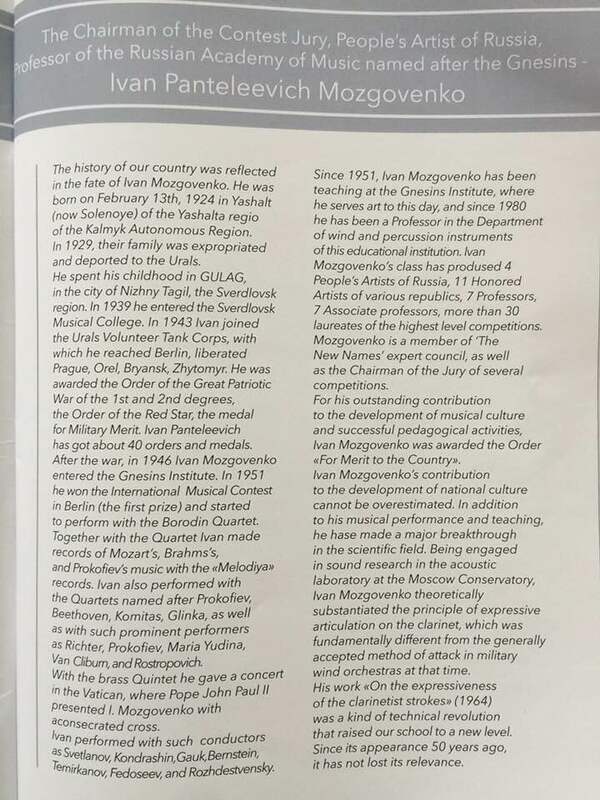 It would be redundant to rehash his history when all is in plain view on his two pages. 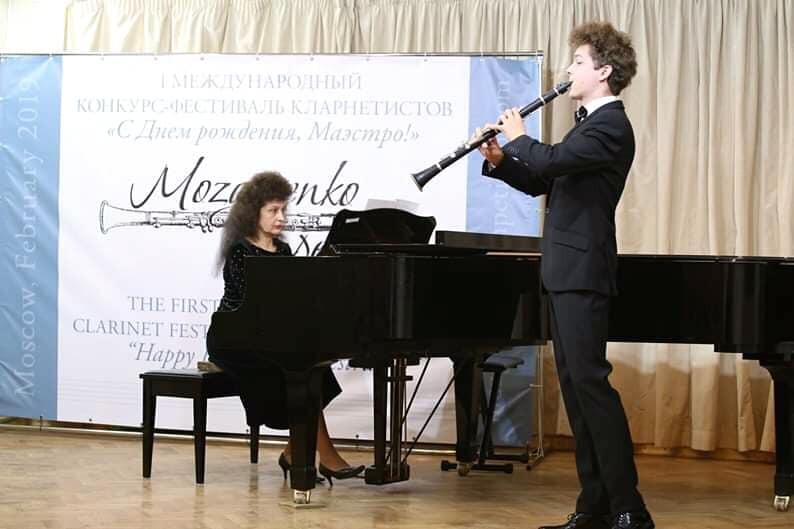 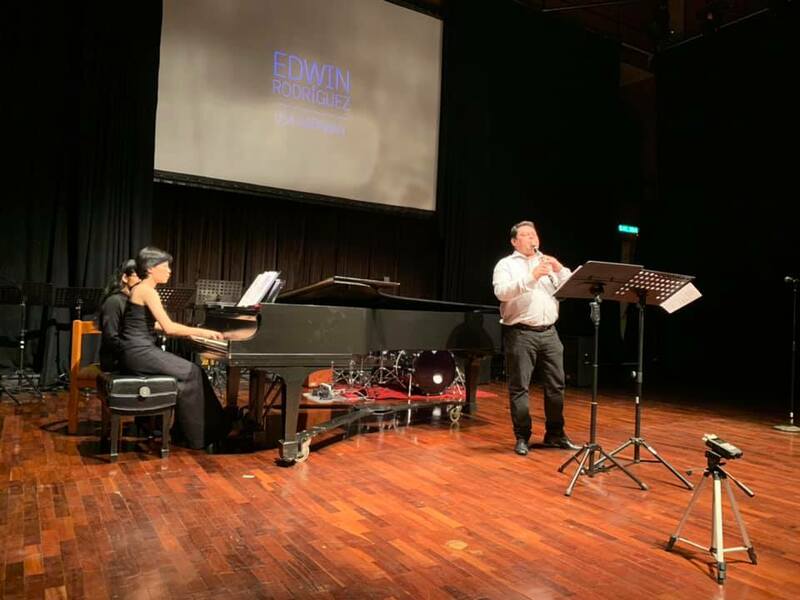 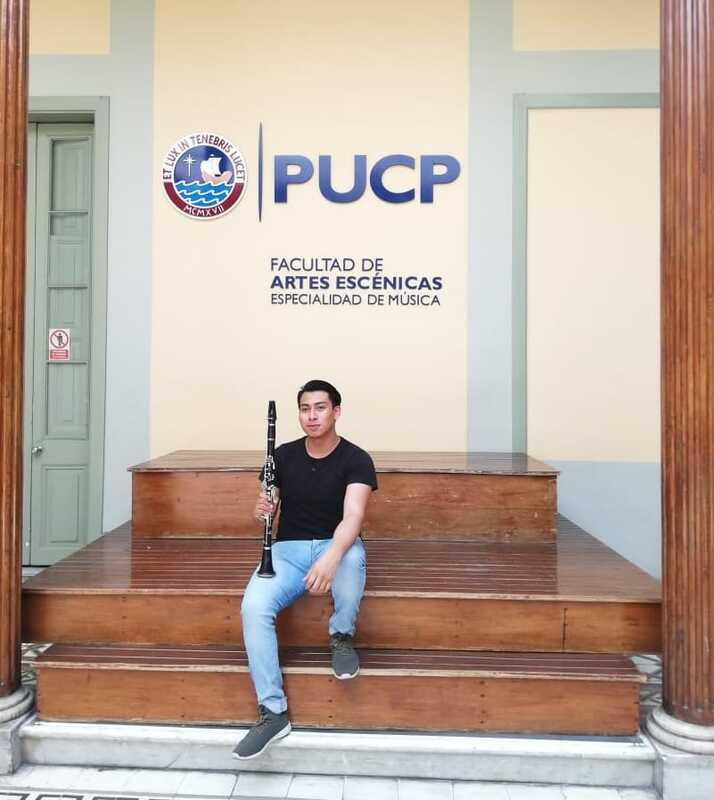 What should be noted for those aspiring to play and achieve, he should serve as an ultimate model in concepts and practice to achieve a level and grow in developing the musical communication aspect besides the technical skills all should strive for. 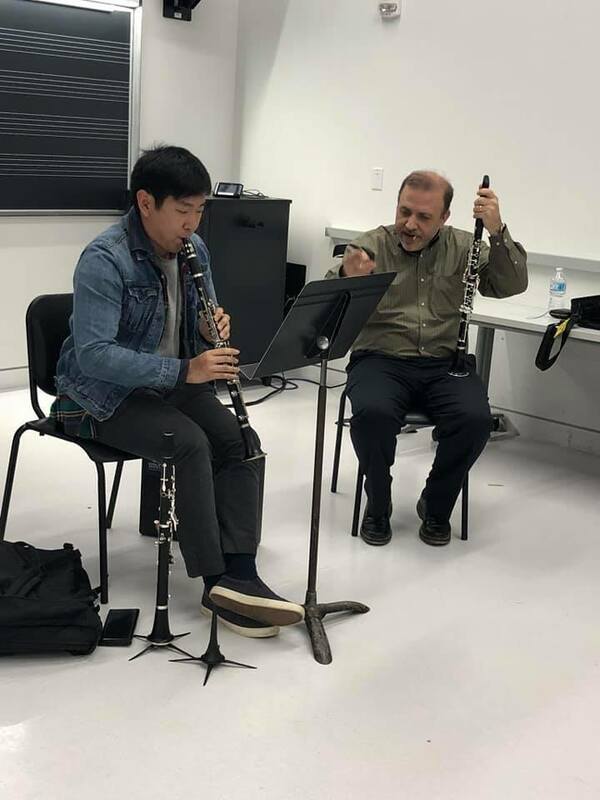 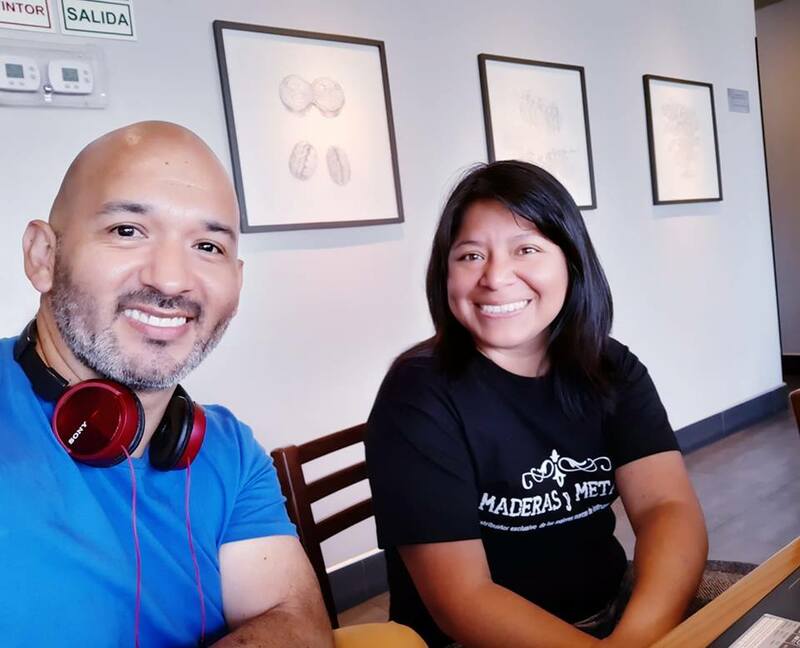 Studying with a teacher is important, but learning what music is really about by listening and seeing the whole picture like a conductor does to make sense of it is even more important; it's not about just clarinet playing, but music making.